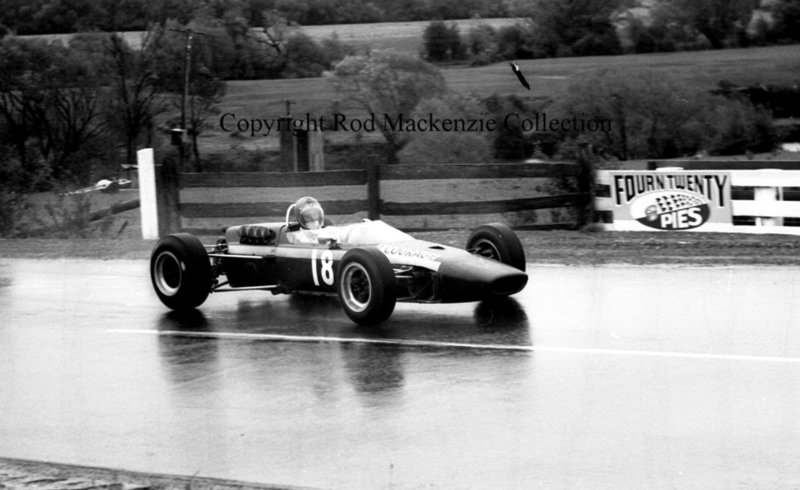 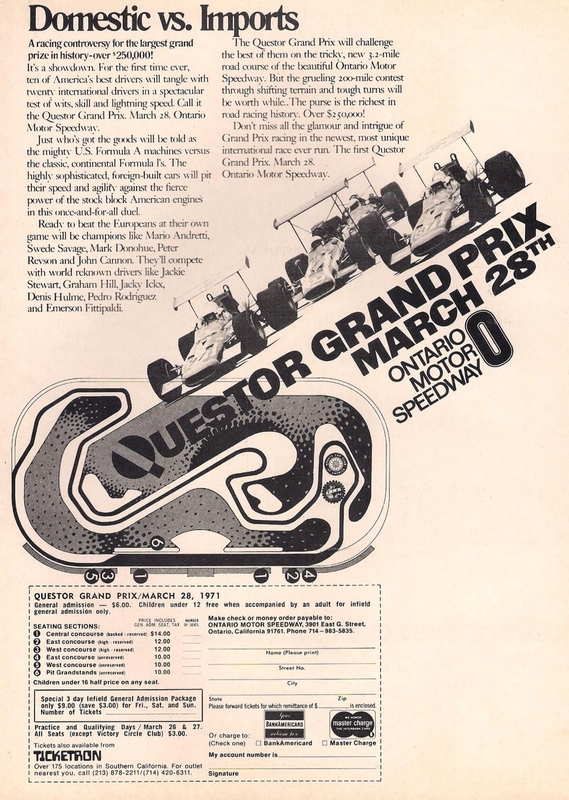 The Questor Grand Prix was an intensely interesting experiment, a shame the Ontario circuit didn’t repeat it in subsequent years. 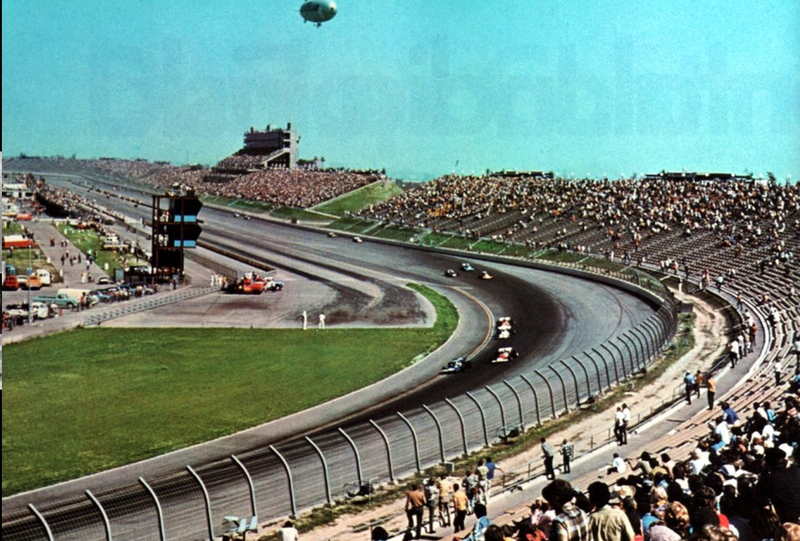 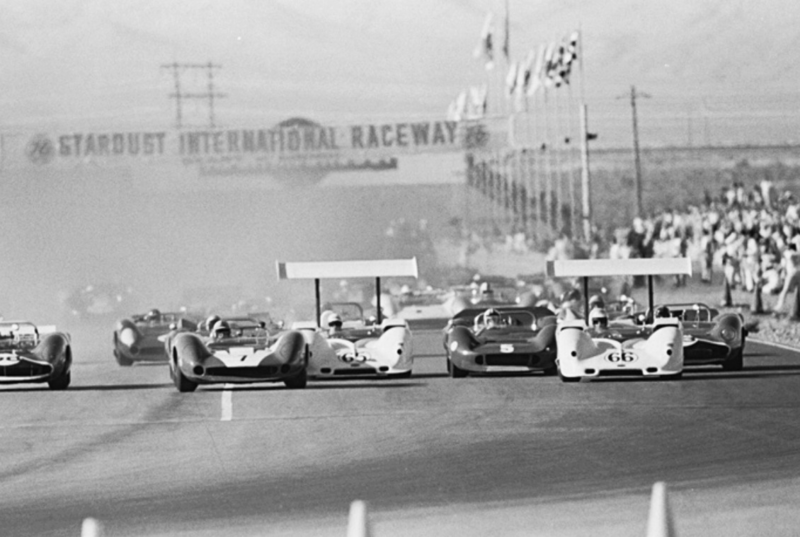 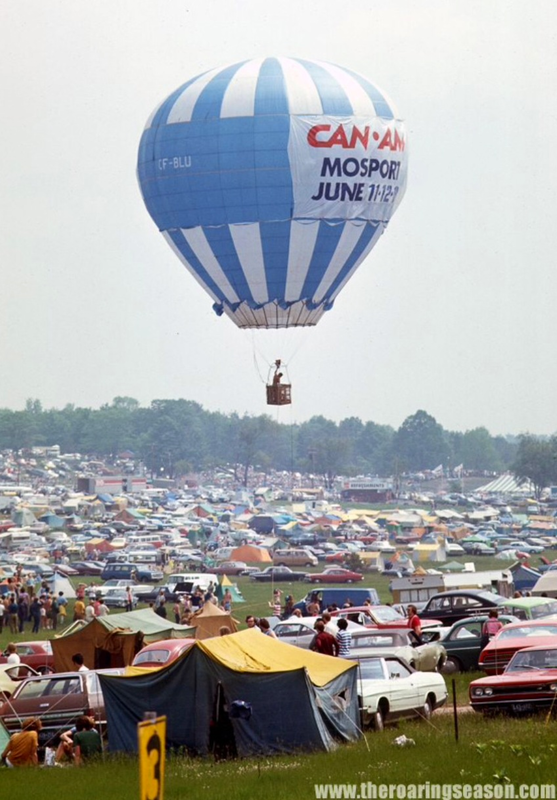 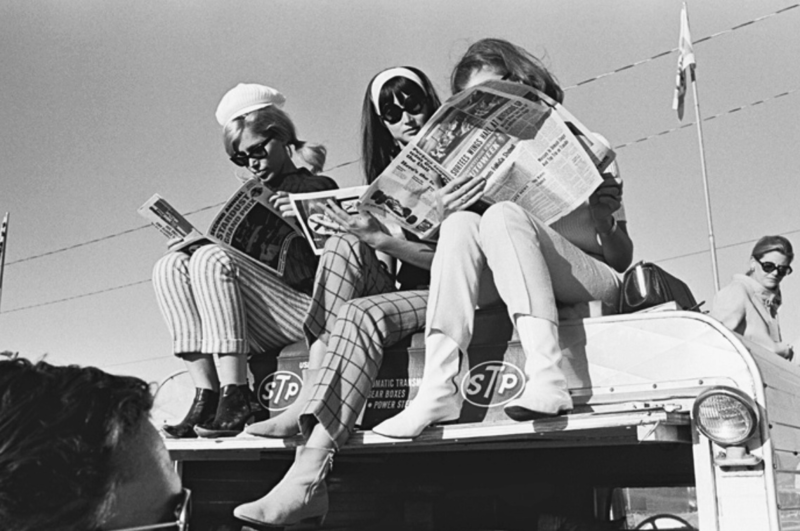 The event took place in March 1971 at the newly completed Ontario Motor Speedway. 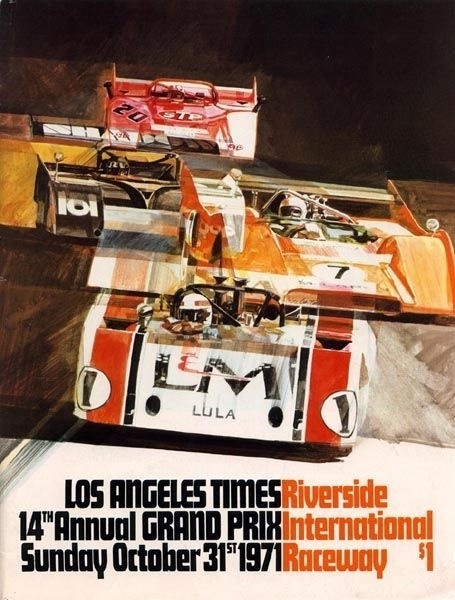 Promoted as the ‘Battle of Two-Worlds’, the USA and its Formula A/5000 cars against the best of European F1. 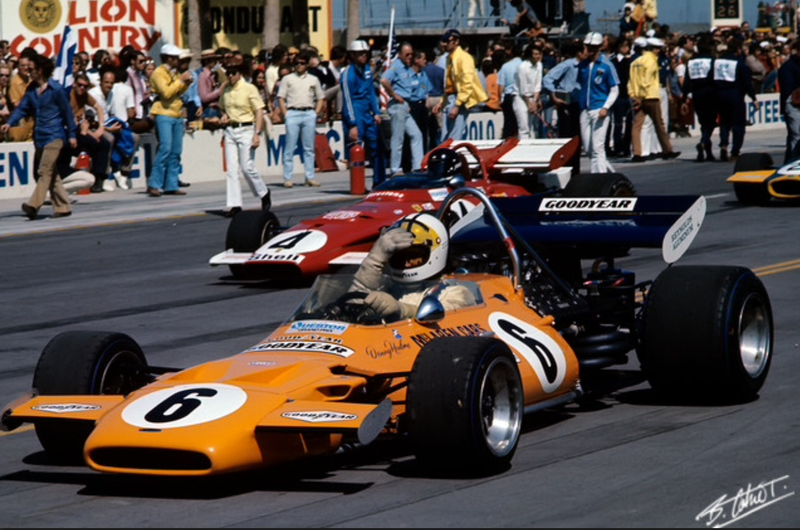 In 1971 there were only 11 championship F1 events so it was relatively easy for the teams to fit the event in, it gave them an extra race test without championship points at stake early in the season, and the prize money was $US278K or in 2015 $ terms, $M1.6, so it was well worth the effort! 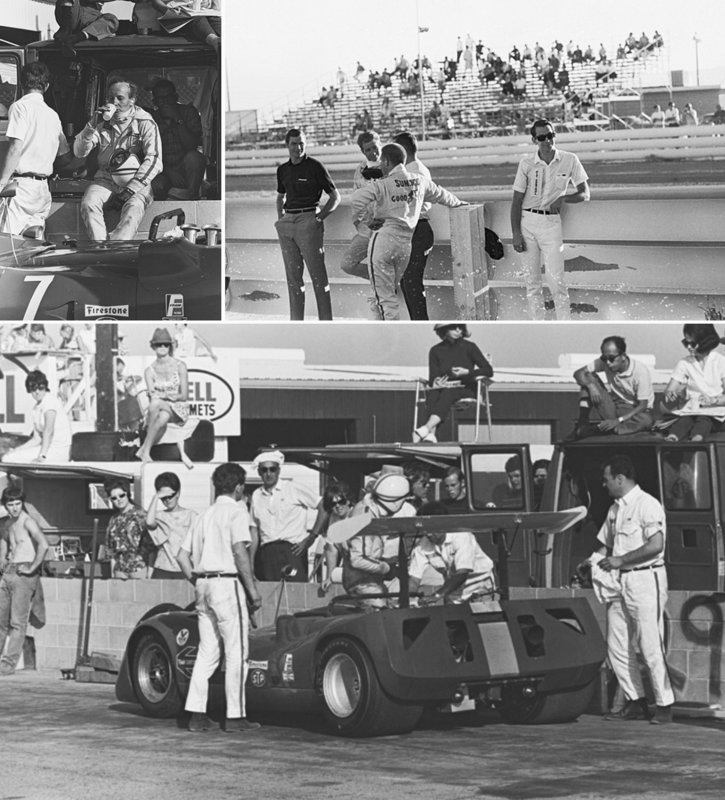 For the Ontario Speedway promoters it was an ideal way to promote their new venue, the owners had aspirations of having a second US GP there, running of an event successfully provided the essential credentials to advance that goal. 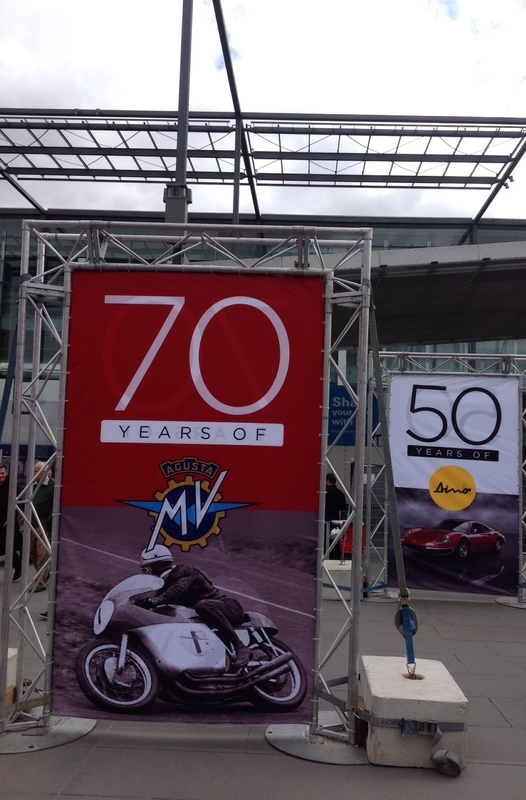 The event was well promoted with over 65000 punters rocking up on raceday. 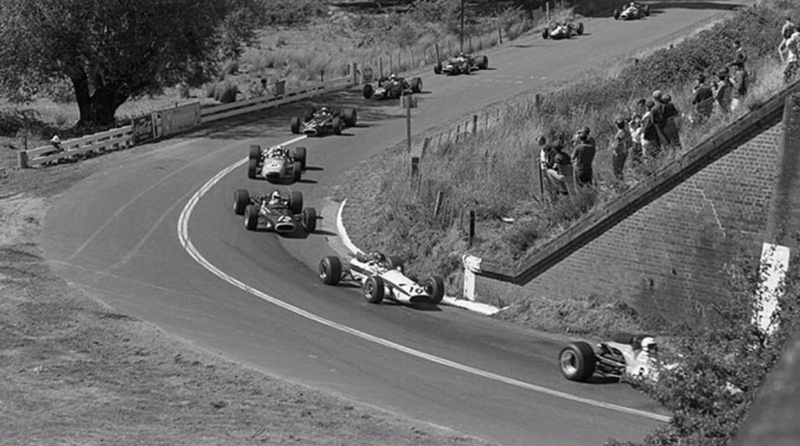 The course itself comprised the start/finish straight, the first banked corner of the oval layout and a twisty infield section. 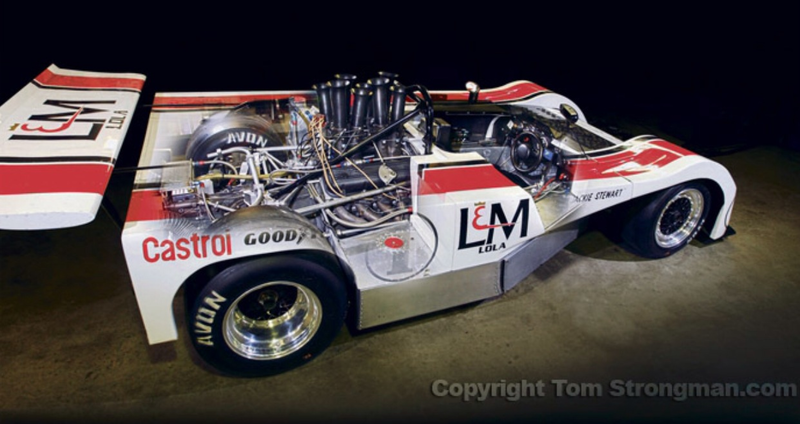 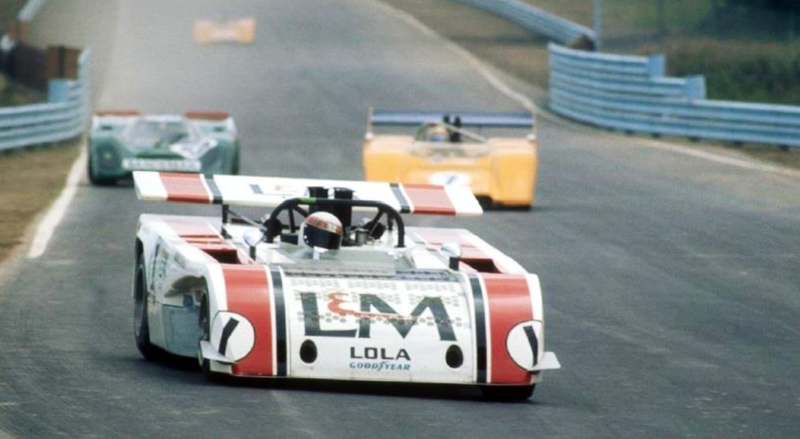 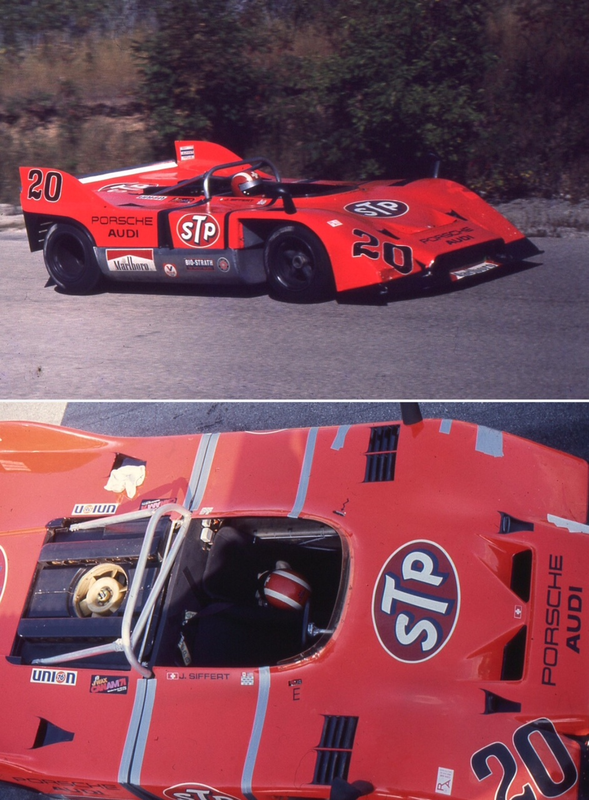 The American entry included Peter Revson’s Surtees TS8 Chev, Mark Donohue Lola T192 Chev, George Follmer Lotus 70B Ford, AJ Foyt in a McLaren M10B Chev, Bob Bondurant’s Lola T192 Chev and Al and Bobby Unser, both in Lola T190/2 Chevs, Swede Savage was Eagle Mk5 Plymouth mounted and Tony Adamowicz raced a Lola T192 Chev. 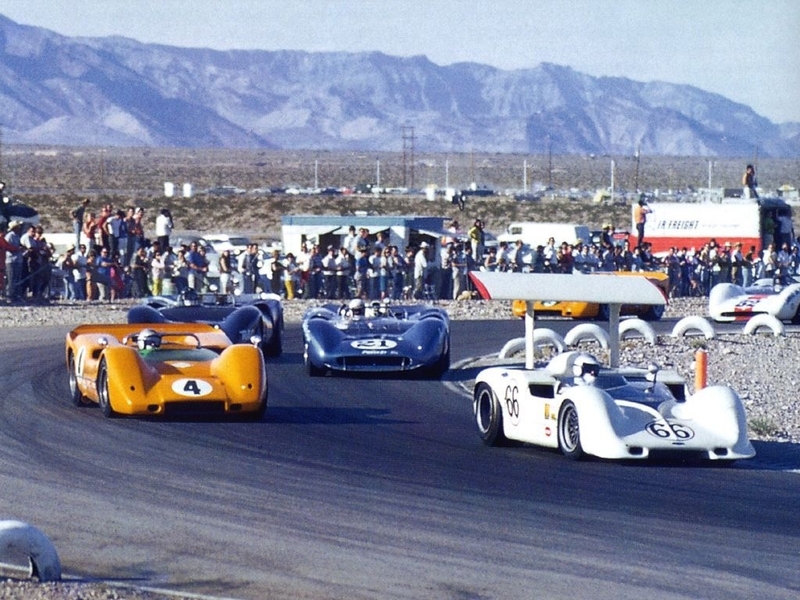 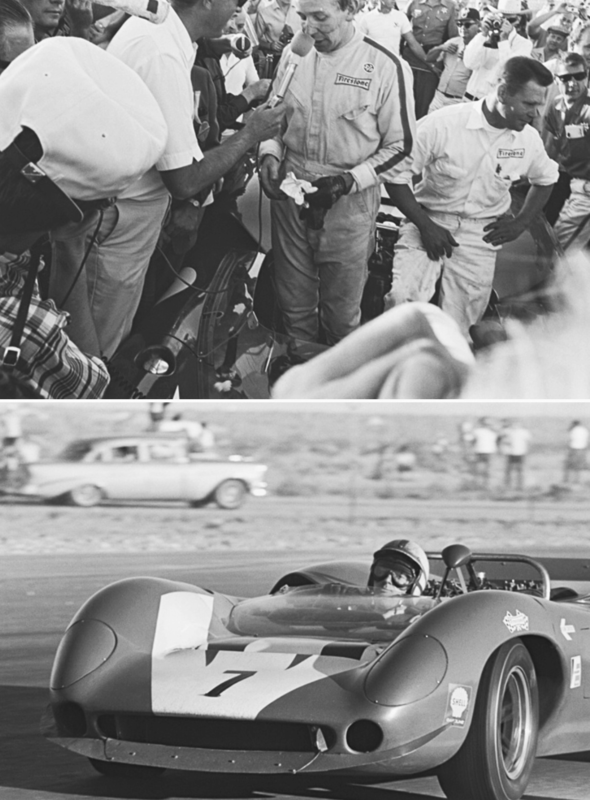 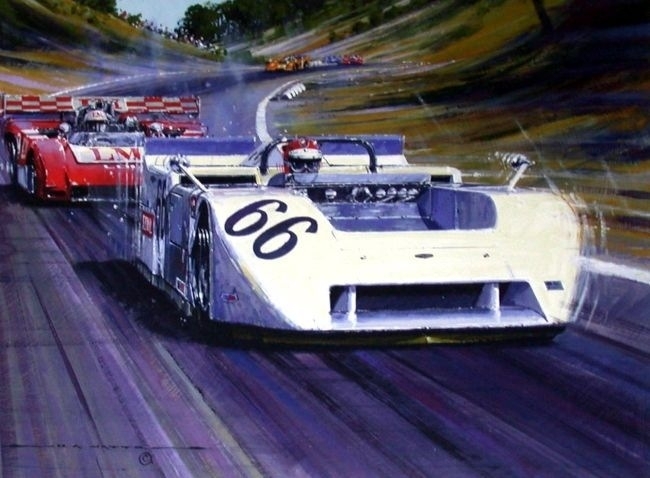 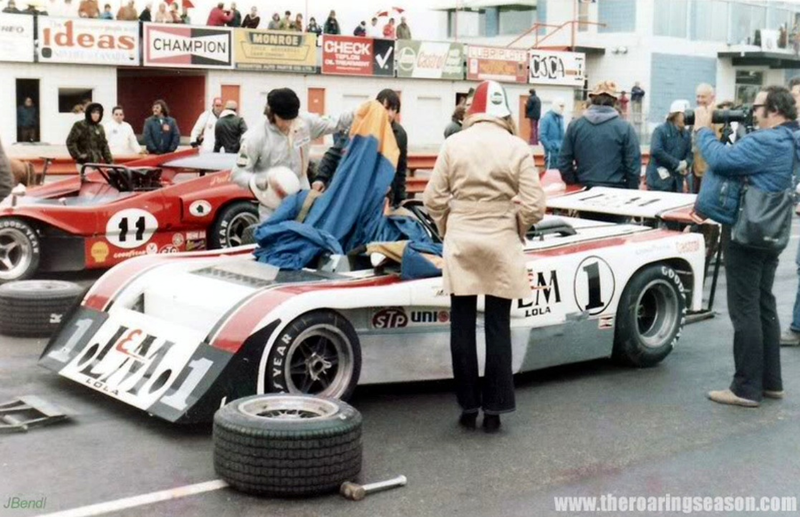 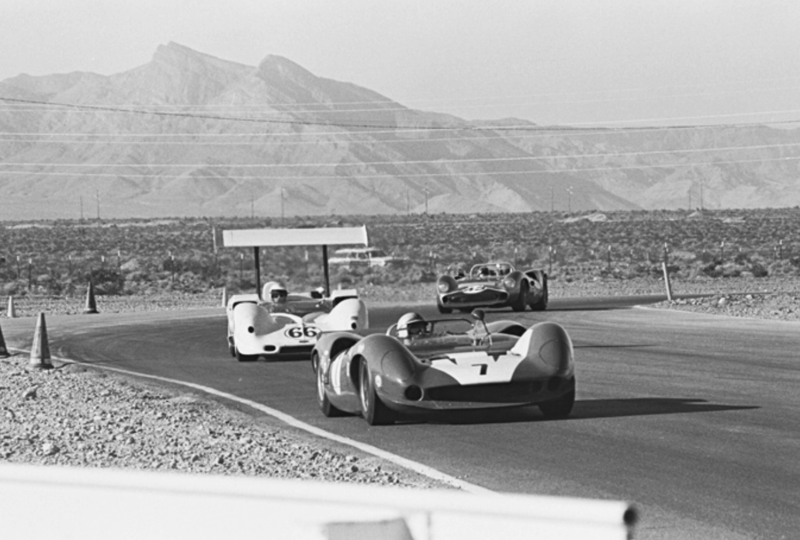 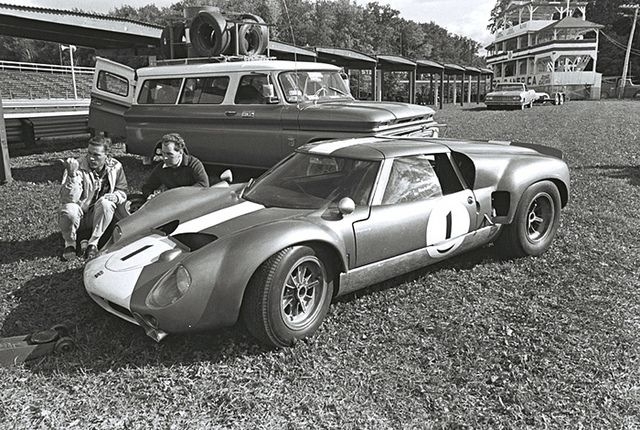 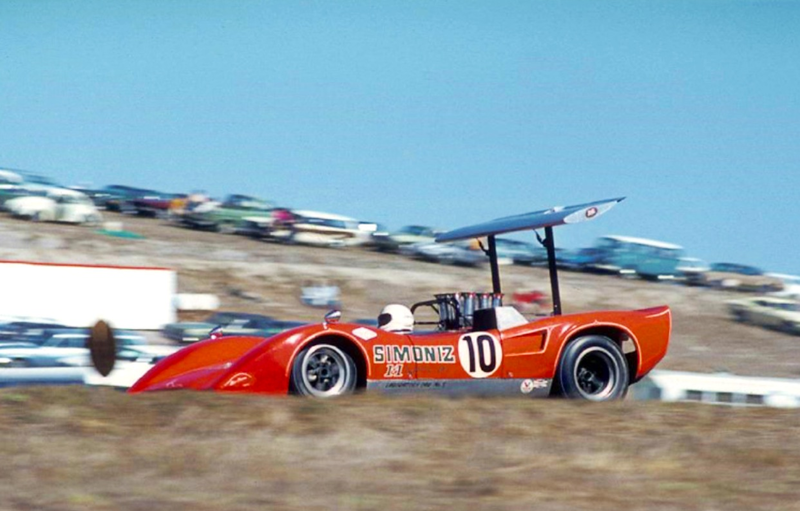 Mark Donohue’s Lola T192 Chev 14th, Derek Bell March 701 Ford 15th. 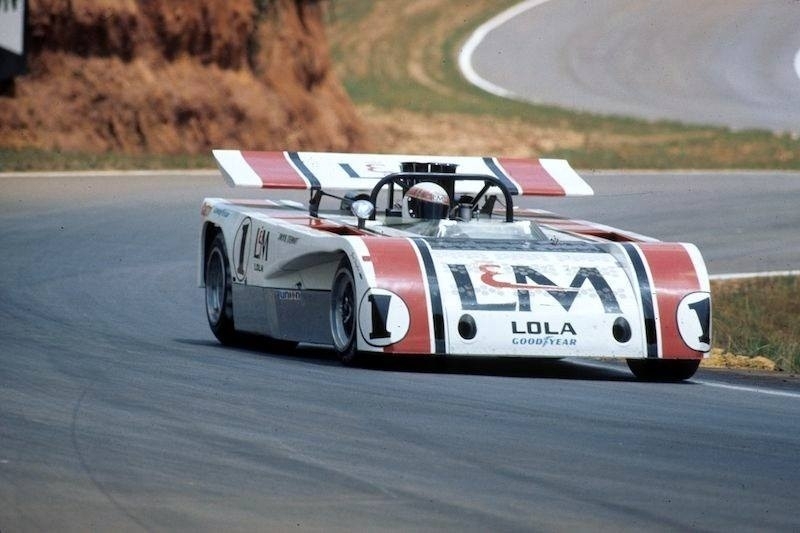 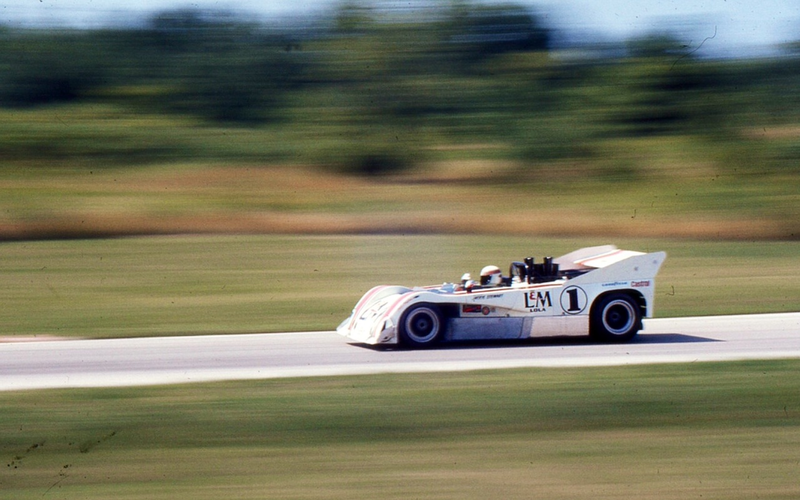 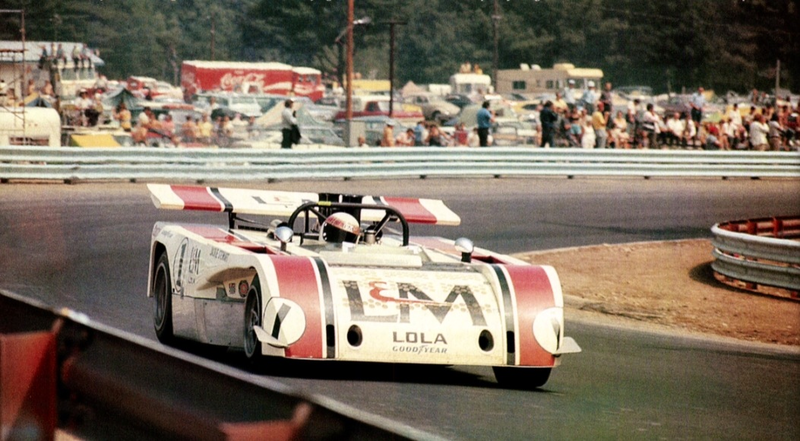 Tony Adamowicz’ Lola T192 Chev 17th, Graham Hill. 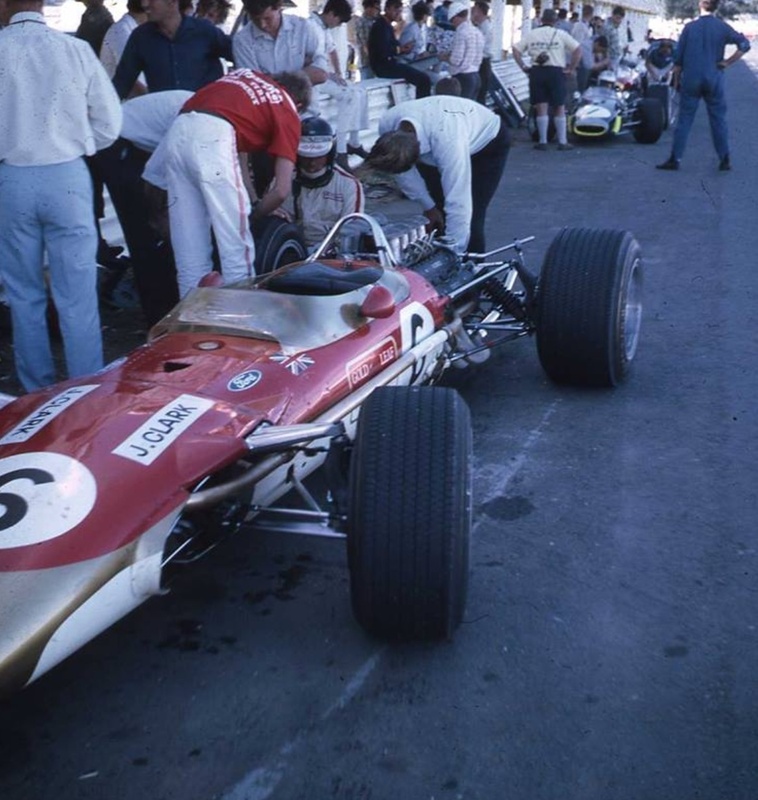 3 litre GP entrants included Ferrari with 2 1970 spec 312B’s (Mario Andretti and Jackie Ickx), Lotus (Emerson Fittipaldi and Reine Wisell in 72 Ford’s), BRM (Jo Siffert and Pedro Rodriquez P160, Howden Ganley P153 V12), Brabham (Graham Hill BT34 Ford ‘Lobster Claw’ and Tim Schenken BT33), Matra (Chris Amon MS120B V12), March (711 for Ronnie Peterson), Tyrrell (Jackie Stewart in 001), McLaren (M19A’s for Denny Hulme and Peter Gethin), and two privateer March 701’s entered by Frank Williams (Henri Pescarolo and Derek Bell). 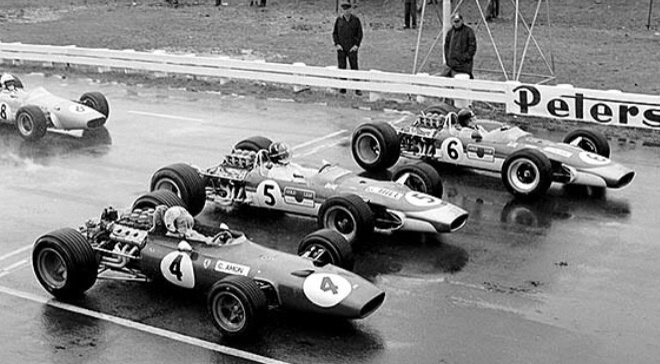 Siffert in his ‘brand spankers’ BRM P160, Reine Wisell and friend, McLaren’s Hulme & Gethin. 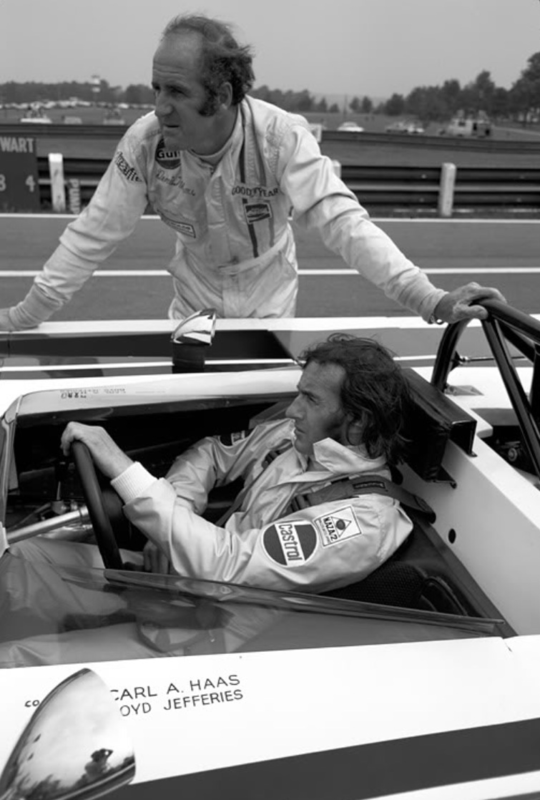 Attractive young maiden and Hulme poring over the innards of his McLaren M19A. 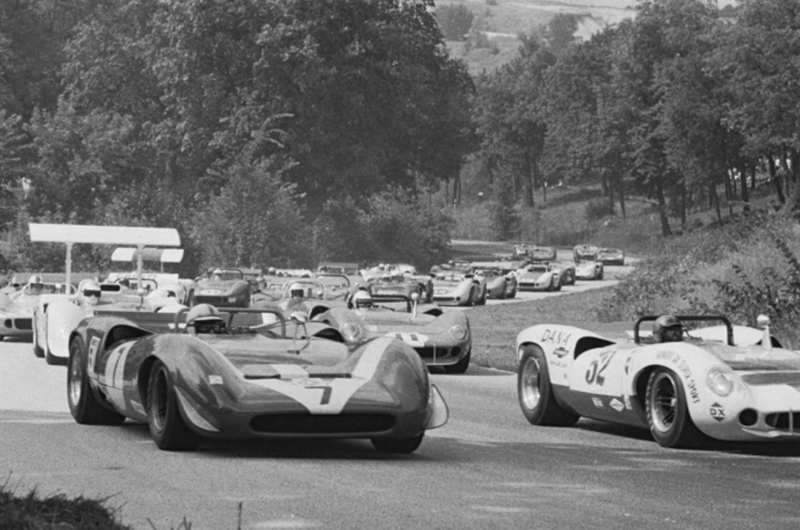 We may never see such a star studded battle ever again. 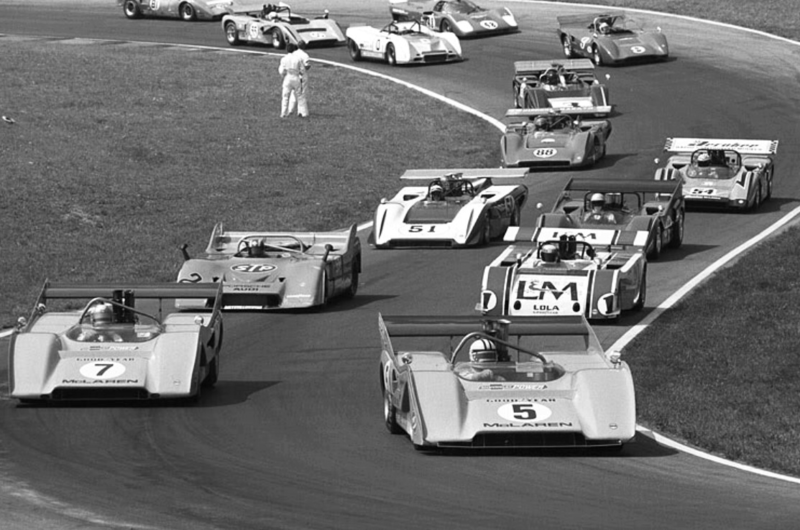 All the heavy hitters from each side of the Atlantic were there. 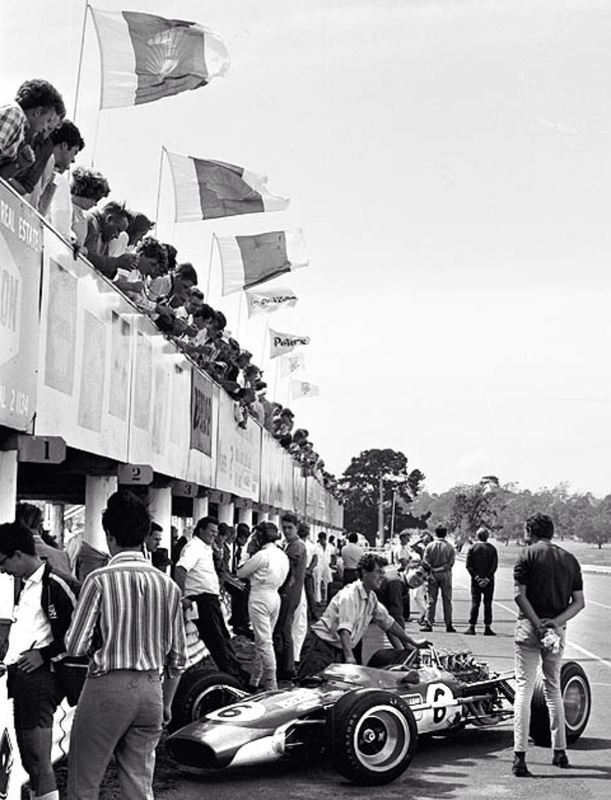 A race fans dream which some saw as a repeat of Monza’s ‘Race of Two Worlds’ held in 1957 and 1958. 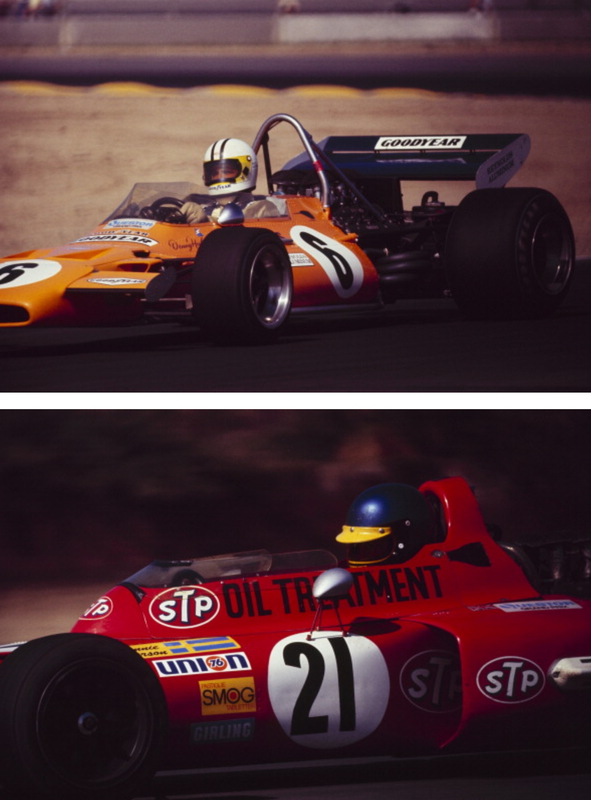 Denny Hulme, McLaren M19A Ford 3rd and Ronnie Peterson, March 711 Ford 13th. 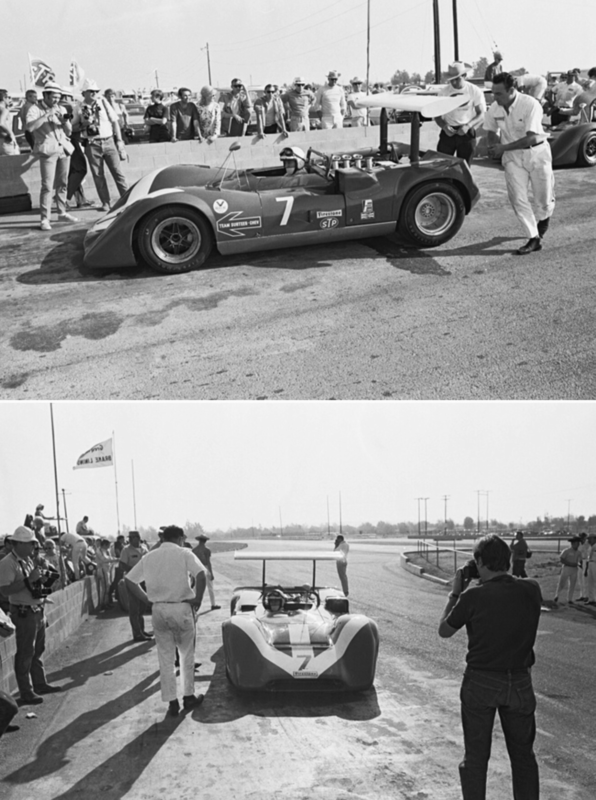 L>R top to bottom. 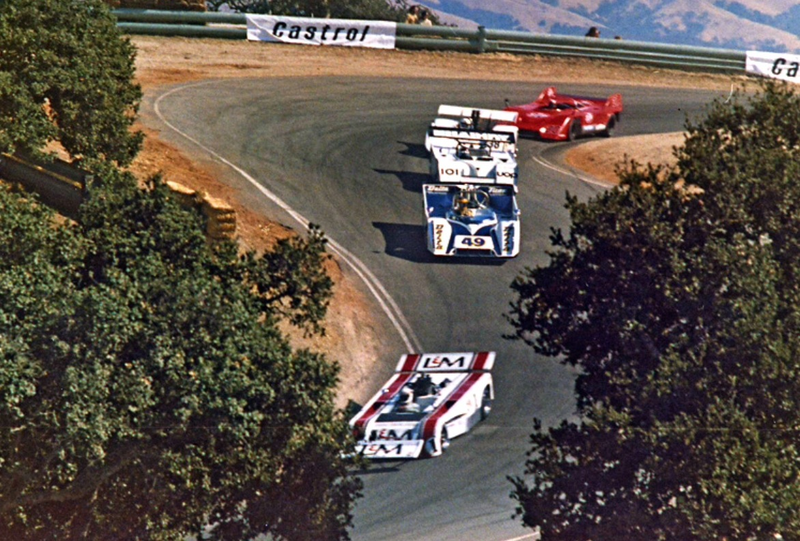 Hill in his Brabham, #29 Ron Grable Lola T190/2 Chev #8 Denny Hulme McLaren M19A Ford, #28 Stewart McLaren M10 B Chev, Peterson March 711 Ford, Howden Ganley BRM P153. 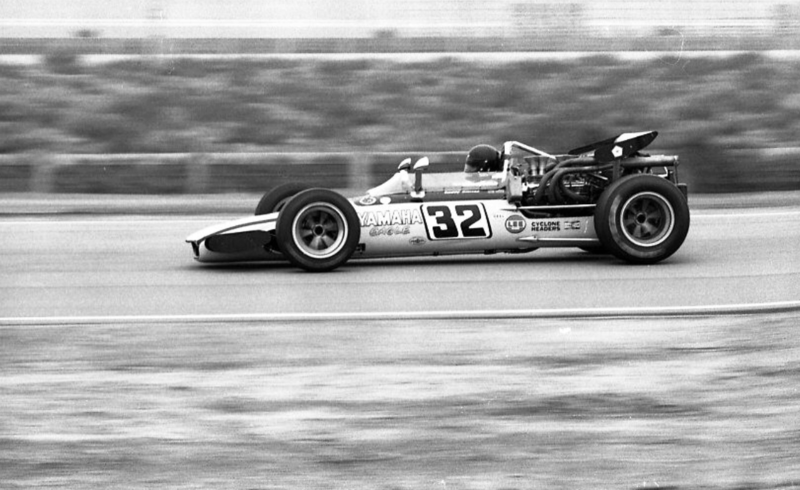 The race was run in two 100-mile heats because the F5000’s didn’t have the fuel capacity for a 200 mile race, a GP’s normal duration. 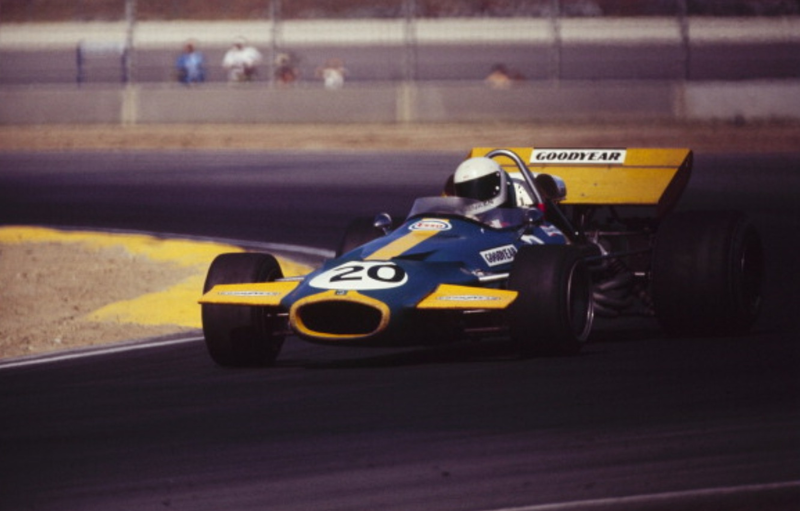 Mario Andretti, having just taken his first GP win in the season opener at Kyalami, South Africa, had an accident in qualifying on Friday and missed most of the session. 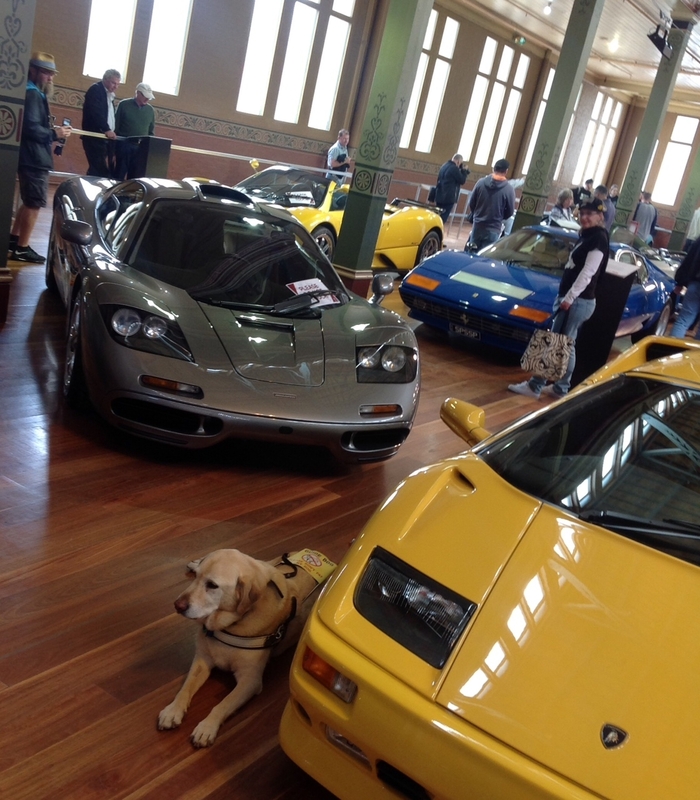 He also had an Indy race on Saturday at the Phoenix Oval. 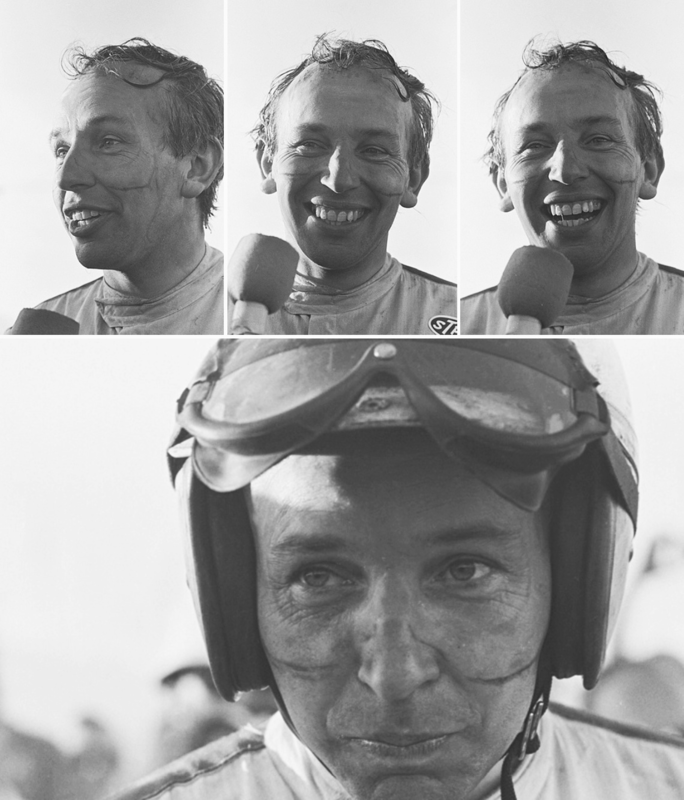 He started in 12th place, standing on his Friday time. 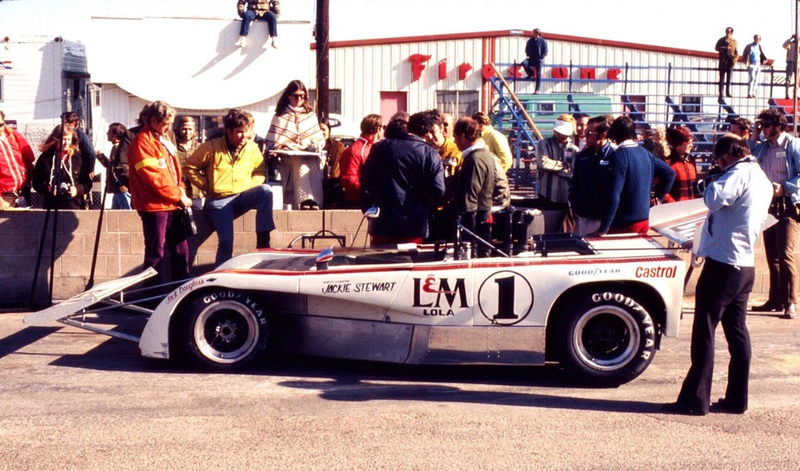 With AJ Foyt racing at Phoenix Jackie Stewart did some laps in his McLaren M10B doing a time good enough for 11th on the grid. 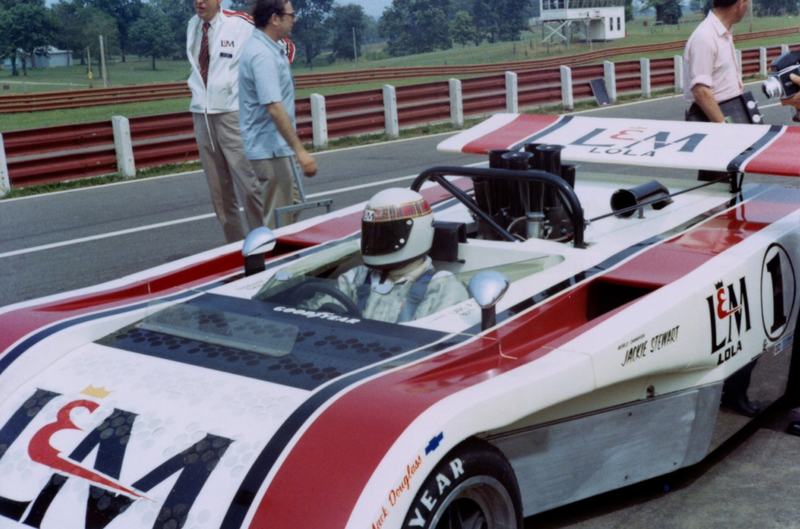 Foyt was uncomfortable with the Scots setup and reverted to his own. 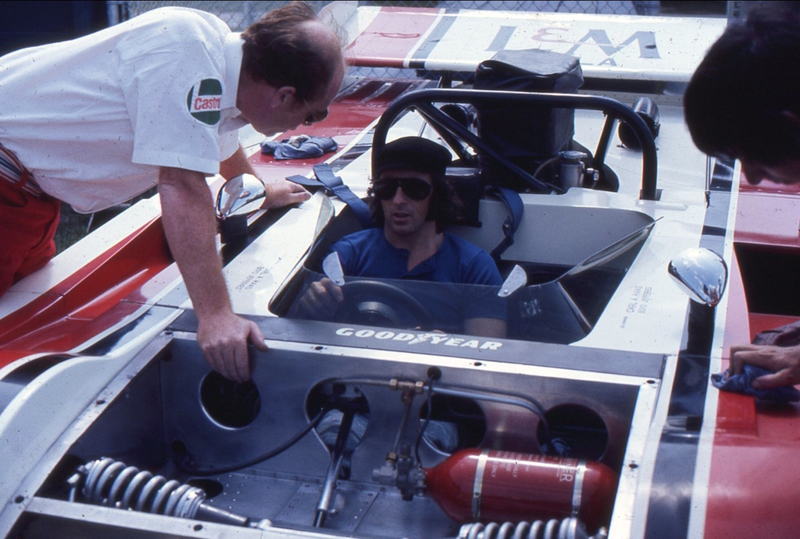 Jackie Stewart was on pole in his Tyrrell from Amon, Ickx, Hulme, Rodriguez and Hill with Donohue’s Lola the best of the F5000’s, then Siffert, Fittipaldi and Follmer’s Lotus 70. 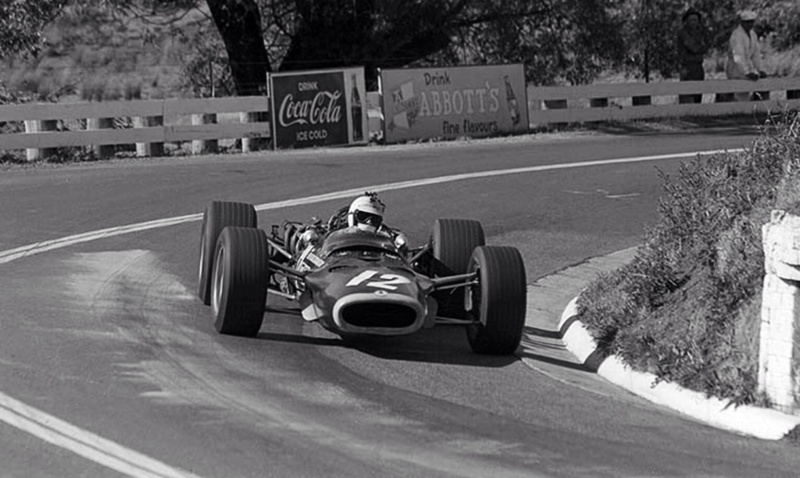 Hill, Brabham BT34 Ford 26th, Siffert. 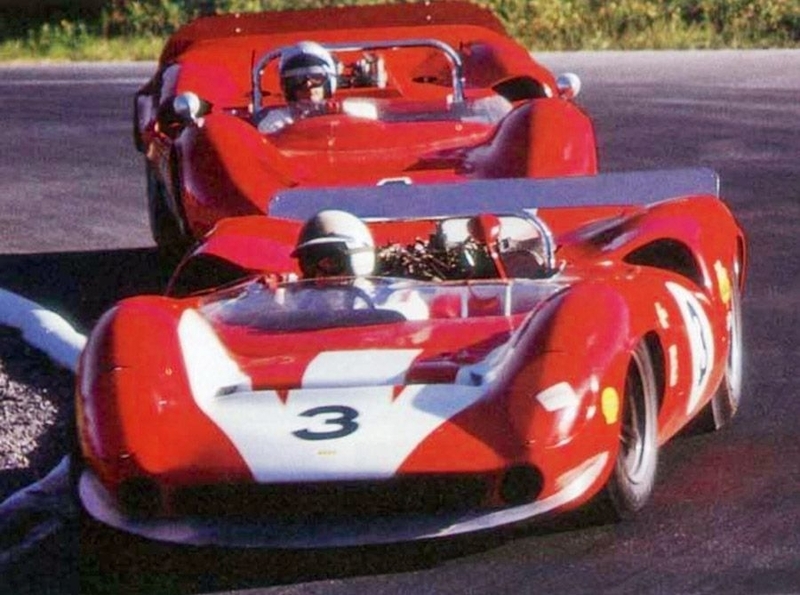 Hill and Ickx, Ferrari 312B 11th. 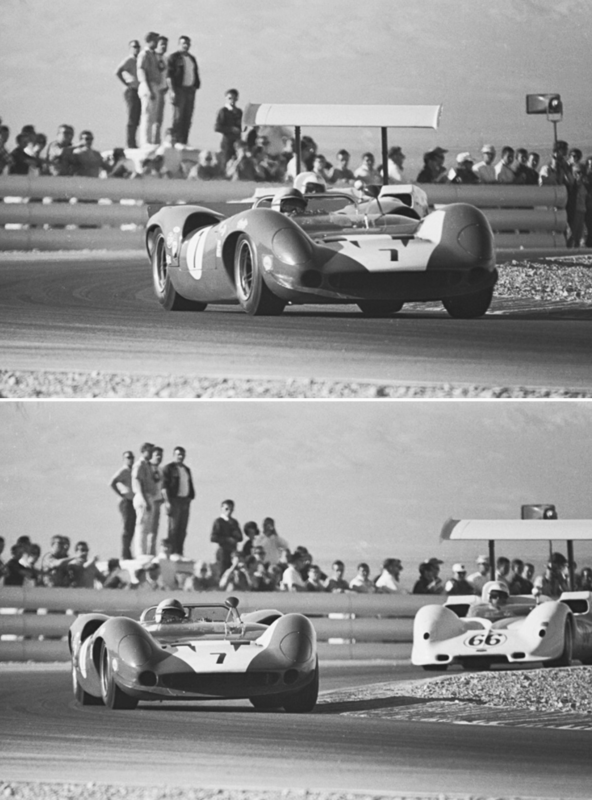 L>R top to bottom. 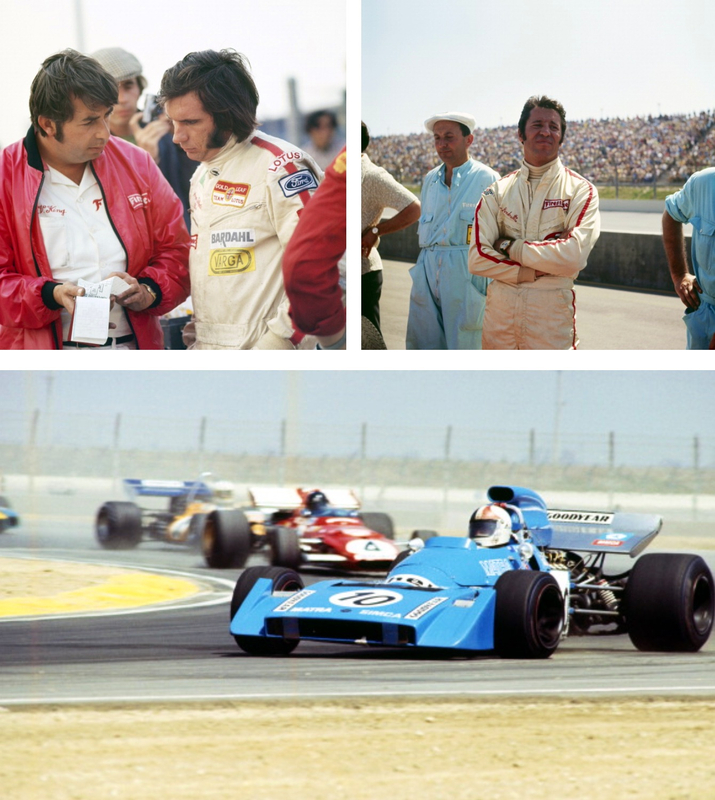 Fittipaldi, Andretti, Amon Matra MS120B 4th from Ickx Ferrari and Hulme’s McLaren M19A.. 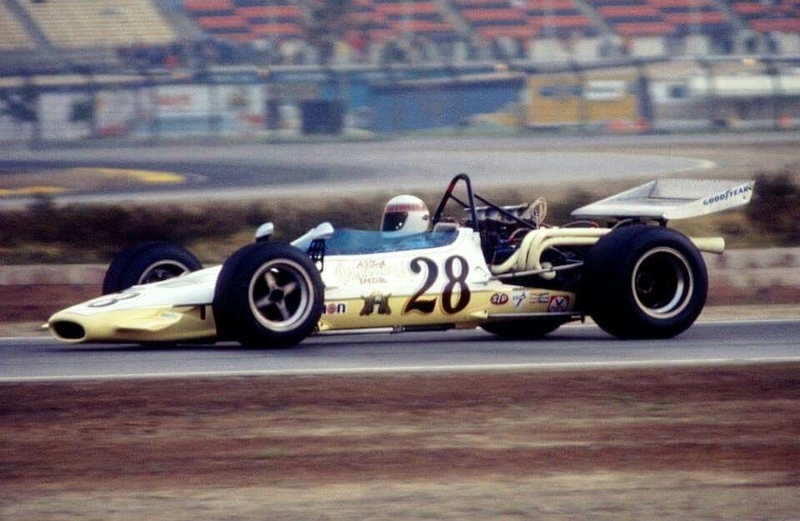 In the first heat Andretti worked his way to the front, caught and passed Jackie Stewart under braking for the first turn and won pulling away, much to the delight of the American crowd. 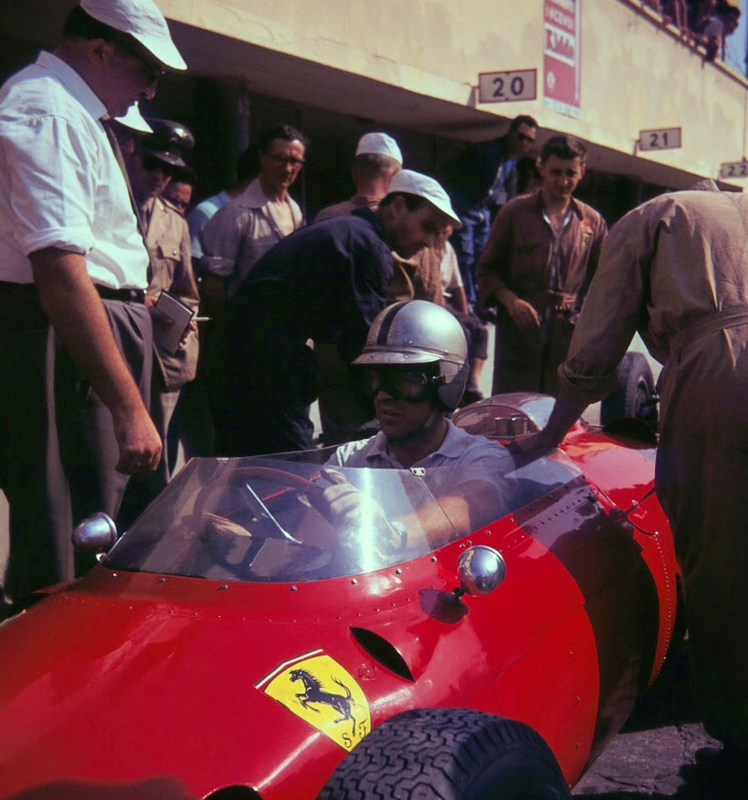 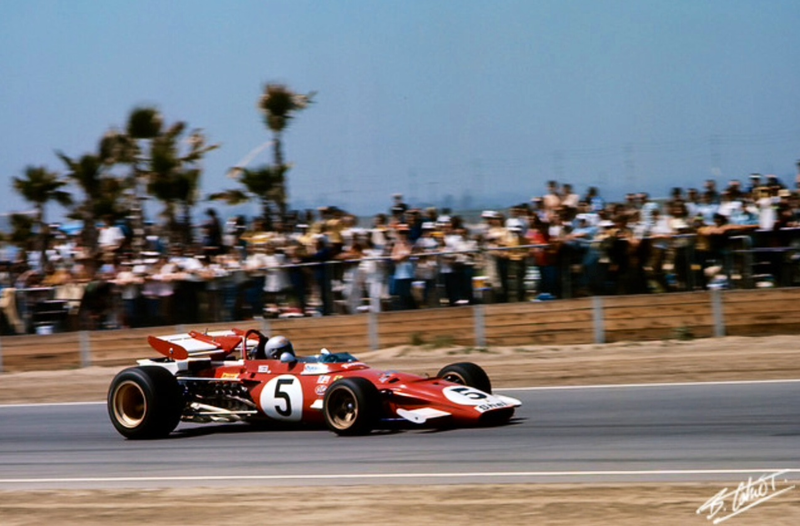 Initially Ickx used his Ferrari’s power to take the lead from Stewart, Amon, Hulme, Hill and Siffert . 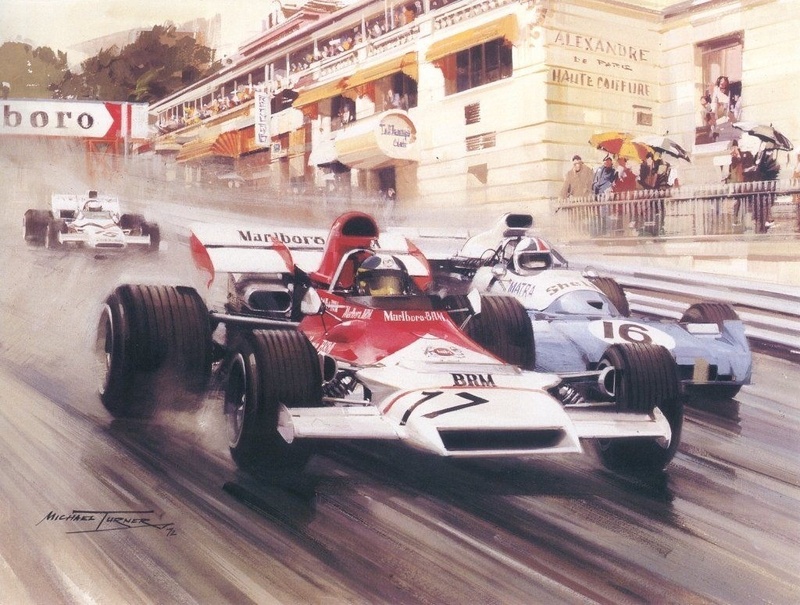 Spins for Siffert and Hulme dropped them back, while Stewart battled to get past Ickx, outbraking him and moving ahead. 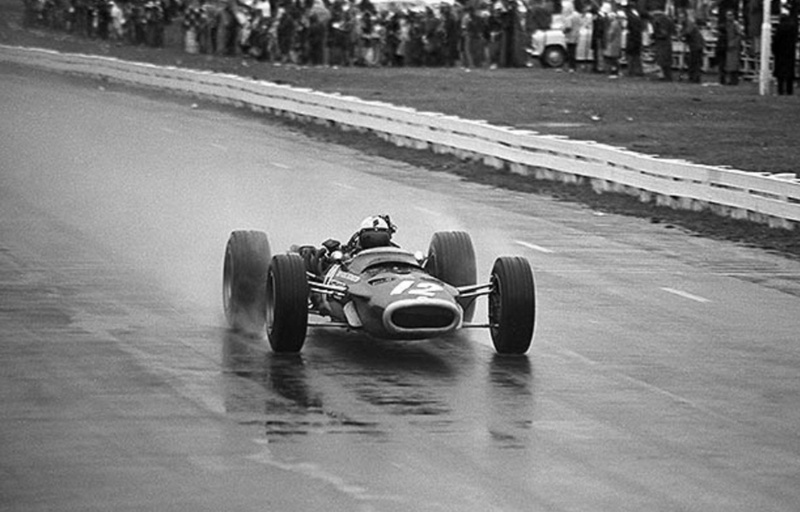 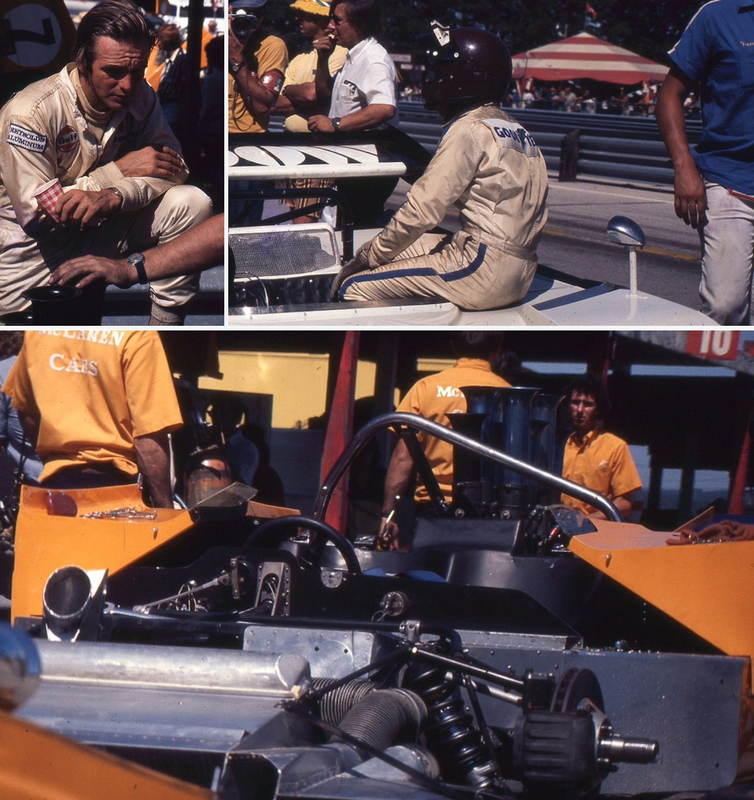 There was a high attrition rate, Foyt retired early with handling issues and Follmer with an oil fire in his Lotus, Hill was the first F1 car to drop out as he felt his Cosworth engine tighten, Savage crashed his Eagle heavily into a concrete wall off the infield section of the course suffering severe leg and head injuries. 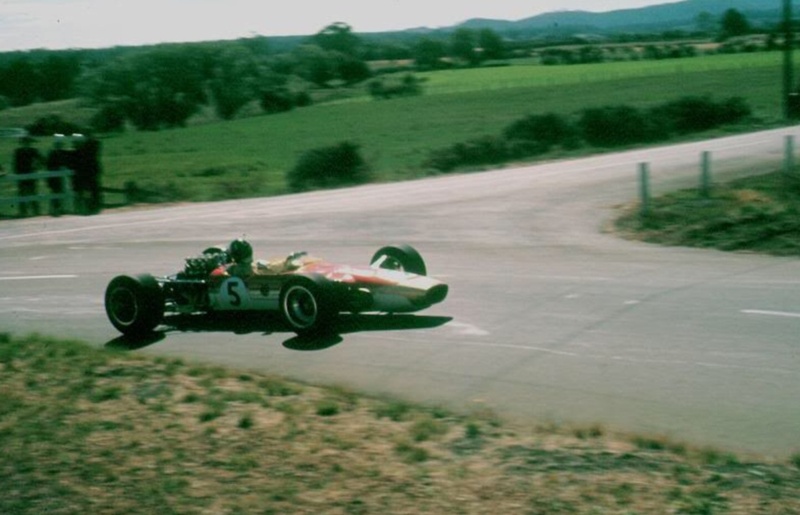 Their were other Chevrolet failures amongst the Formula A contenders, both the F1 and 5 litre cars engines were suffering as a consequence of the long straight and therefore long period at maximum revs. 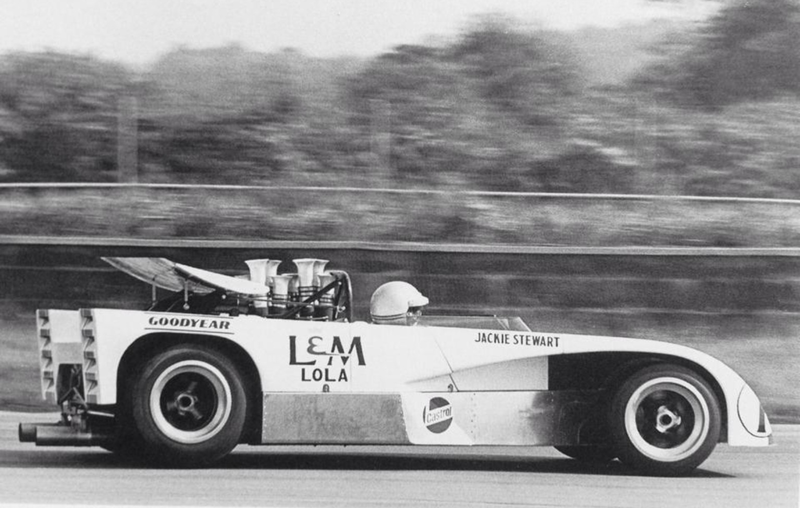 Reine Wisell, Lotus 72 Ford, ret’d. 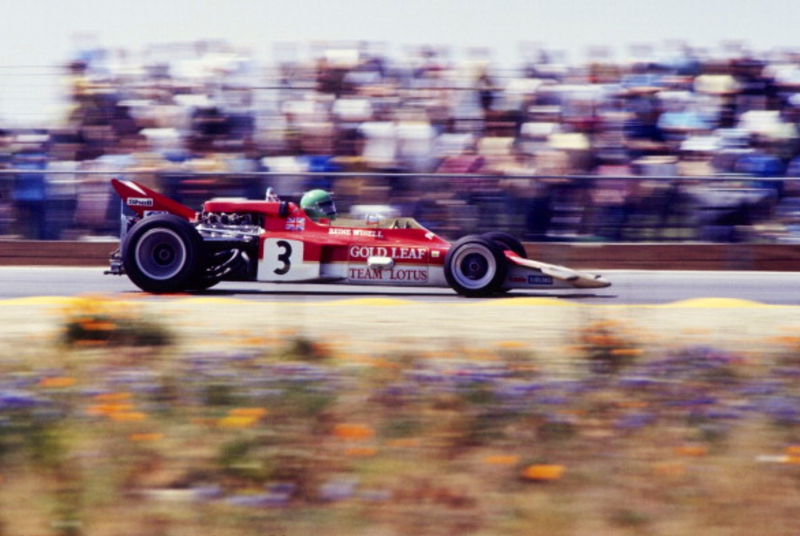 Andretti was moving up, Donohue, defended strongly in his Lotus before Andretti passed him for third, which became second when Amon pitted with a puncture. 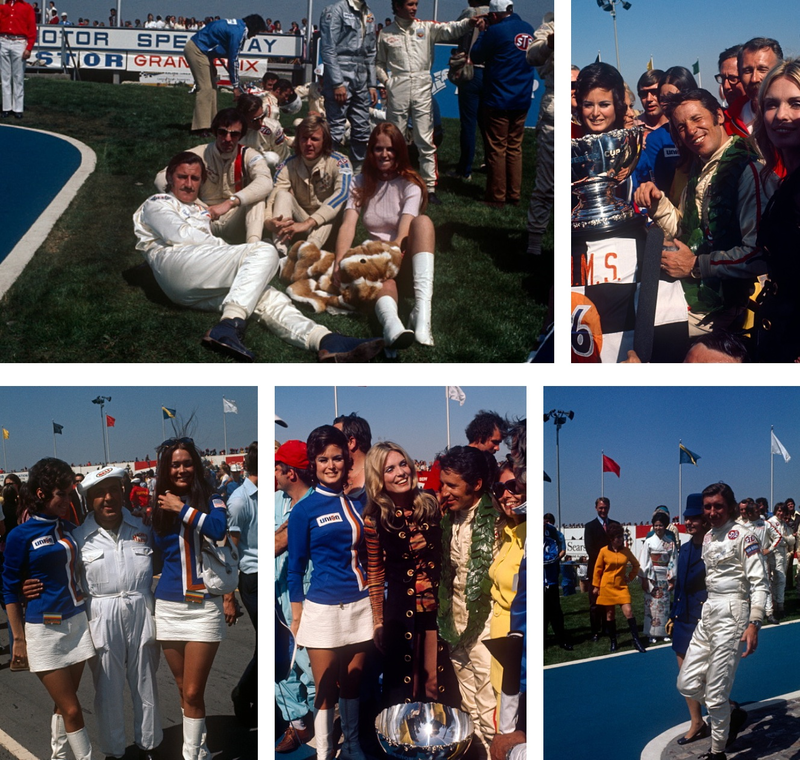 Together with three laps remaining, Andretti moved ahead to the delight of the crowd, taking the win from Stewart, Donohue was forced to pit from third with fuel injection dramas allowed Siffert into 3rd with his BRM. 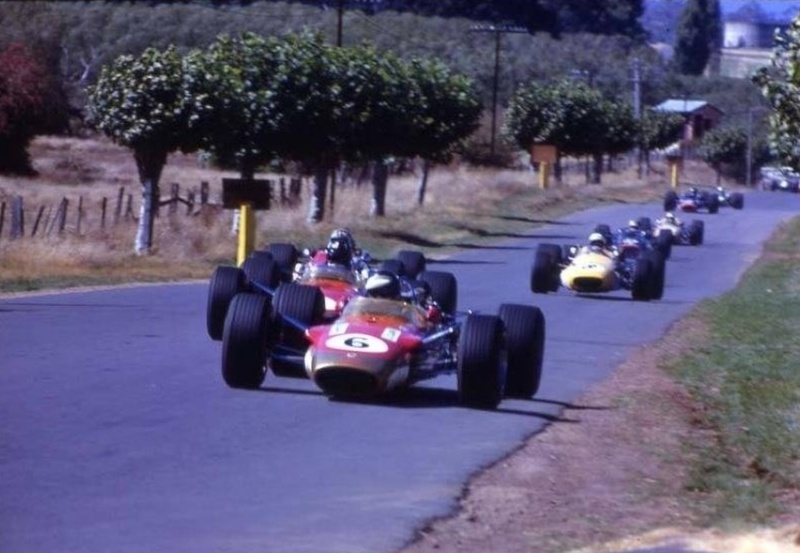 Retirements included both Marchs; Pescarolo with a cracked chassis member and Peterson going off after a shock absorber failure, both Lotus 72s retired, Fittipaldi with an injection issue. 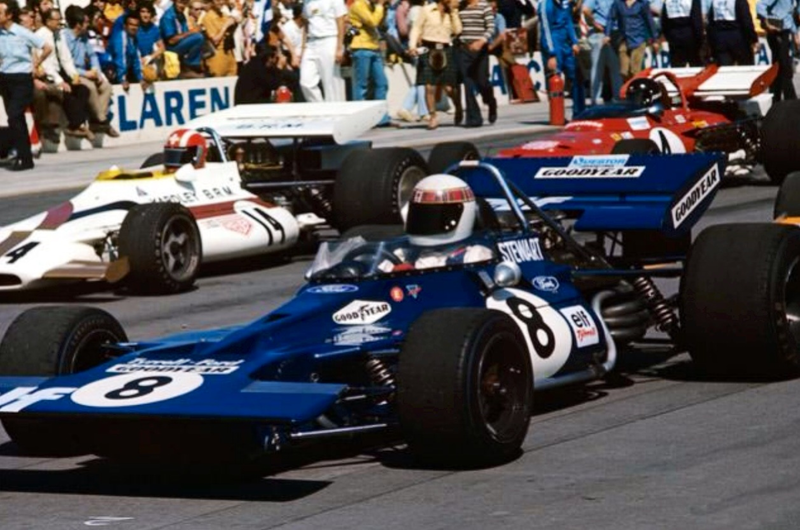 In the 2nd heat outside front row starter Jackie Stewart got the jump on Andretti and led. 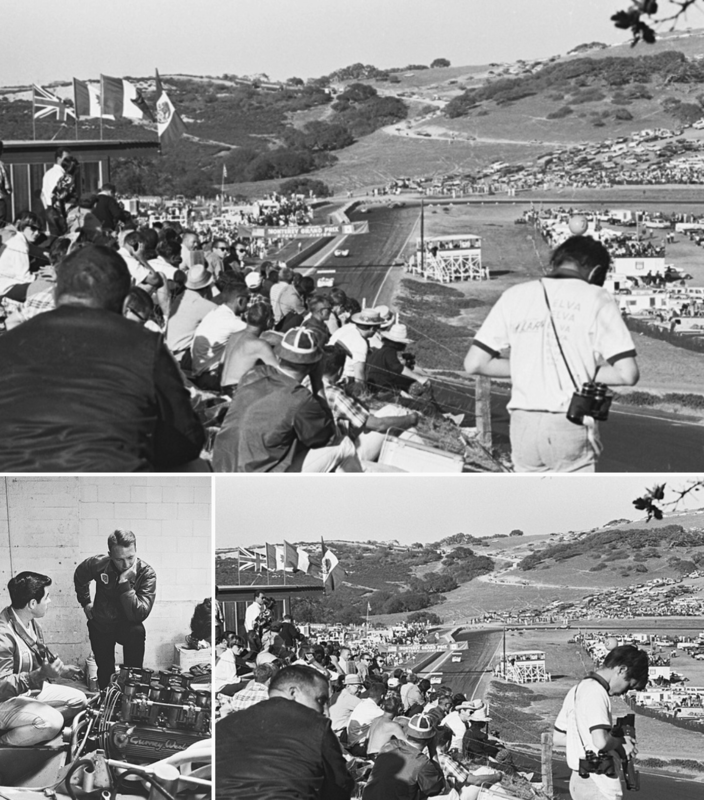 Andretti stalked Stewart for a handful of laps then repeated his first turn, first heat overtaking manouevre on Stewart to take the lead and the win. 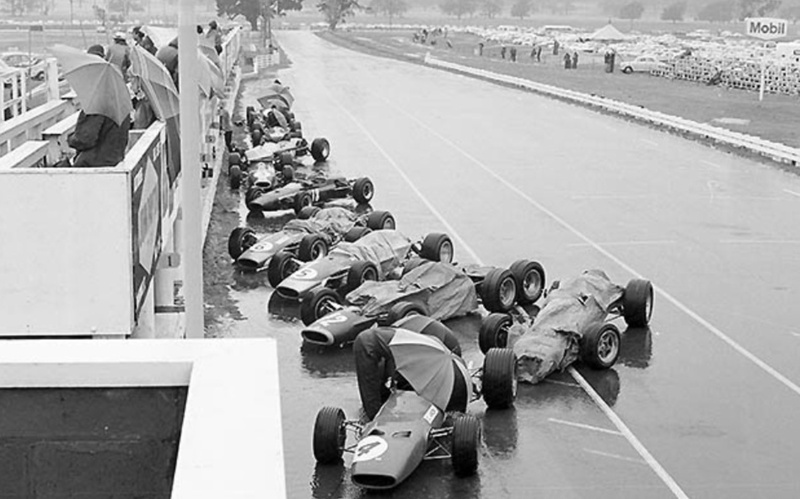 Twenty-two cars gridded for heat two 45-minutes after the first. 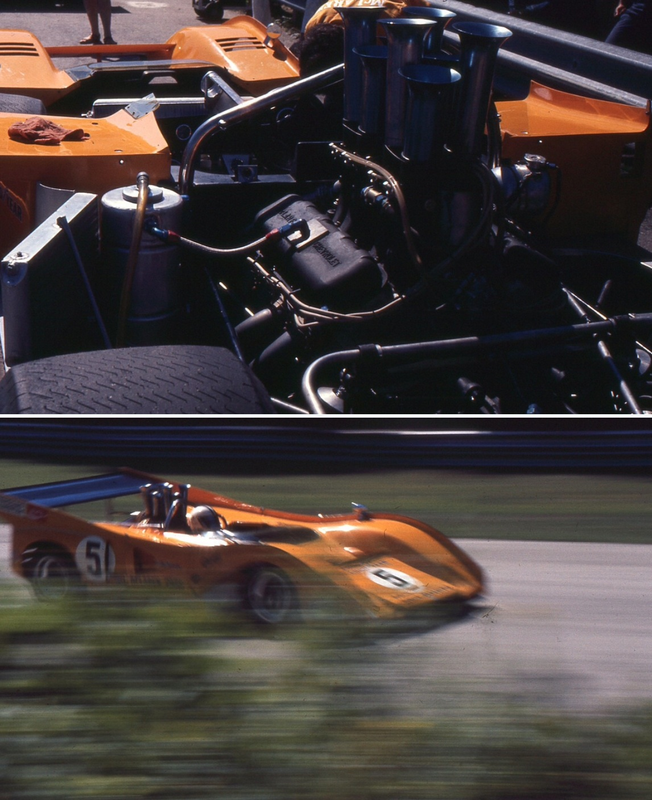 Foyt was persuaded to venture out in his McLaren Chevy and Peterson rejoinined after repairs but only once a large part of the race had been run. 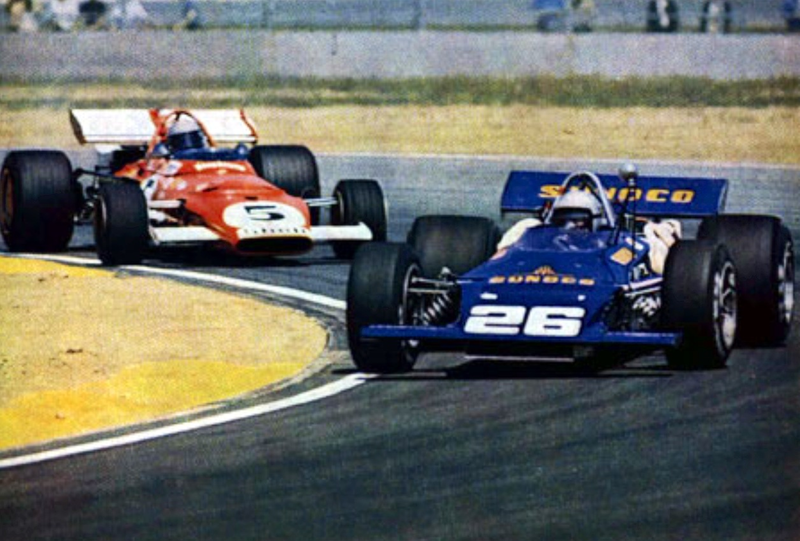 Andretti was on pole but lost out to Stewart on the opening lap. 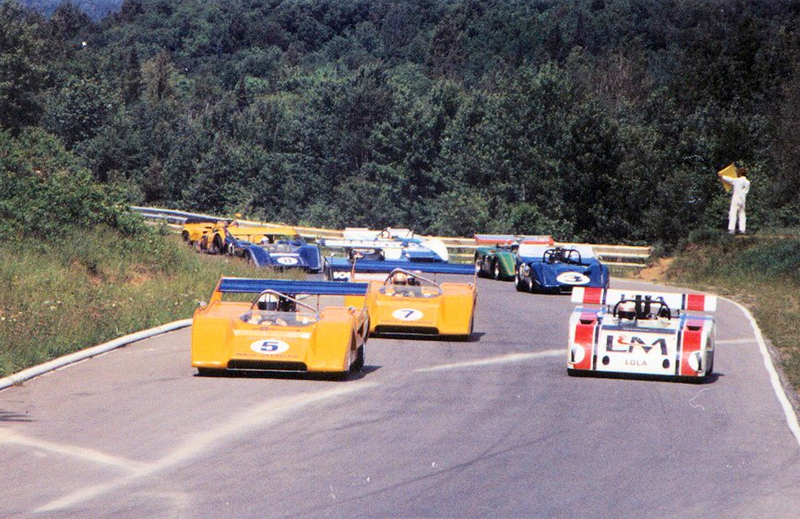 Behind, Siffert led Ickx, Hulme, Amon and Donohue, that order changed when Ickx tried to dive past Siffert at the end of one of the short straights, Ickx spun and took Siffert with him. 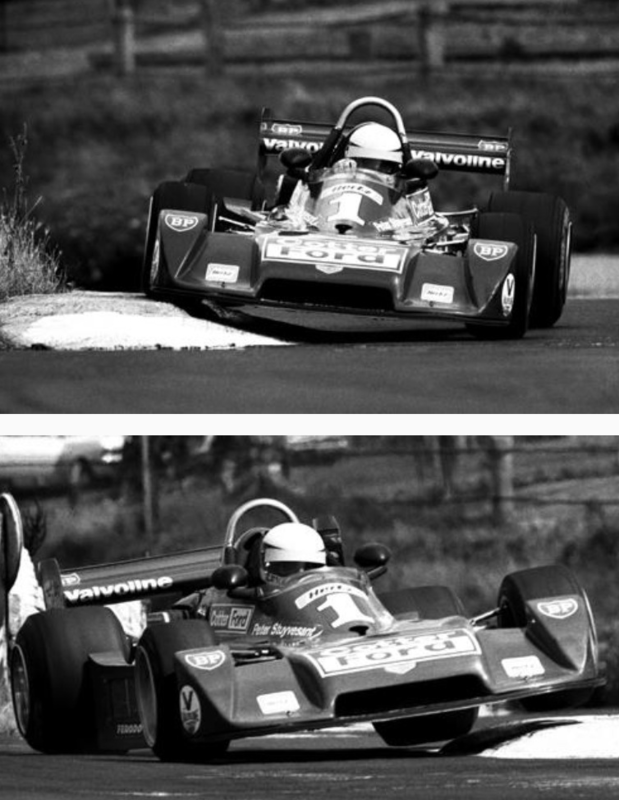 Whilst Seppi continued Ickx pitted with a puncture. 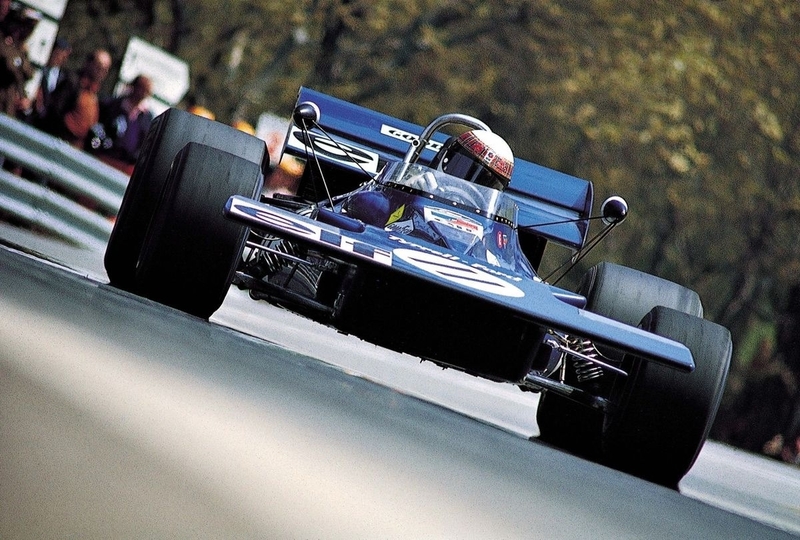 Stewart, Tyrrell 001 Ford 2nd. 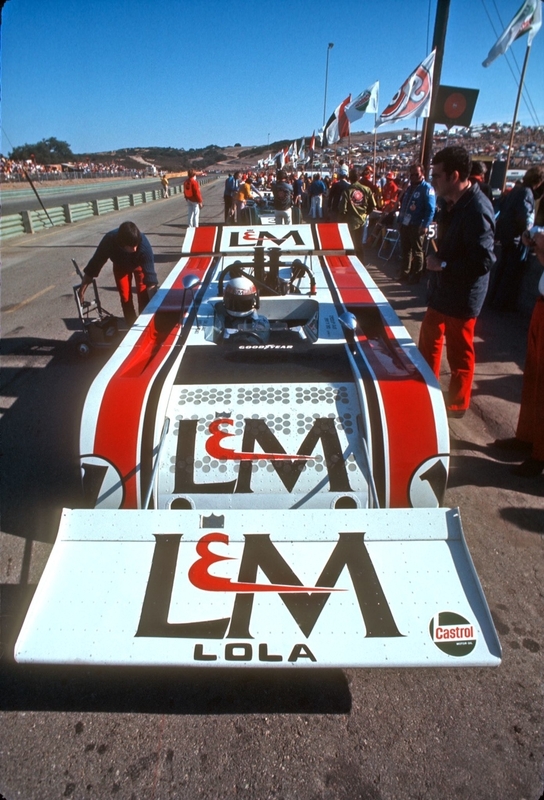 Luckless Donohue pitted from third with injection dramas after a fine run, easily the quickest of the Formula A’s in his Penske Lola T192, Amon took over third in his Matra. 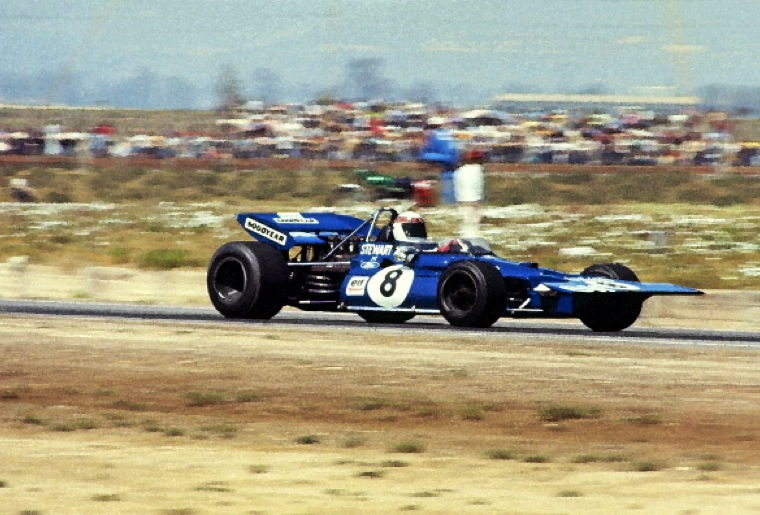 At the front, Andretti was closing in again on Stewart, the Tyrrell suffering a broken rear anti-roll bar which was causing issues on the banking, Stewart elected to yield as Andretti made his move. 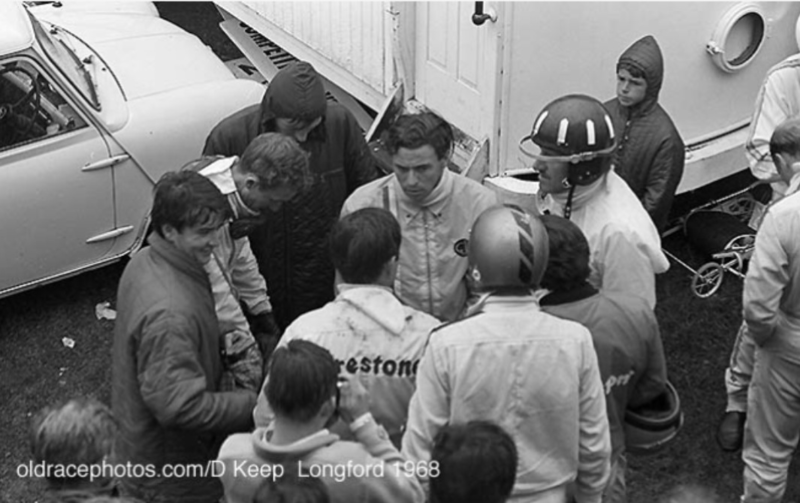 The tough nature of the circuit again took its toll. 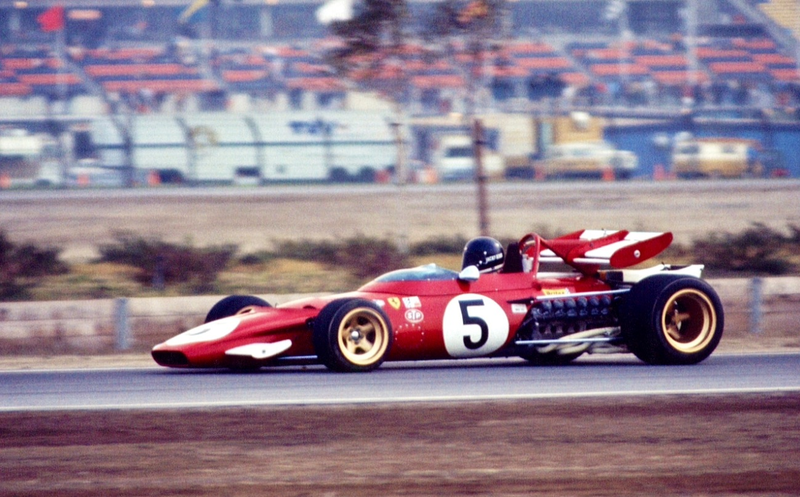 Even Andretti was impacted, his Ferrari not revving cleanly and puffing smoke. 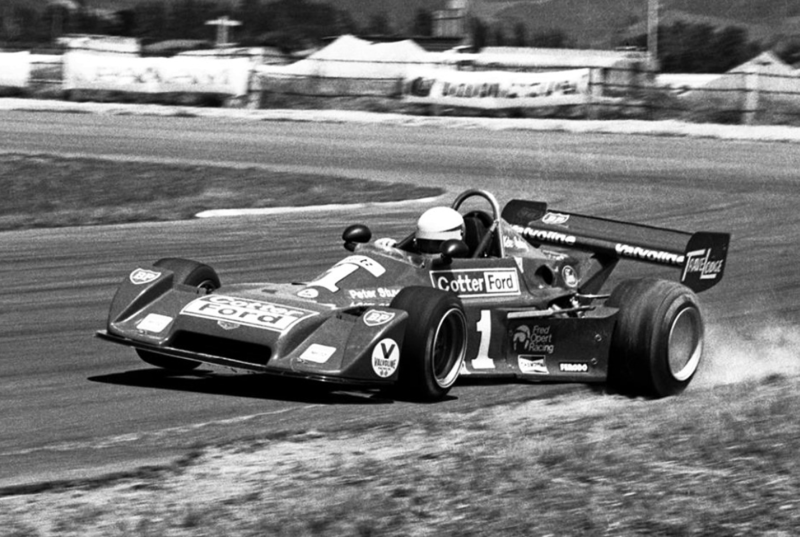 He held on to win though with Stewart second from Amon. 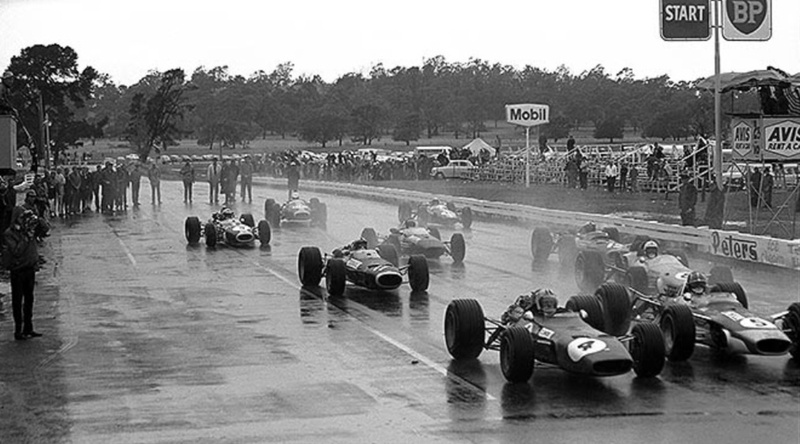 Rodriguez benefited from Siffert slowing after losing a suspension bolt to take fourth ahead of Hulme, Schenken and Ron Grable the first FA car home in seventh. 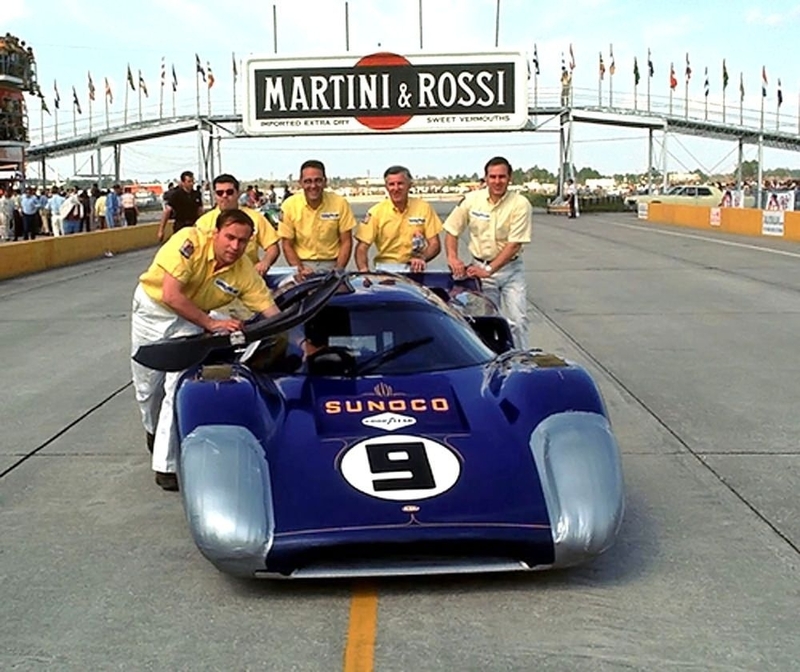 In terms of overall results the complex points structure meant that a car with a high finish in one race could outscore a car that had finished both, gave Andretti the win he deserved, Stewart was second from Hulme, Amon and Grable heading the US-runners in seventh. 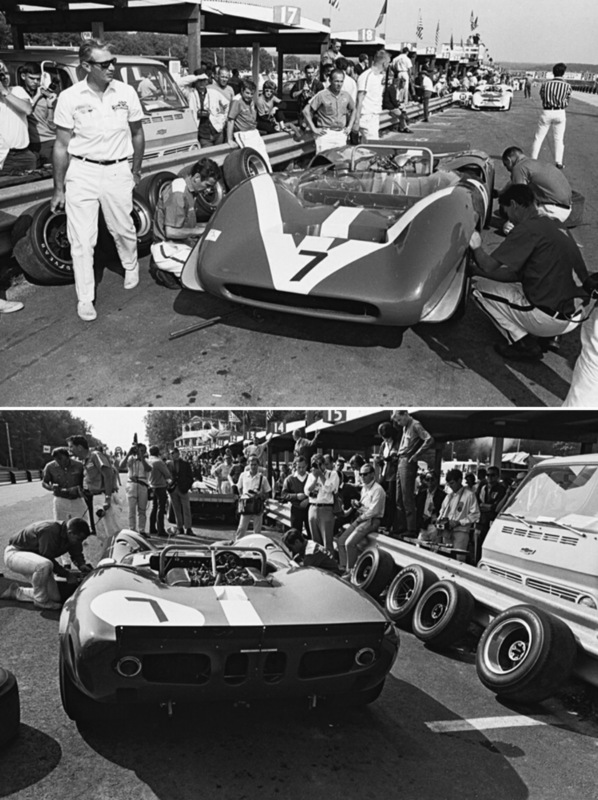 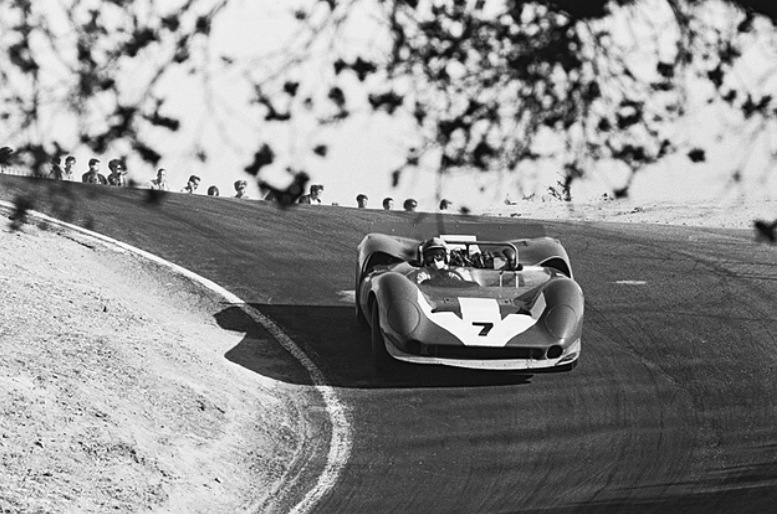 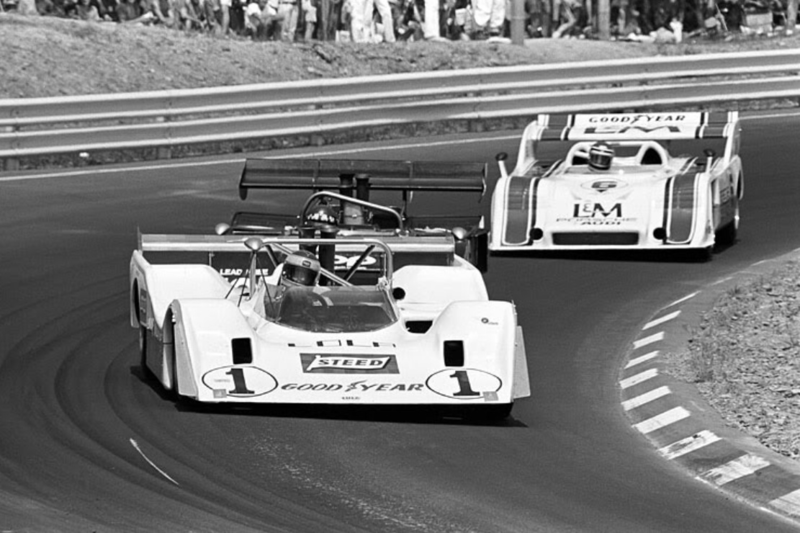 The race was popular with the crowd, the American racers felt their cars had been uncompetitive and the European’s, other than those who had extensive sportscar experience of Daytona, were not fond of the banking! 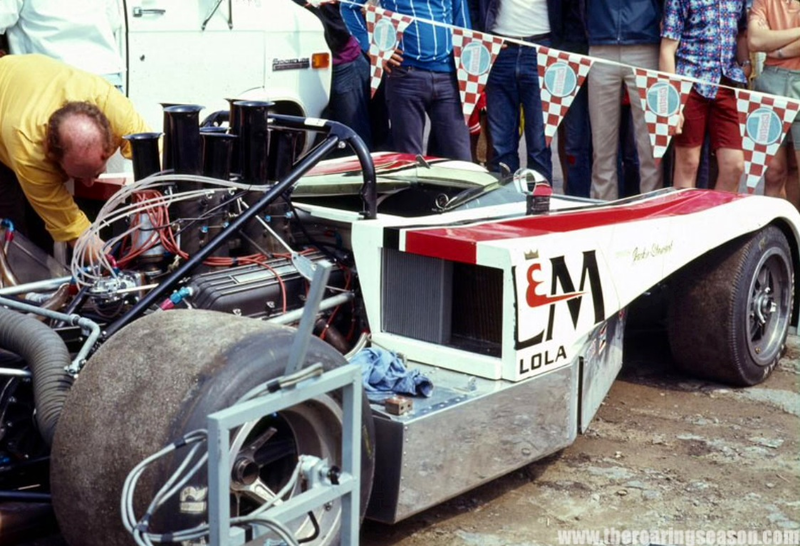 The Questor Group, builder/owners of the circuit encountered financial problems shortly after the event so it was not repeated, leaving it a ‘great might have been’. 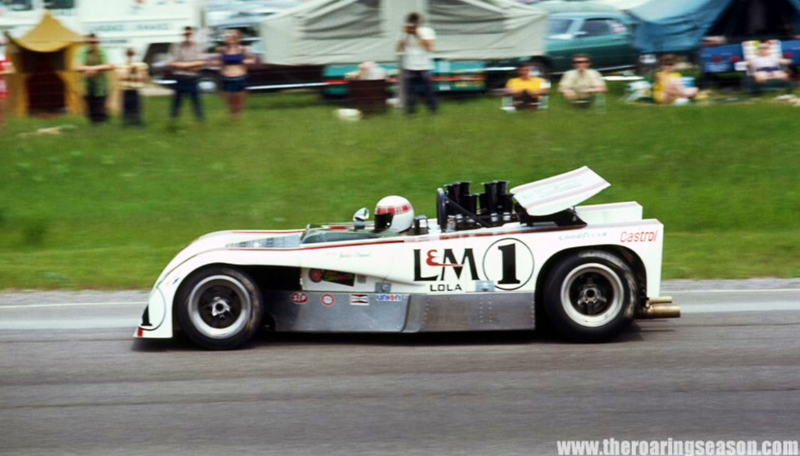 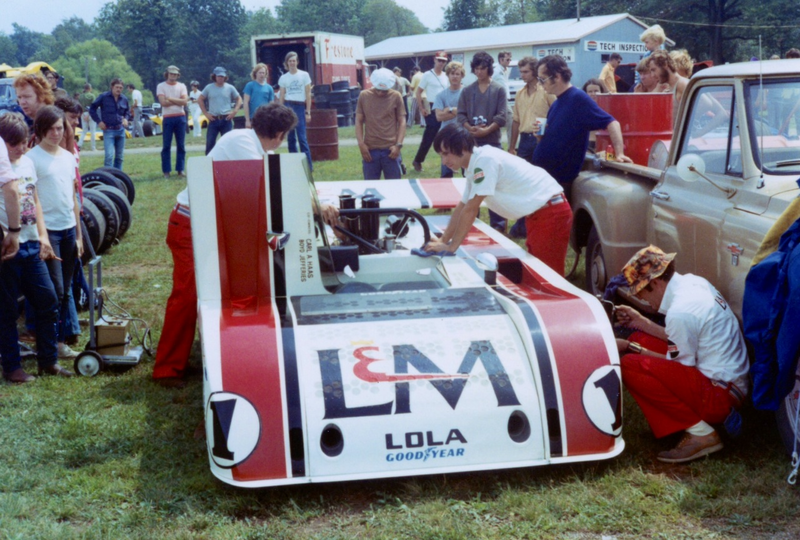 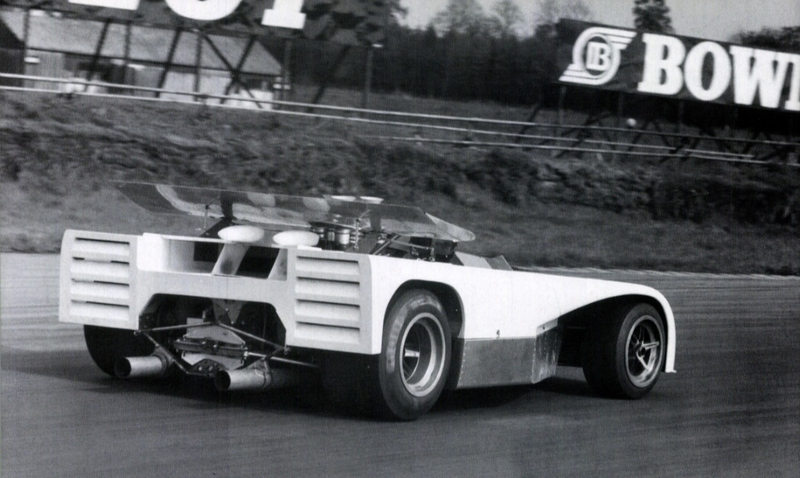 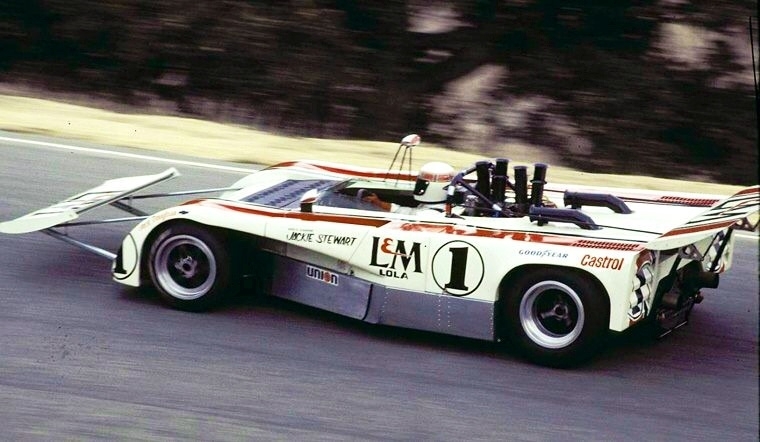 Certainly as F5000’s became more sophisticated into the 1970’s, the Lola T330/2 famously as quick as many F1 cars at Mosport and Watkins Glen, circuits upon which they both raced, would have made such an event much closer, perhaps, than the Questor GP was in 1971? 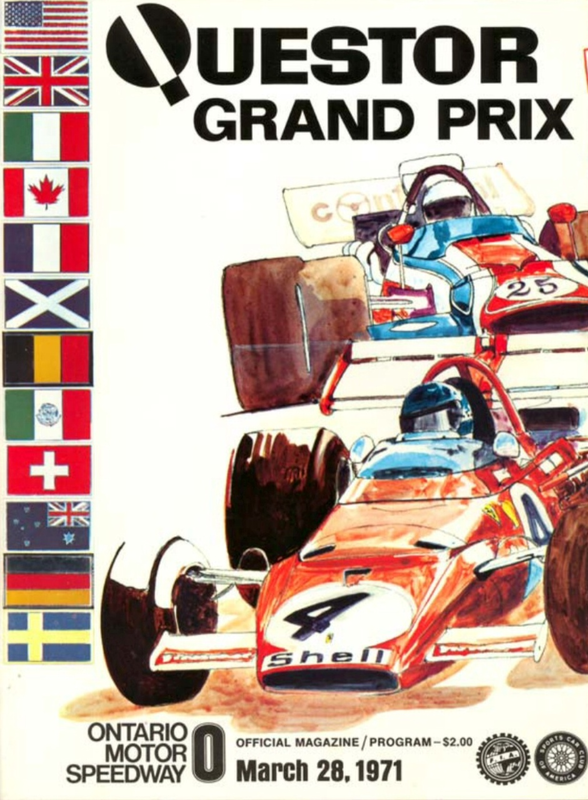 Overall Results: 1 Andretti; 2 Stewart; 3 Hulme; 4 Amon; 5 Schenken; 6 Siffert; 7 Grable; 8 Gethin; 9 Ganley; 10 Rodriguez. 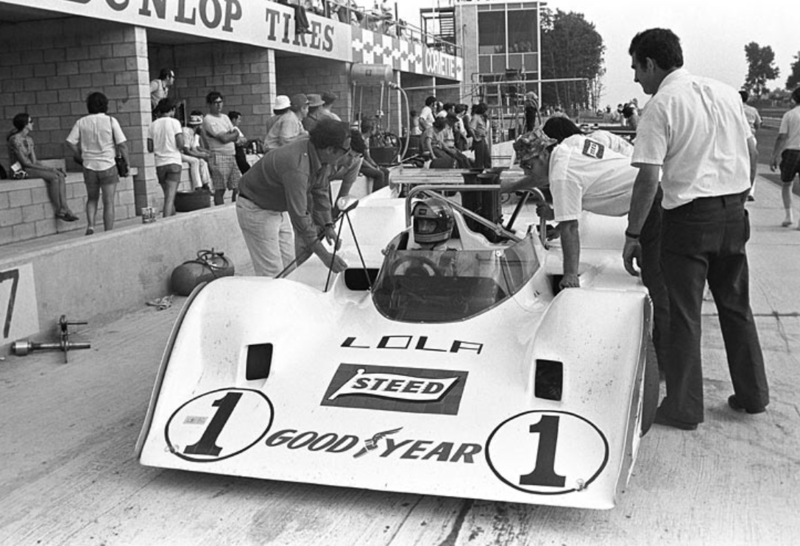 Fastest Lap: Rodriguez, 1m42.777s (111.49mph). 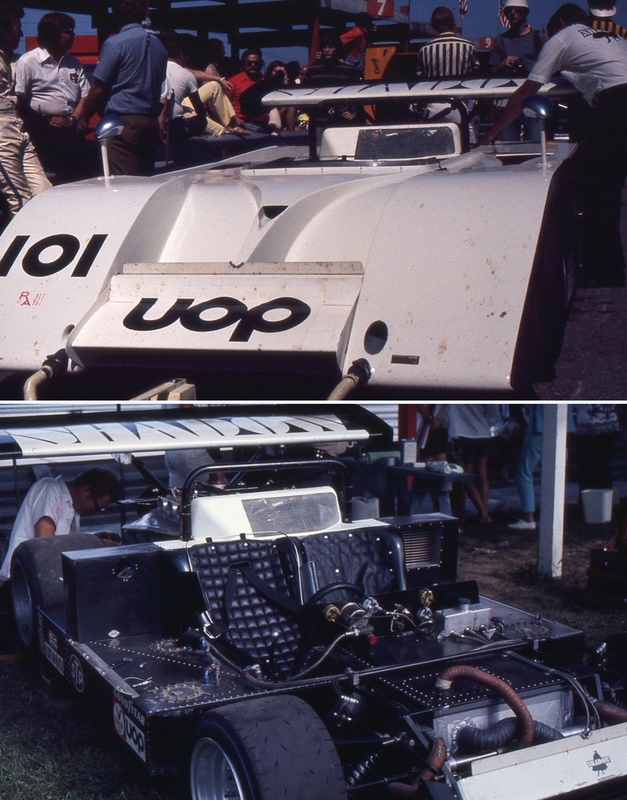 L>R top to bottom. 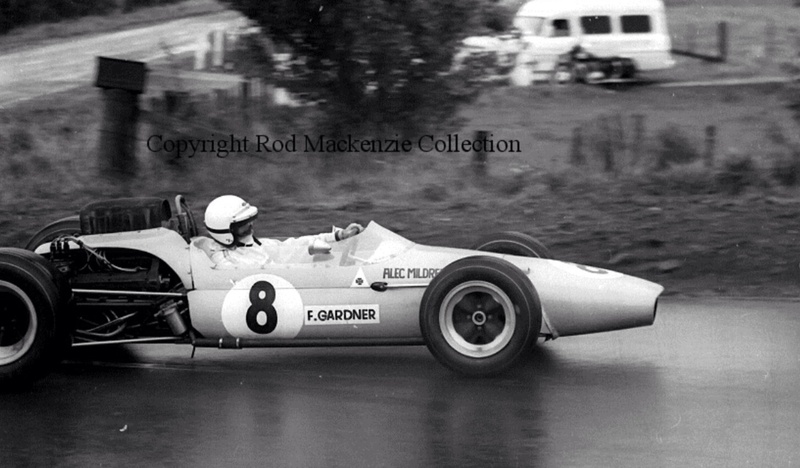 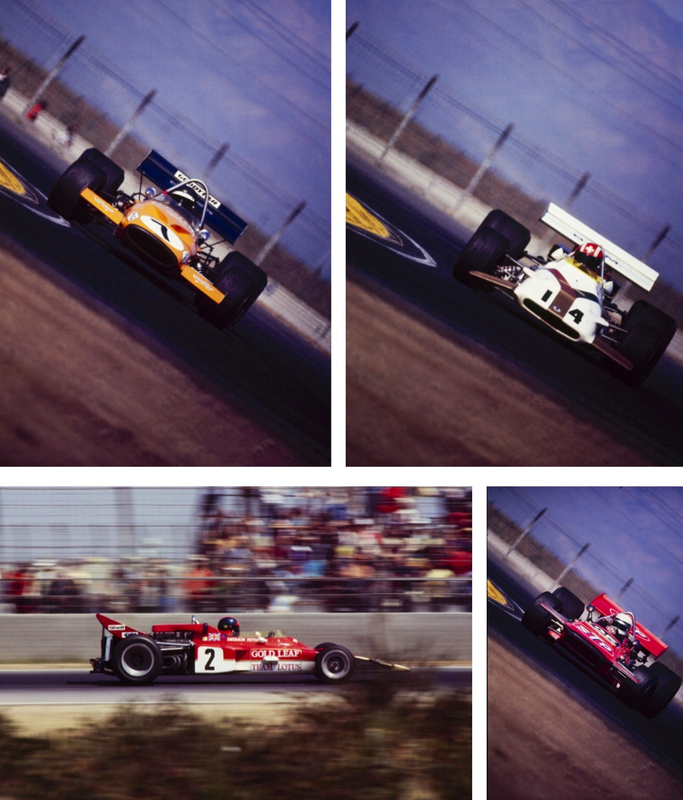 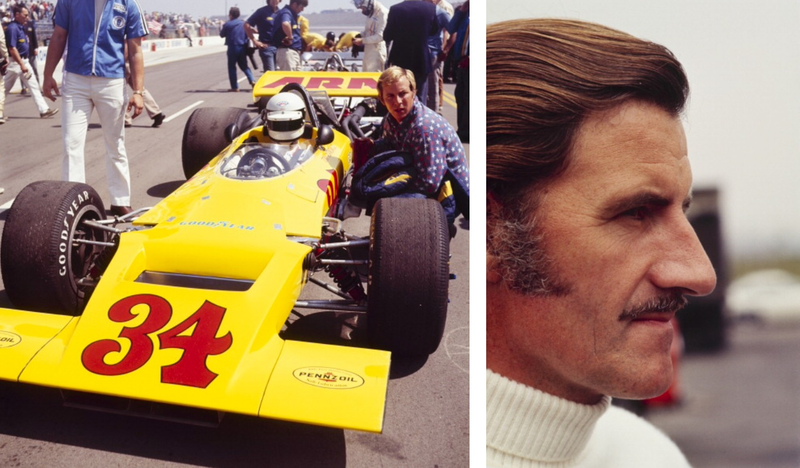 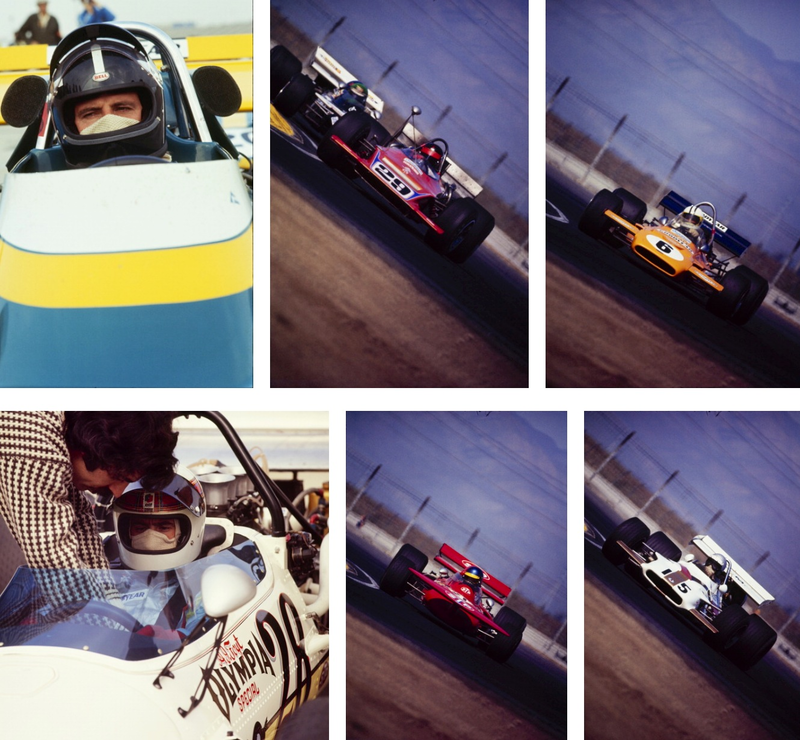 #7 Gethin McLaren M19A Ford 8th, #14 Siffert BRM P160 6th, #2 Fittipaldi Lotus 72 Ford 21st, John Cannon March 701 Ford 12th. 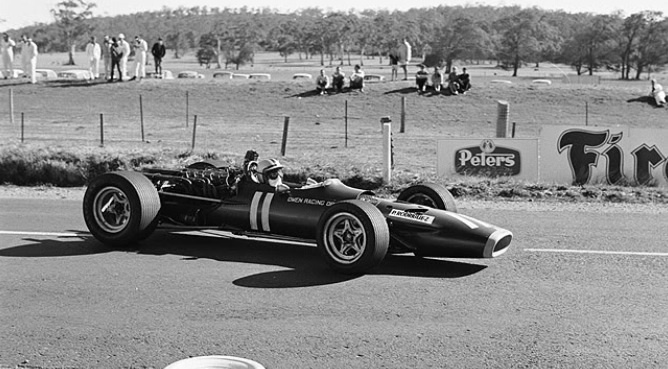 Tim Schenken Brabham BT33 Ford, 5th. 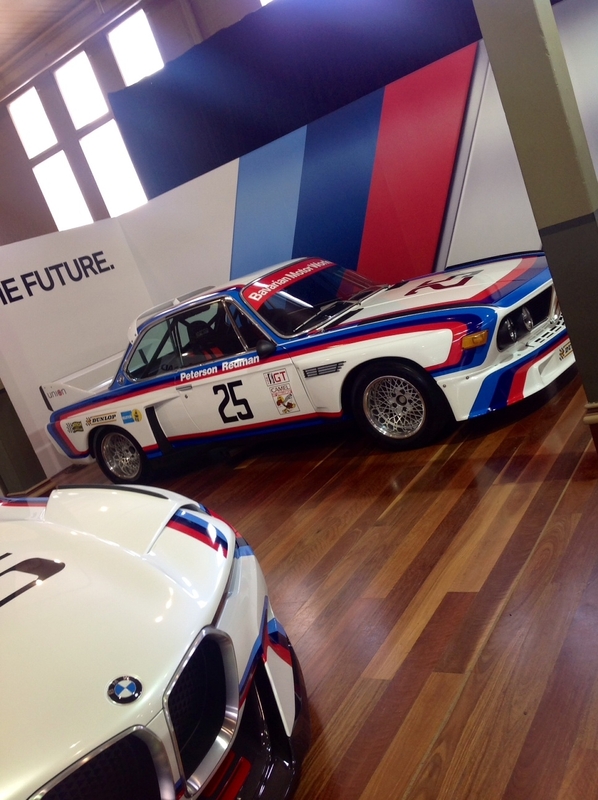 Motoring Awards. 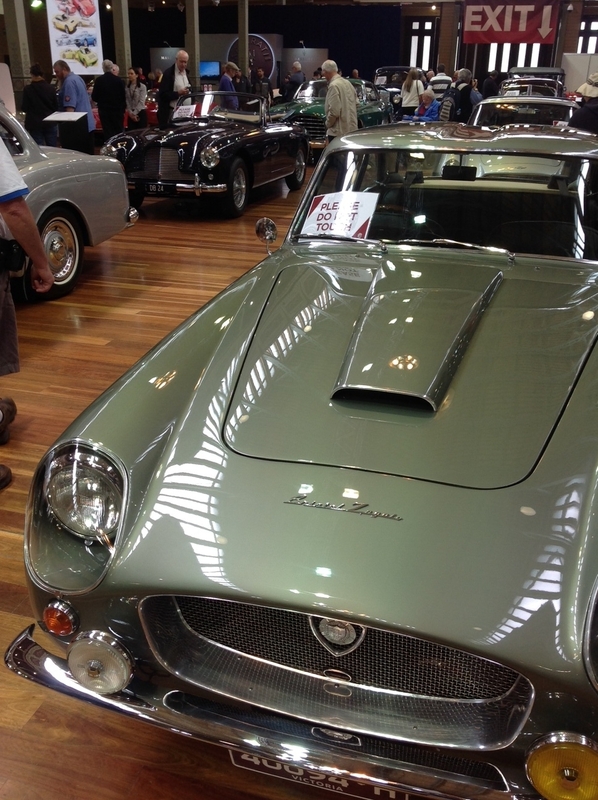 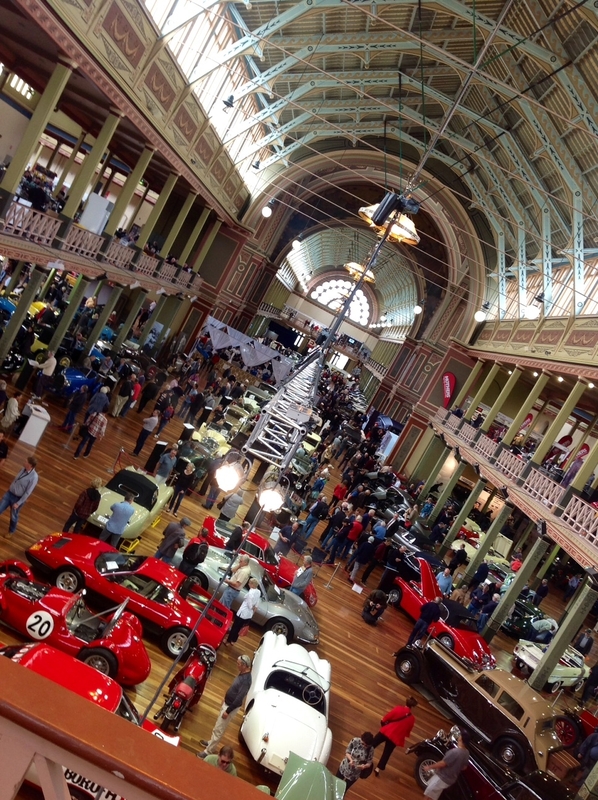 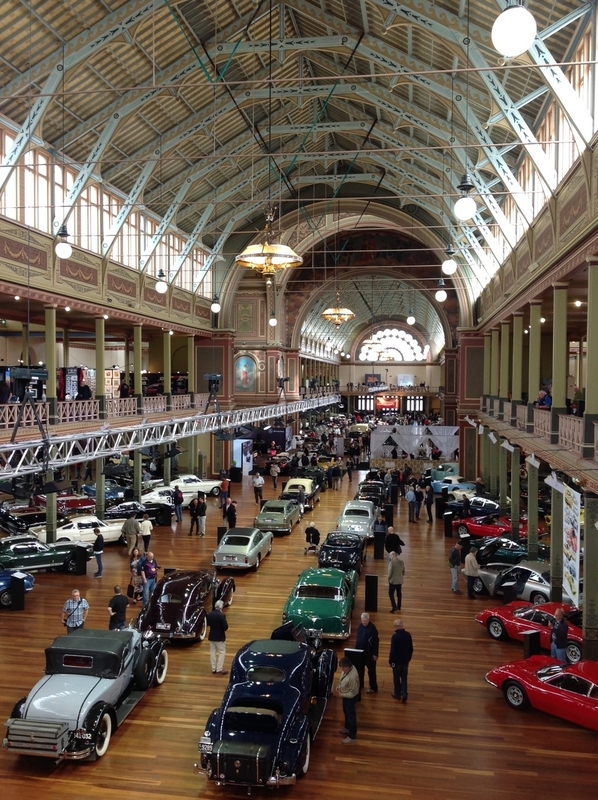 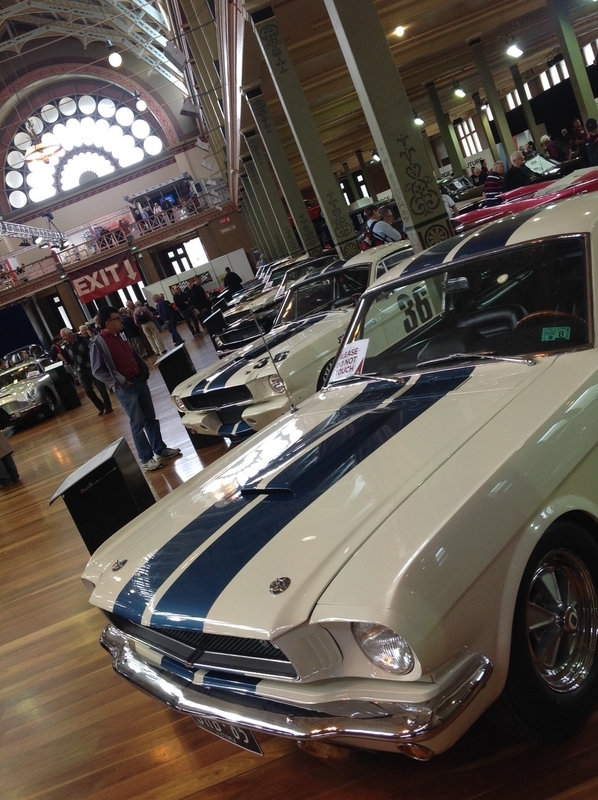 There is also a tour through the city streets for Concours entrants, an auction and over 400 enthusiast owned cars on display in the Royal Exhibition Building’s surrounds. 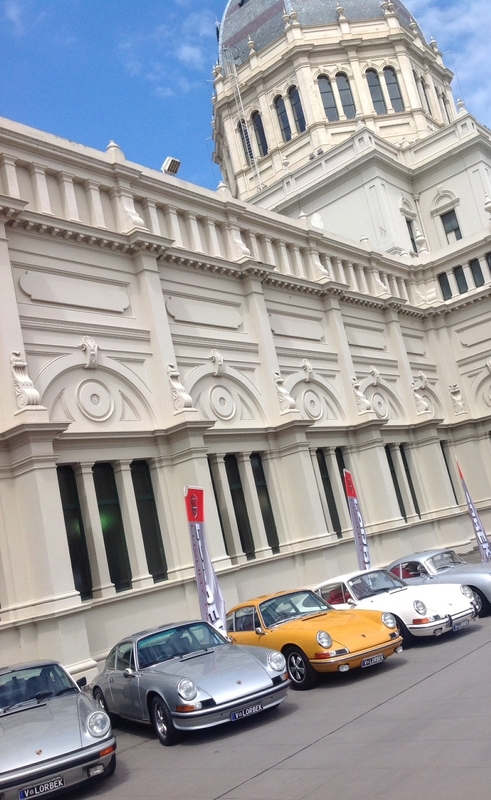 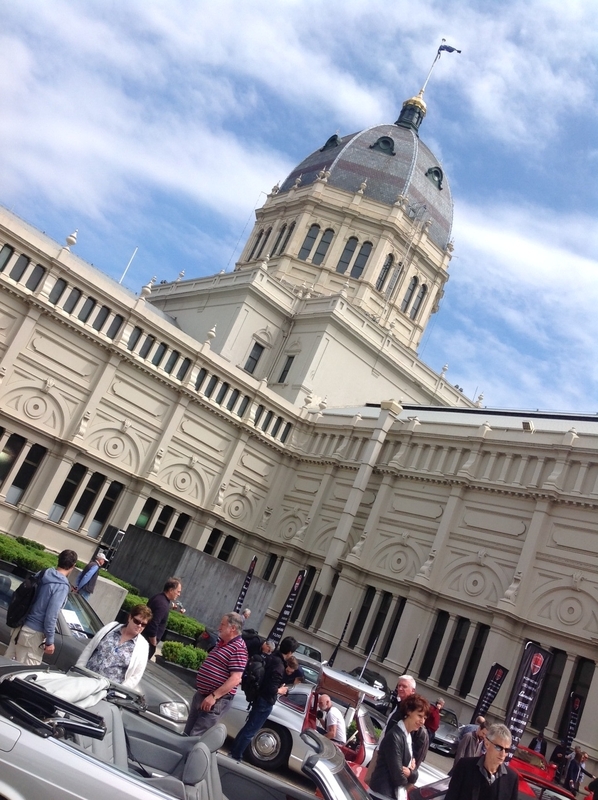 The venue is in Melbourne’s CBD fringe, The Royal Exhibition Building erected in the Carlton Gardens for the Melbourne International Exhibition in 1880 showed the cars to great effect, a terrific backdrop with a sense of grandeur that is apt. 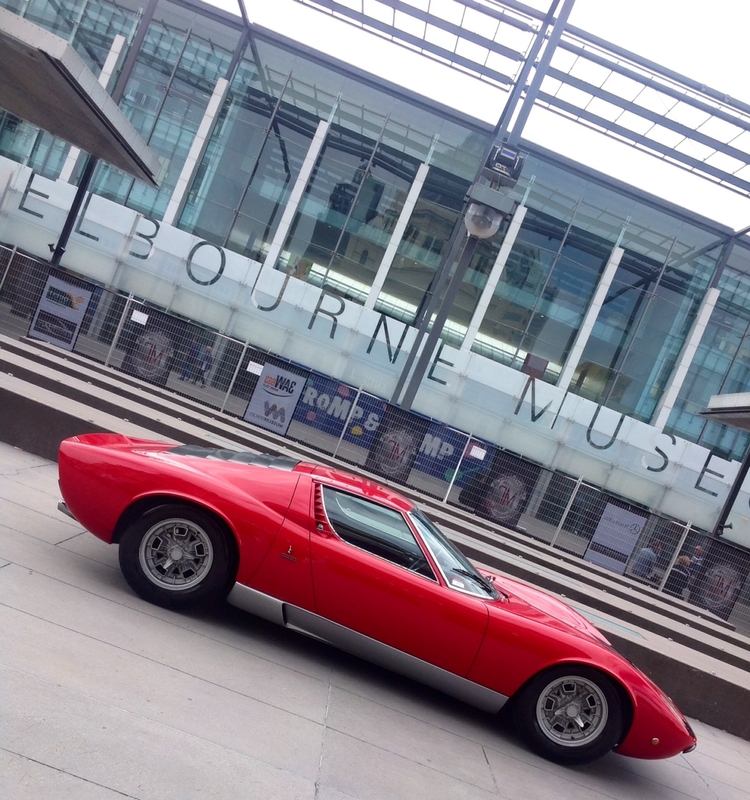 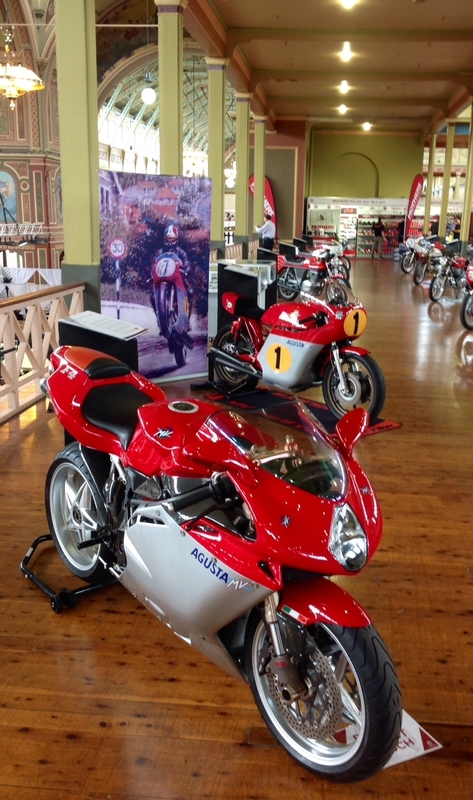 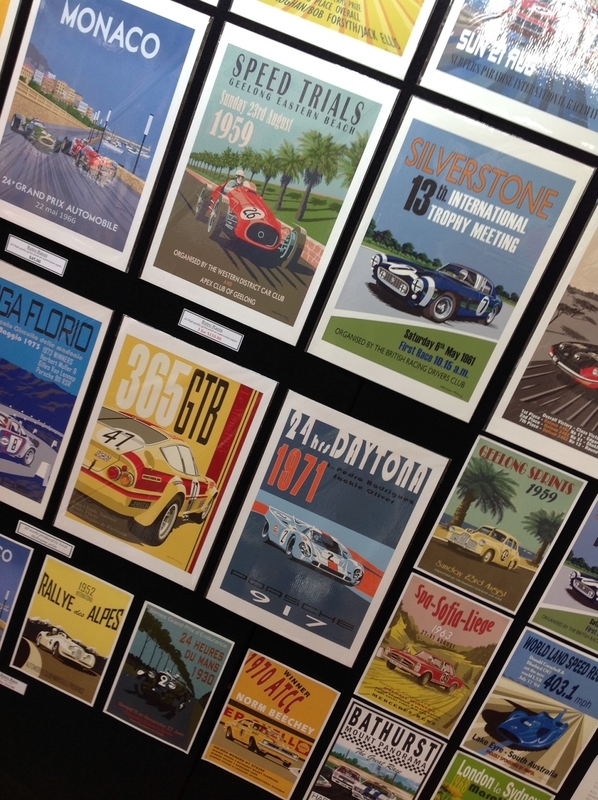 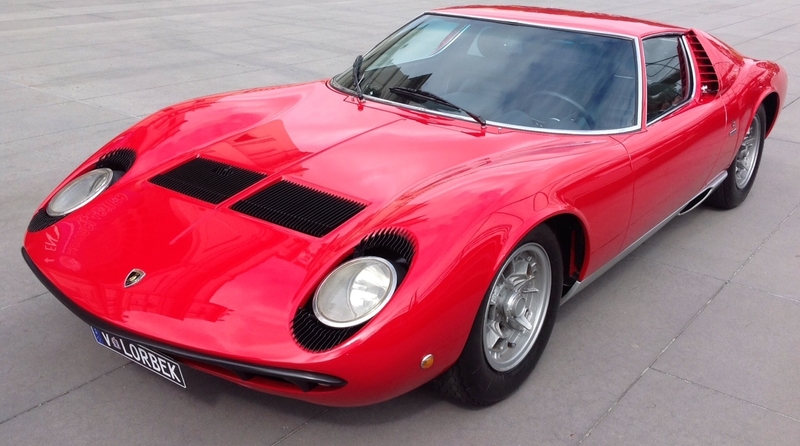 Themes this year were celebrations of 50 Years of the Supercar, (defined as the build date of the Lambo Miura), the Shelby Mustang, the Ferrari Dino, the Bugatti Club Australia and 70 years of MV Agusta. 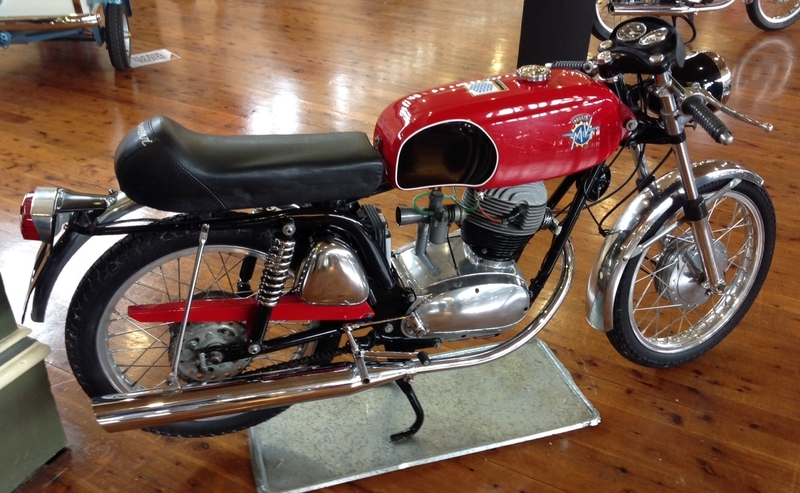 1971 MV 150RSs: ‘Rapido Super Sport’ 4 stroke single cylinder pushrod OHV. 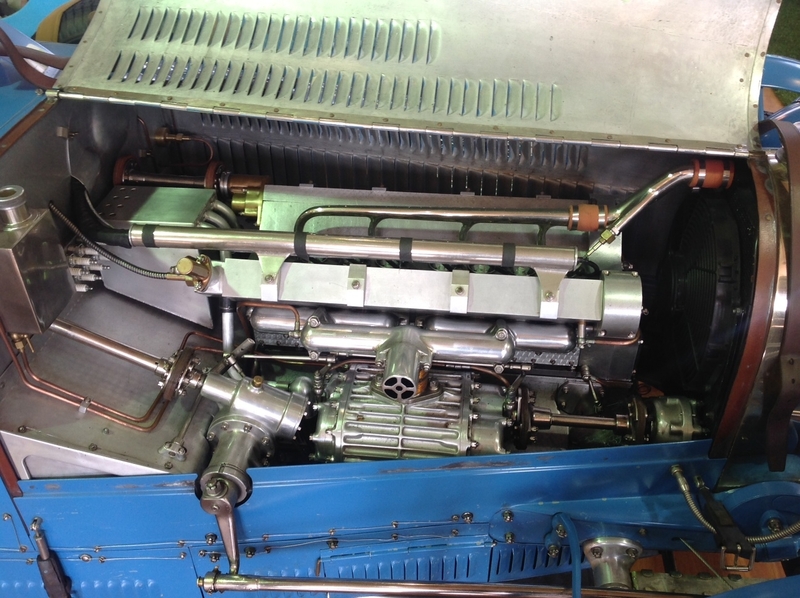 Supercharged Bug 4 cylinder engine, maybe one of you can help me with the correct model, a Tourer. 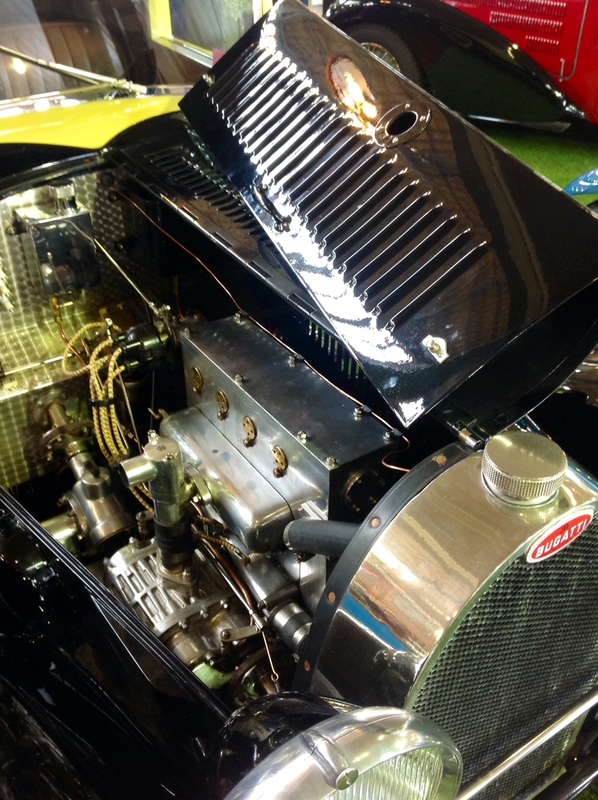 Bugatti T37A ‘37358’ in all its part restored glory. 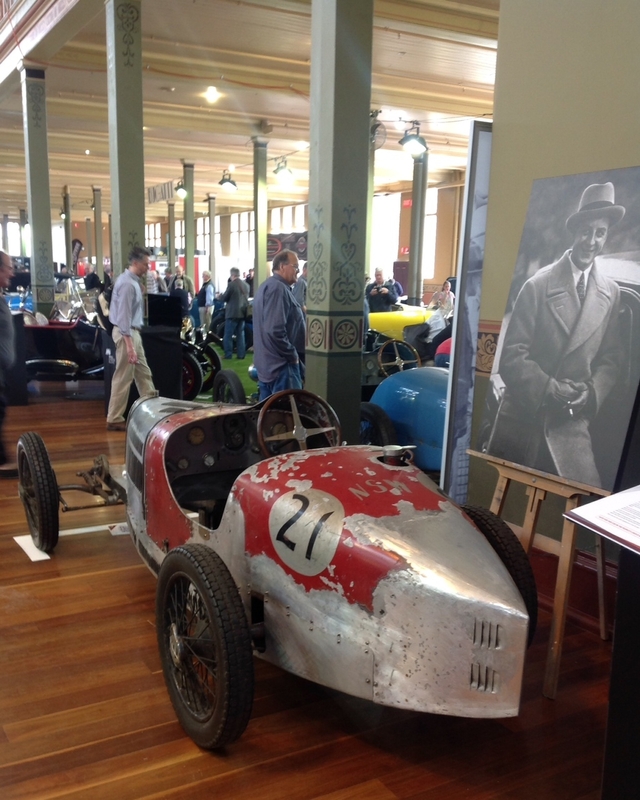 This T37 victorious in 1930 and 1932 is the veteran of more Australian Grands Prix than most. 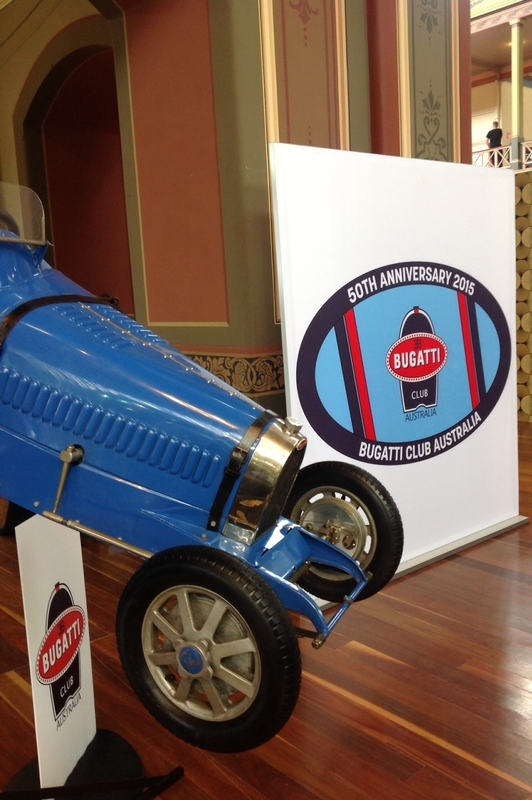 As the owners summary of the car makes clear the cars attendance in Melbourne is the first time this significant Bugatti has ‘seen the light of day’ in public for over 60 years. 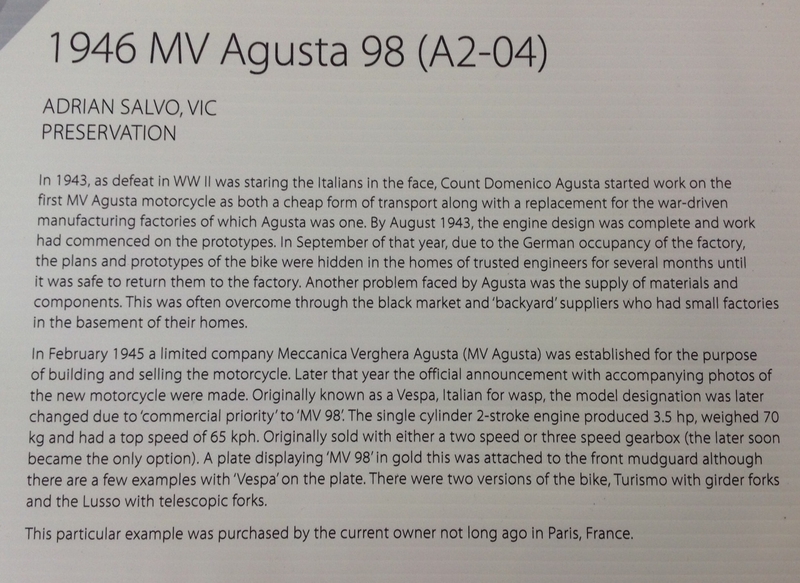 In Bob King’s ‘Australian Bugatti Register’ ‘37358’ is said to be ‘…possibly the most famous of all Australian racing Bugattis’. 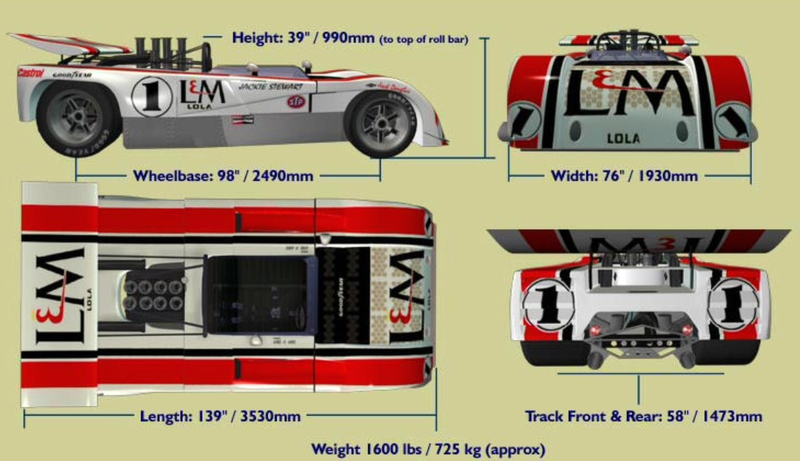 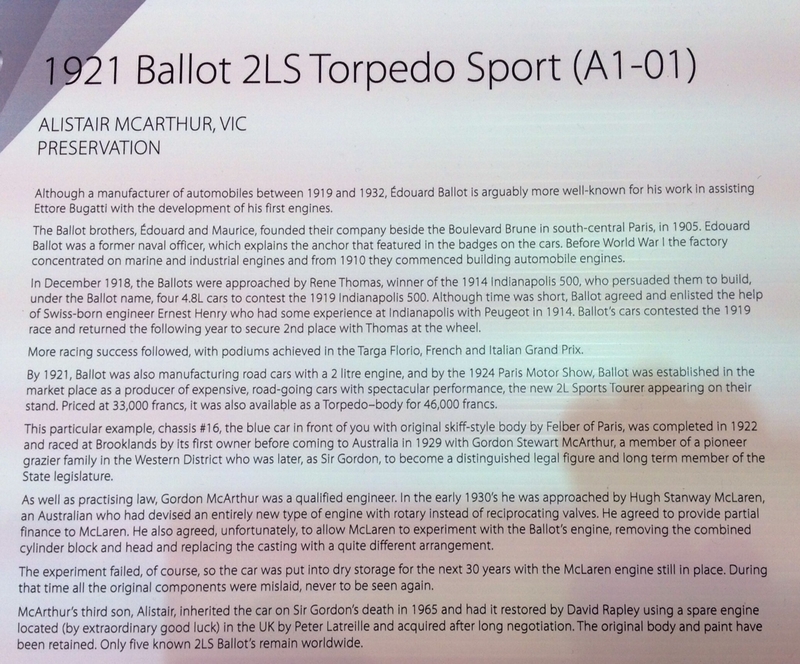 The following short history of the car is from John Blanden’s ‘Historic Racing Cars in Australia’ is in addition to the short description above. 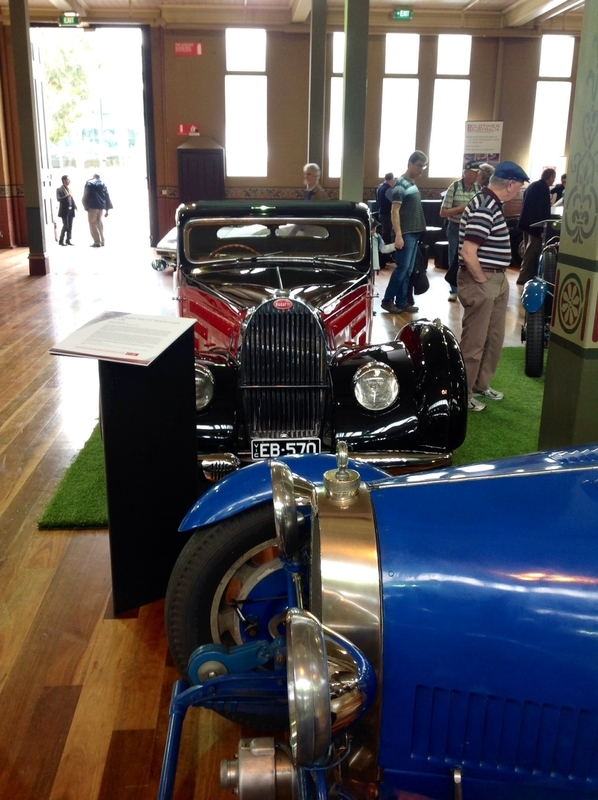 For the 1930 AGP the car was specially prepared with wire wheels and separate brake drums in place of the integral alloy equipment because of the roughness of Phillip Island’s gravel roads. 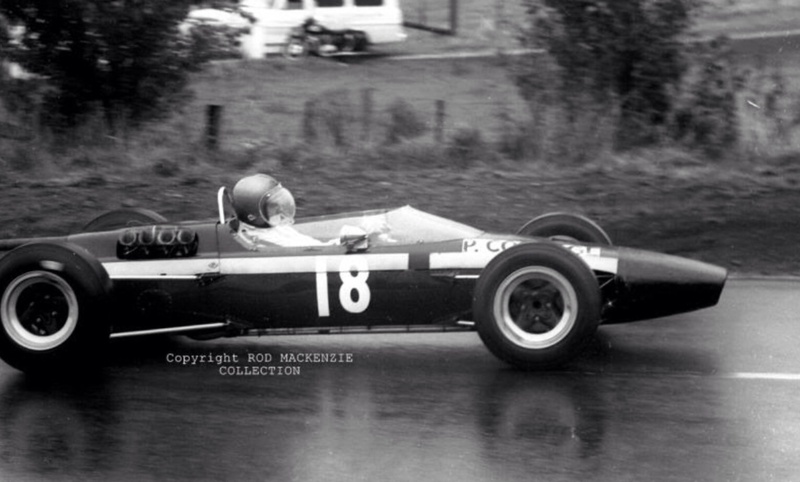 After early plug trouble Bill Thomson was a comfortable winner in 3 hours 6 minutes, an average of 64mph in front of 6000 spectators, the ‘Island in those days a long way from Melbourne. 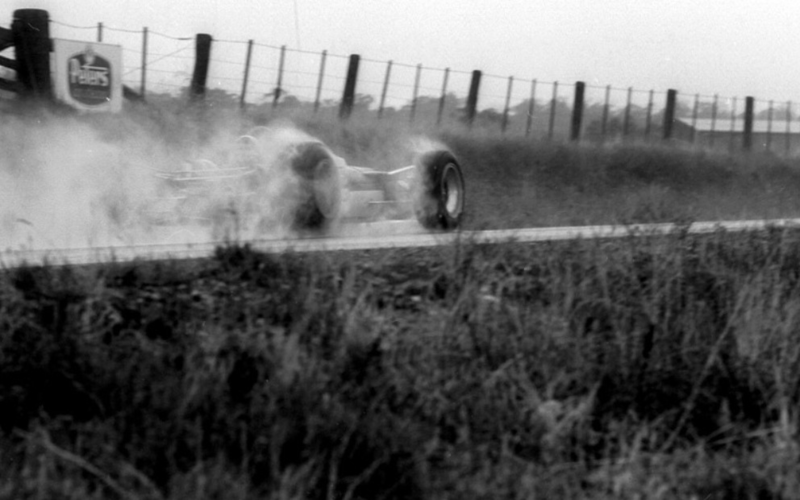 In 1931 Hope Bartlett bought and raced the T37 but blew up with less than 7 miles to go whilst in the lead. 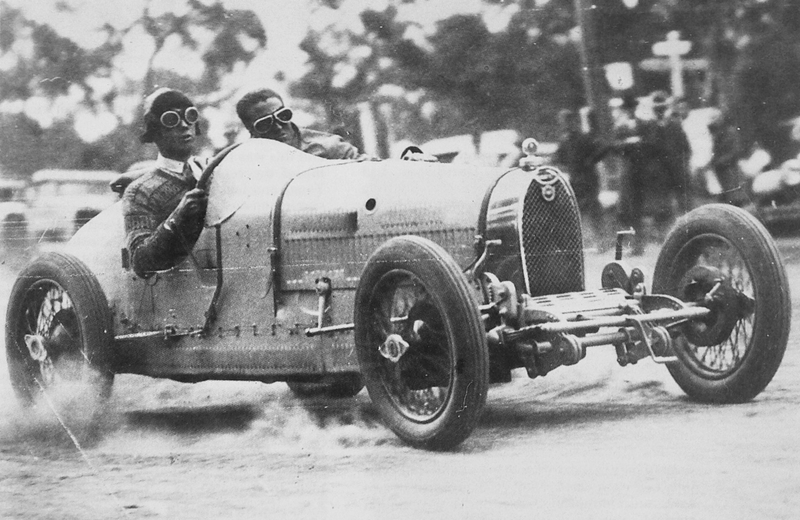 Carl Junker won in a Bugatti T39. 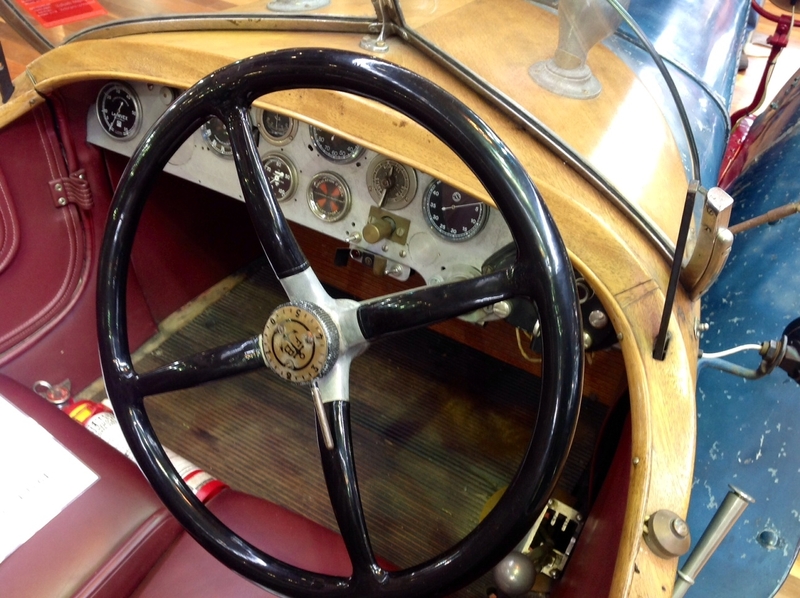 For 1932 Thompson again raced the car which by this stage was owned by the Woolworth Tyre Company. 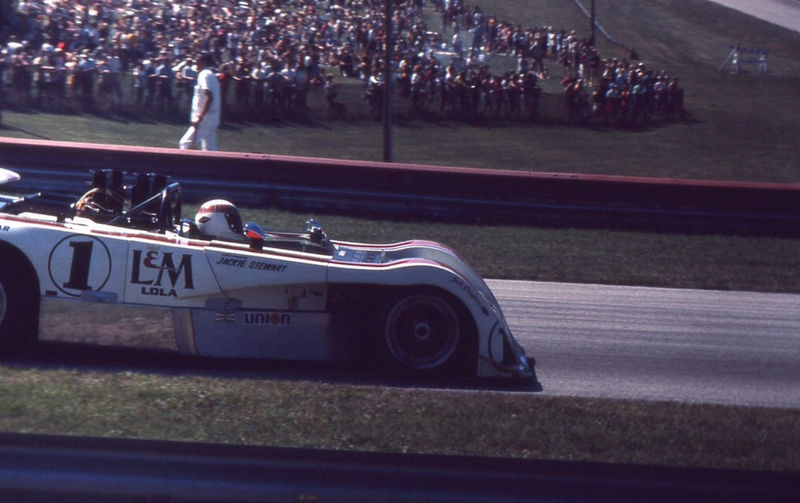 It was off scratch giving 4 minutes to Carl Junker. 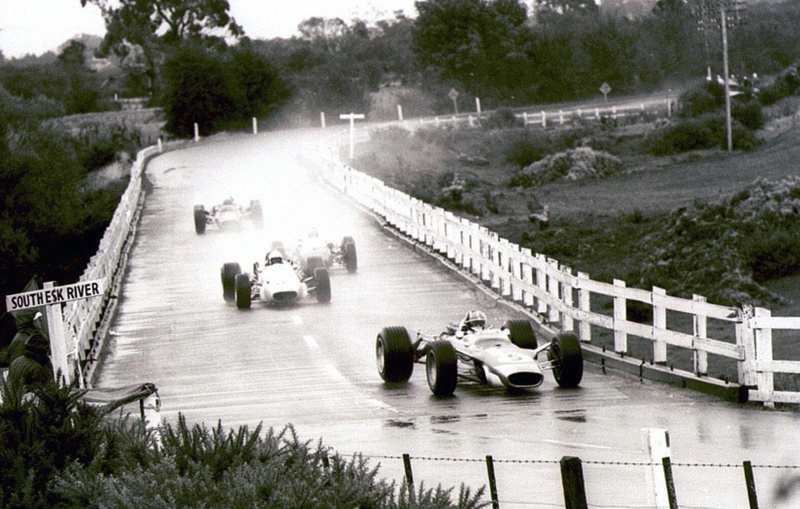 Thomson won by 4 minutes having come through the field. 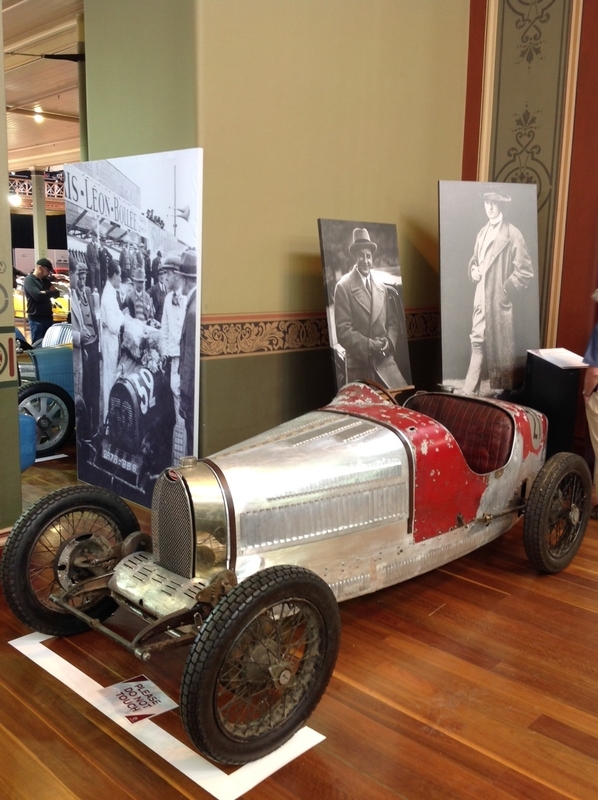 In October 1932 at the Mt Victoria Pass Hillclimb, in Sydney’s Blue Mountains, the car crashed heavily ‘as a result there have been suggestions that a replacement chassis was required, obtained and fitted but this has never been absolutely confirmed’. 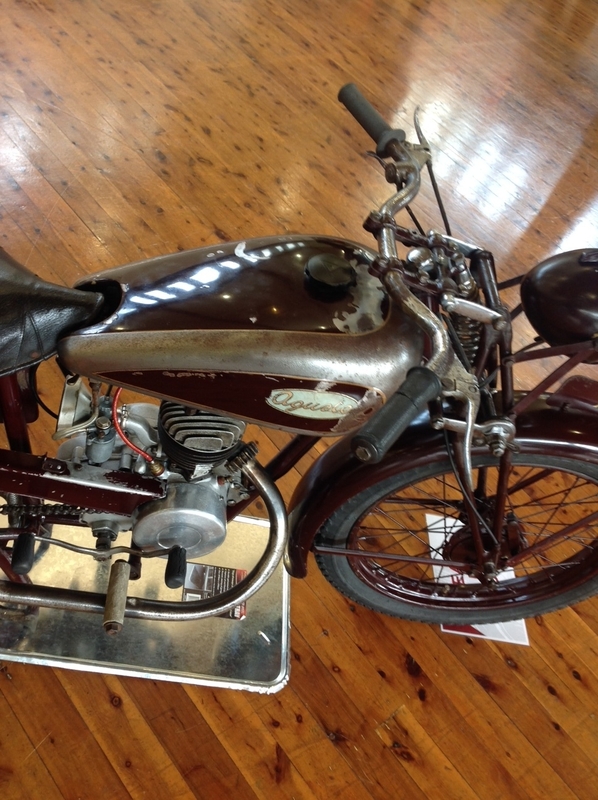 Offered for sale but unsold, in May 1935 Thomson took the Australian Record for the Mile at 112.5 in the annual speed record attempts held near Canberra. 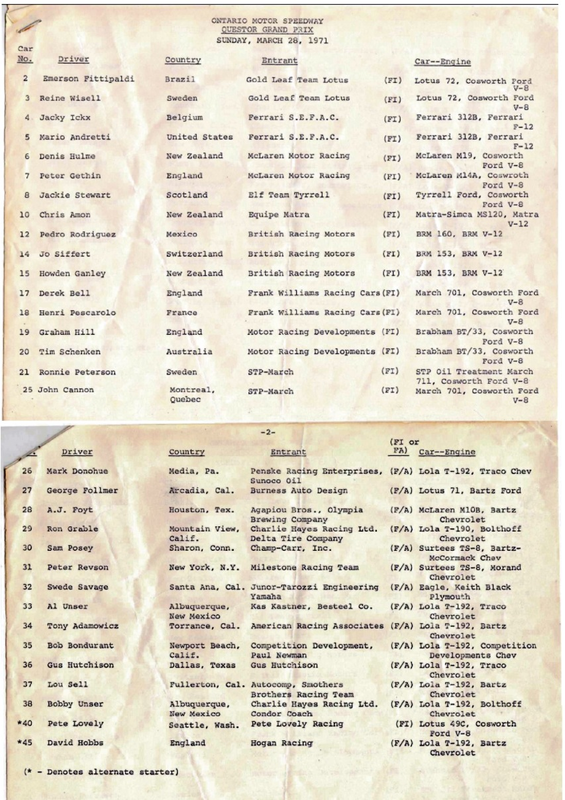 John Sherwood won the Australian 5 Mile Championship at Penrith Speedway in it, in Sydney’s outer west in 1936. 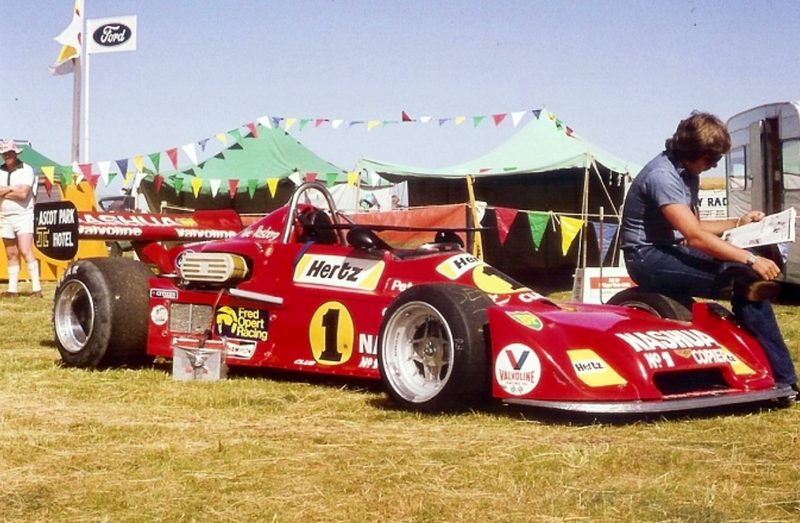 Tom Peters acquired it and raced it in the 1936 Australian Grand Prix (or 1937 Australian GP as has become the custom to call this event) at Victor Harbour, South Australia in December, retiring on lap 7. 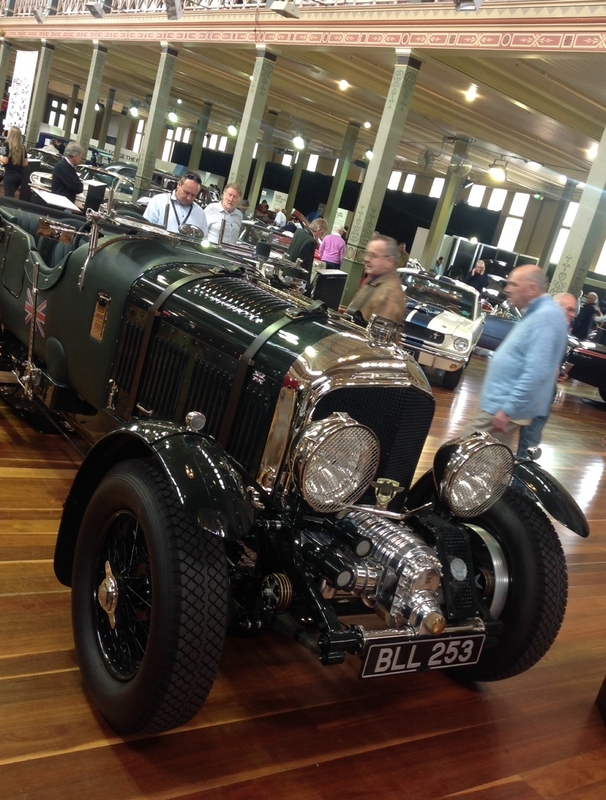 ‘37358’ was sold to New South Wales driver Ron Mackellar, shortly thereafter the cars engine blew and was replaced by a side-valve Ford V8, the car called the ‘Mackellar Special’. 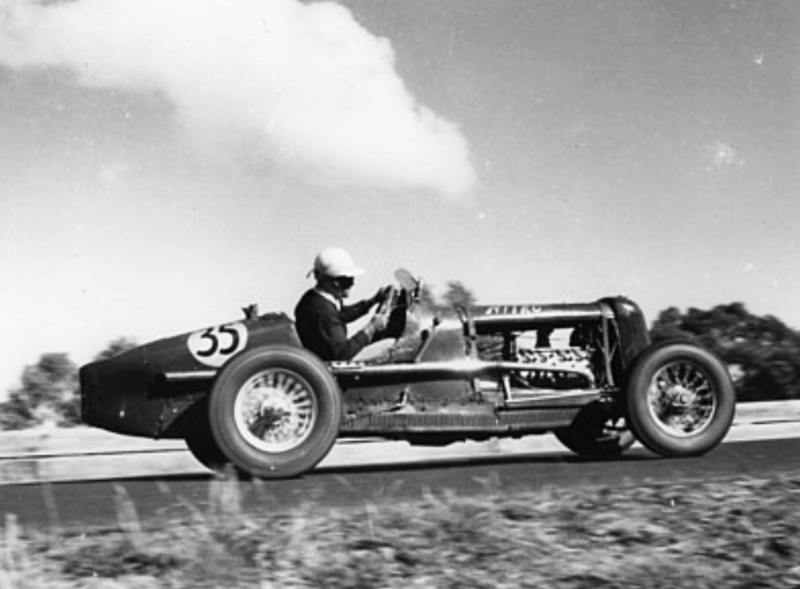 Raced at the 1938 AGP at Bathurst it finished 4 minutes behind Peter Whitehead’s victorious ERA R10B. 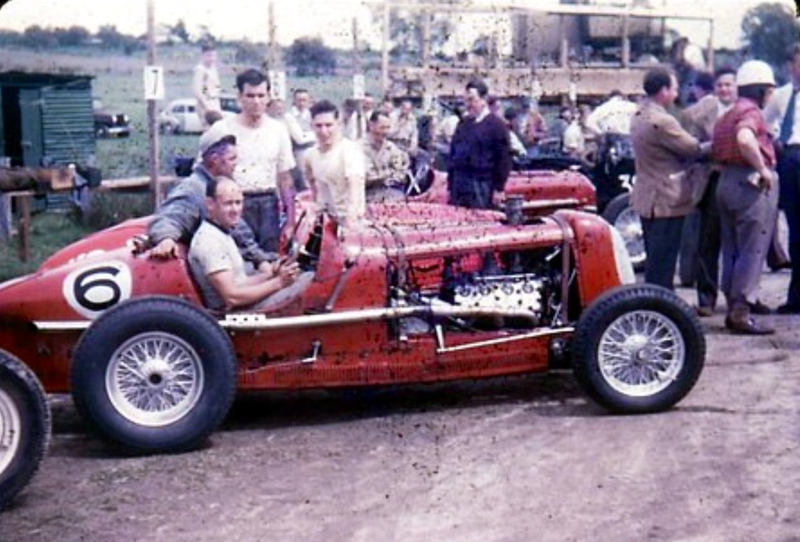 Wally James was driving the car during a qualifying heat of the Australian Speedway Championships at Penrith on Anzac Day, 25 April 1939 when he lost control and plunged into a group of spectators at over 90mph, killing 3 and injuring 39. 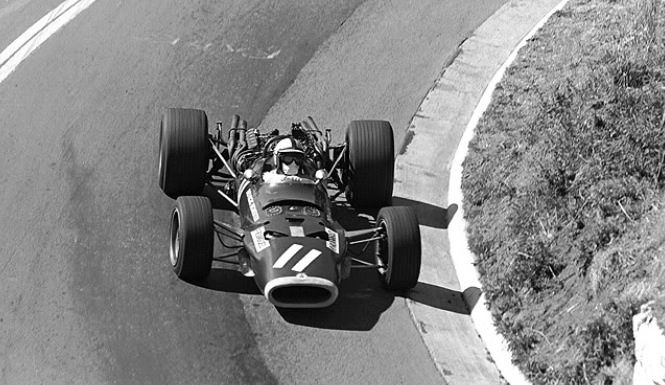 James was shattered and never raced again, although a later enquiry showed the crowd sitting in front of safety fences. 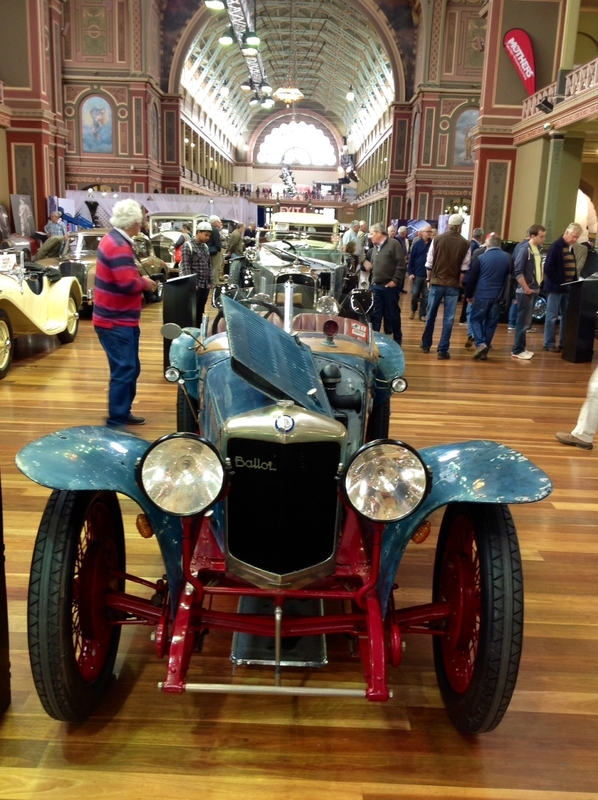 Driven by Ken Laing for a while post war, the car was sold to ‘Gelignite Jack Murray’, a real character of the sport and so named for his antics with explosives in the Round Australia Trials of the period. 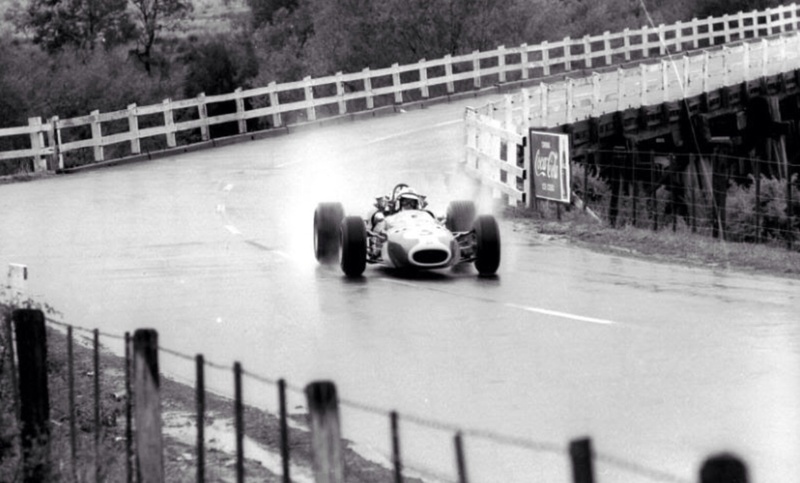 Murray was successful in the now very old car, it contested the 1947 AGP at Bathurst, retiring with piston failure. 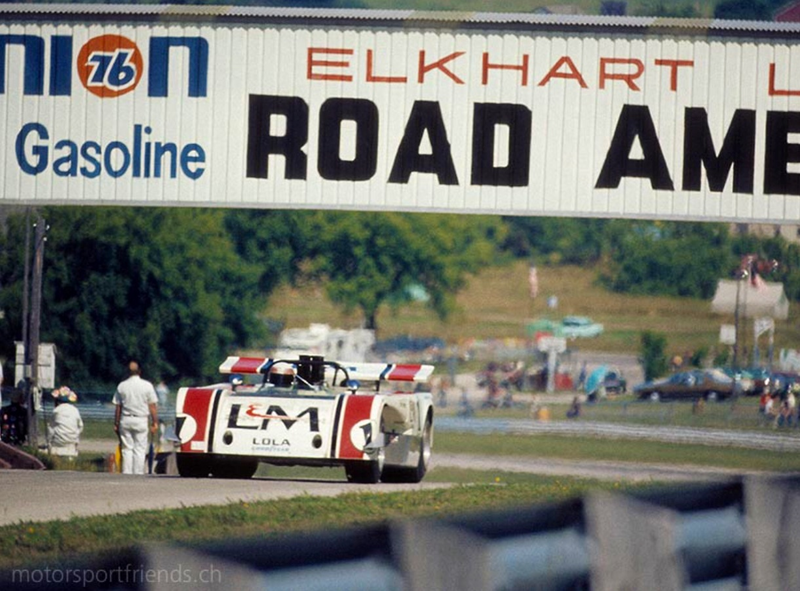 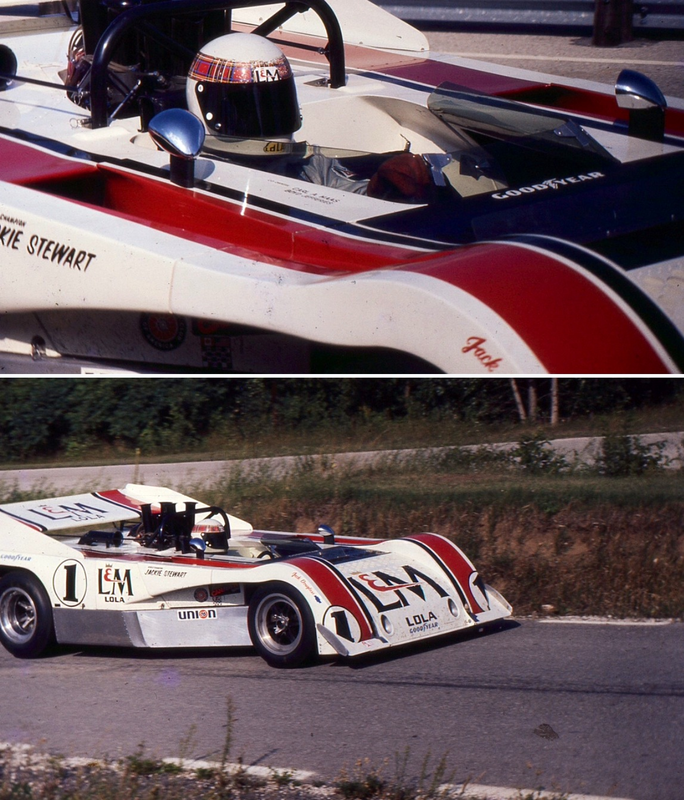 Bill Murray won the race, Formula Libre and handicapped in those days in an MG TC. 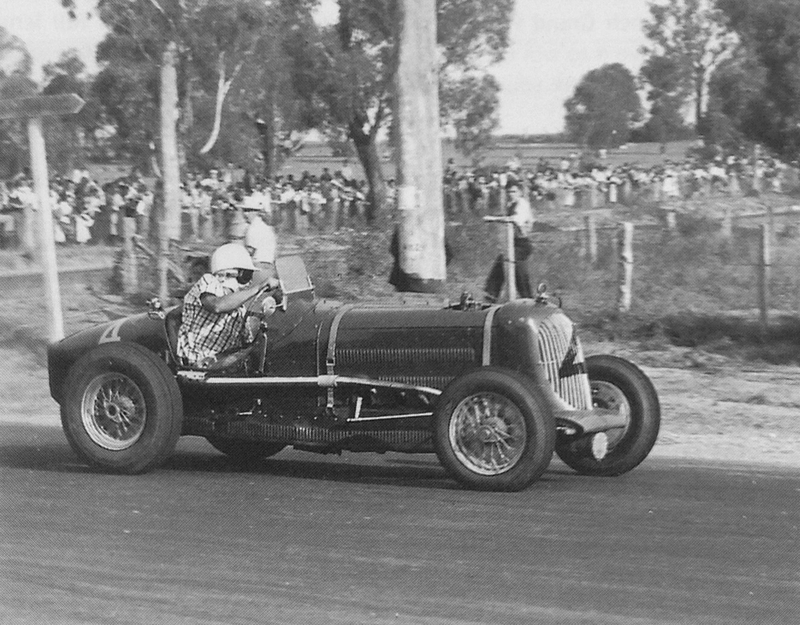 The car then passed through John Crouch’s and Bill MacLachlan’s hands, Bill had a lucky escape in the car upon his debut in it at Bathurst, Easter 1949. 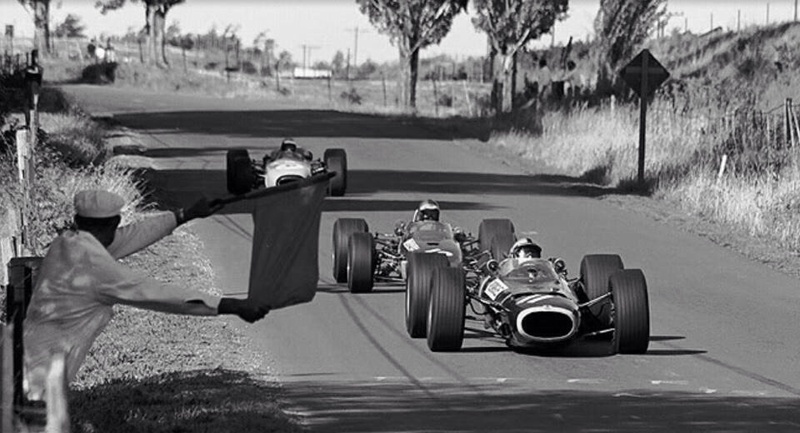 A broken track rod approaching Quarry Bend caused a wild ride down ‘the roadside bank missing solid trees by inches before it came to rest in a small clearing’. 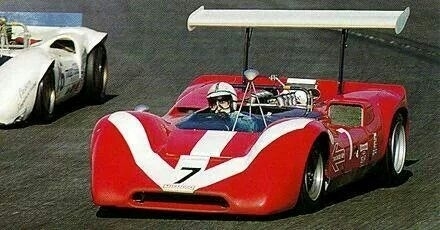 Little damage was done, the old war horse continued on racing, Ettore made em’ tough! 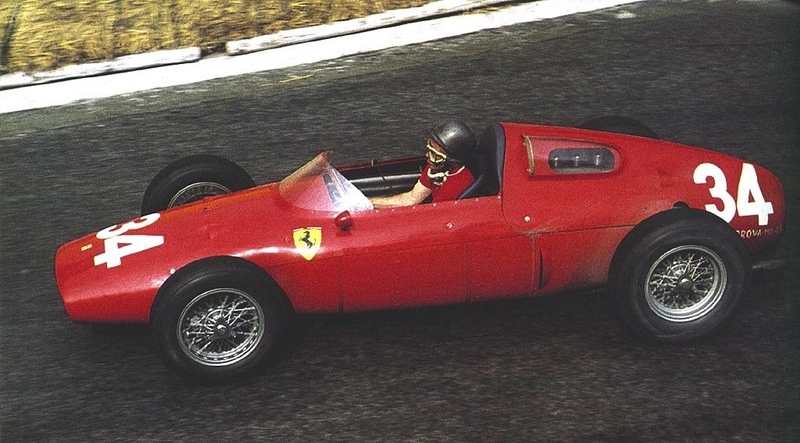 through 1950 when it was timed over the flying quarter mile at Bathurst at 113.21mph. 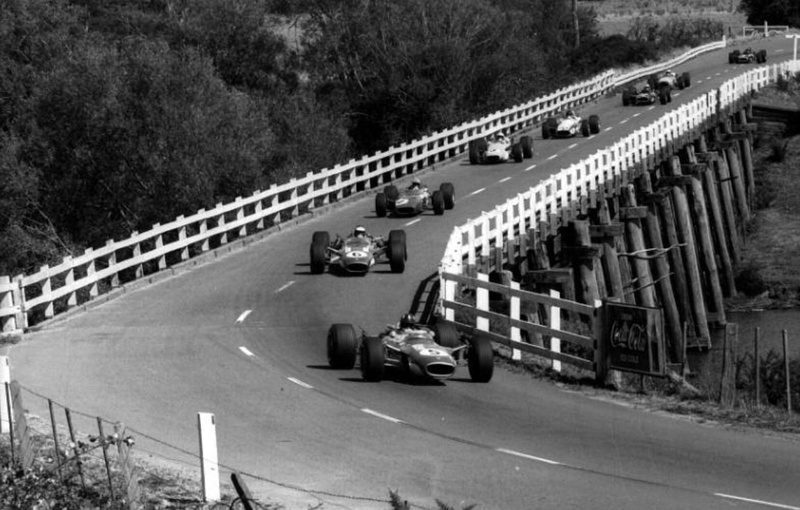 Into 1951 ‘37358’ continued to race including contesting the 1952 AGP at Bathurst finishing 13th in the race won by Doug Whiteford’s Lago Talbot T26C. 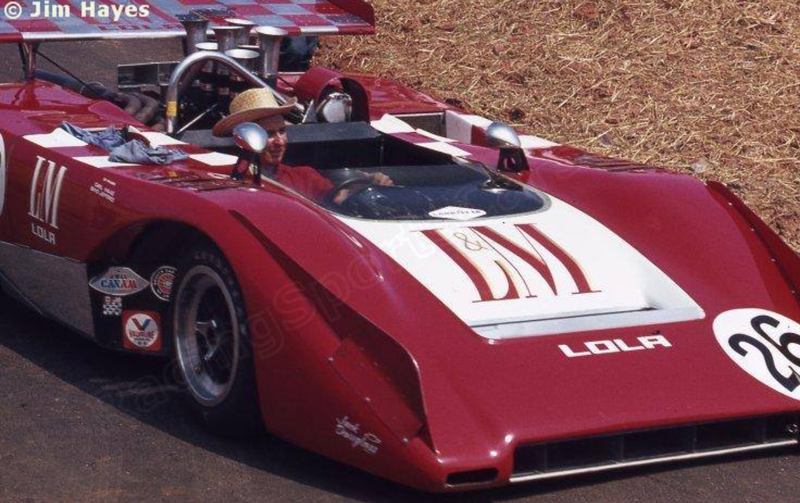 In 1954 the car was sold to Ralph Snodgrass in Queensland, he used it briefly before acquiring Whiteford’s Lago, rolled the Lago and then kept both cars for decades. 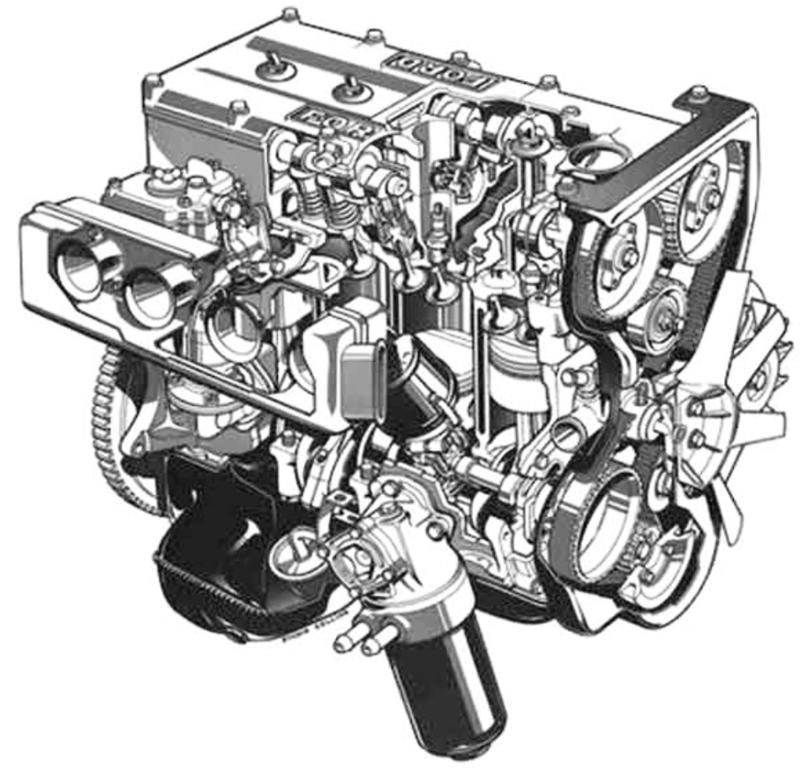 ‘While the car remained with Snodgrass in 2000, many of the original Bugatti components have been emerging over the years as various restorations evolve. 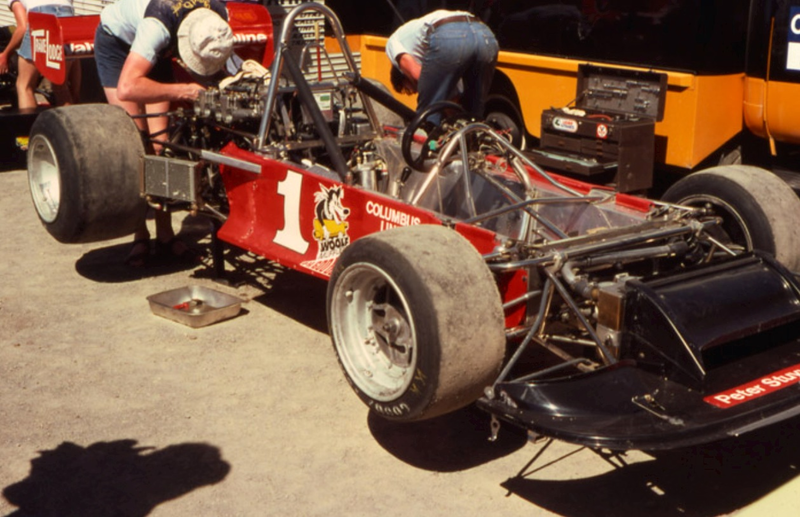 Tom Roberts was suggested to have the ‘original’ chassis and some other ‘bits and pieces’ with Kent Patrick having other chassis and engine parts in a replica T37A he constructed in the 1980’s’ Blanden said. 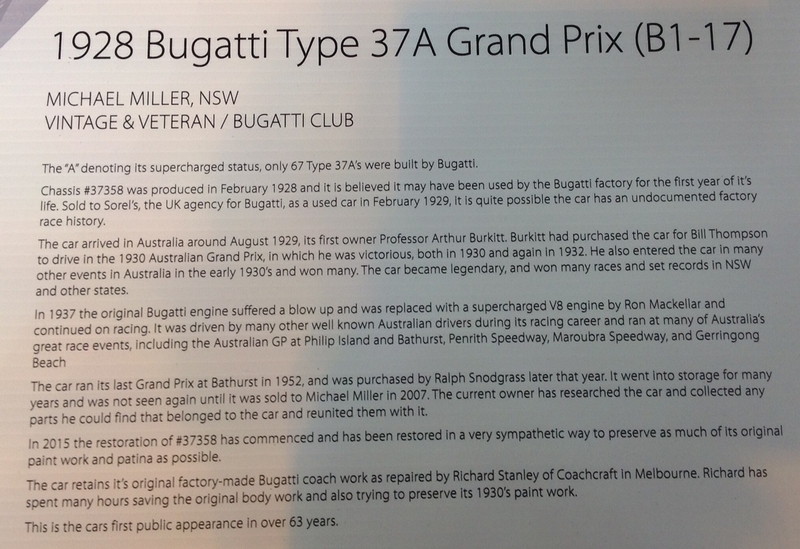 Clearly ‘37358’ is in sympathetic hands with Michael Miller’s ownership, Buggatiste’ globally will follow with interest the restoration of this fabulous car and revealing its history in ‘definitive form’. 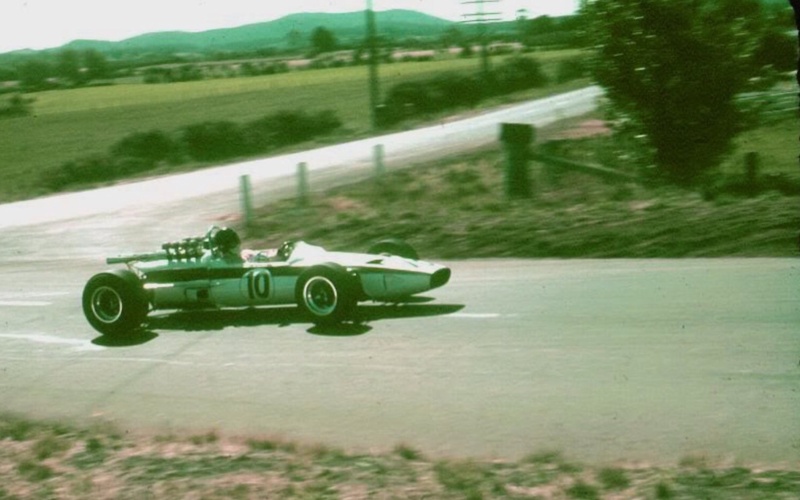 The following biography of Bill Thomson is by the late, great Australian Motor Racing Historian Graham Howard and is from ‘The Australian Dictionary of Biography’. 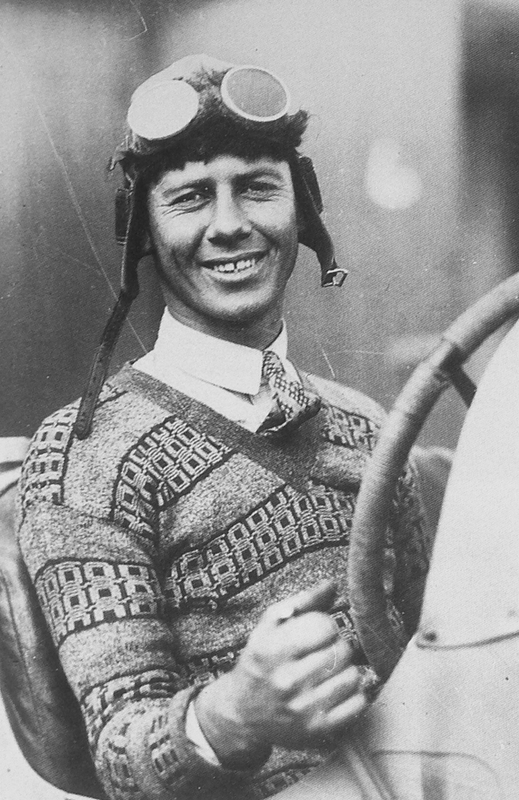 ‘William Bethel Thompson (1906-1945), racing motorist, was born on 28 December 1906 at Summer Hill, Sydney, second child of William Ernest Thompson, customs clerk, and his wife Gladys Macdonald, née Bethel, both native-born. 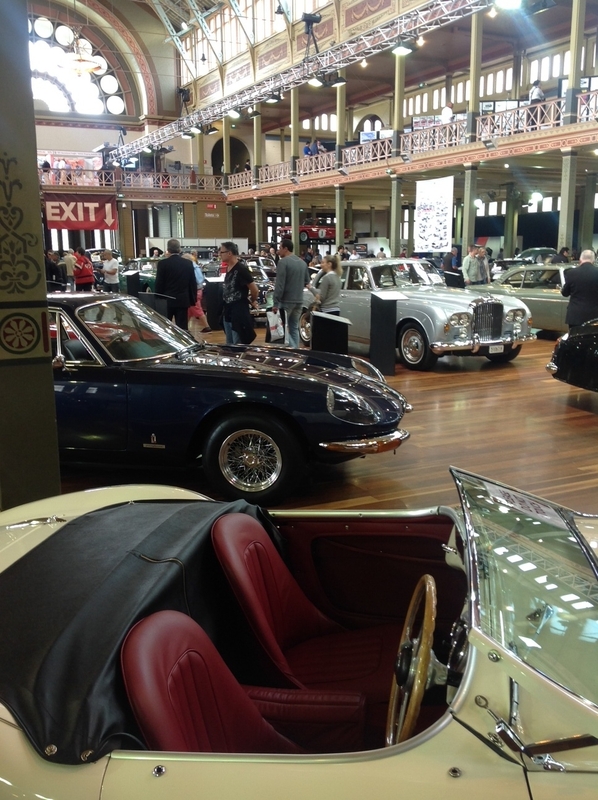 On completing his education at Sydney Grammar School in 1923, William worked in the motor trade. 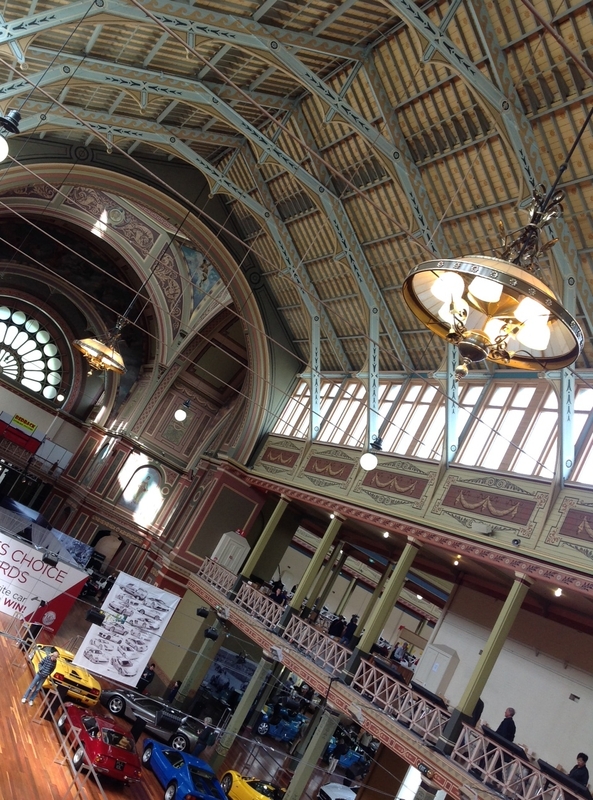 He married Jean Mavis Anderson at St Stephen’s Presbyterian Church, Sydney, on 26 September 1929. 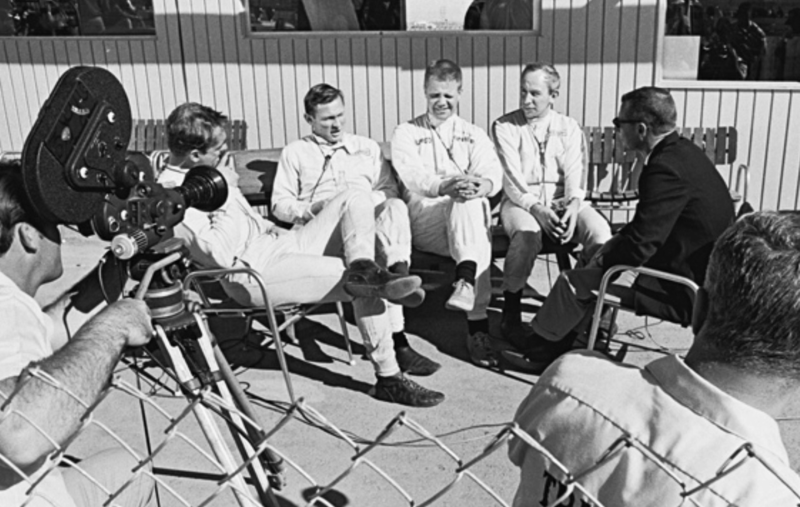 Of moderate means, he was helped by Arthur Burkitt, professor of anatomy at the University of Sydney, who owned several of the cars that Thompson raced. 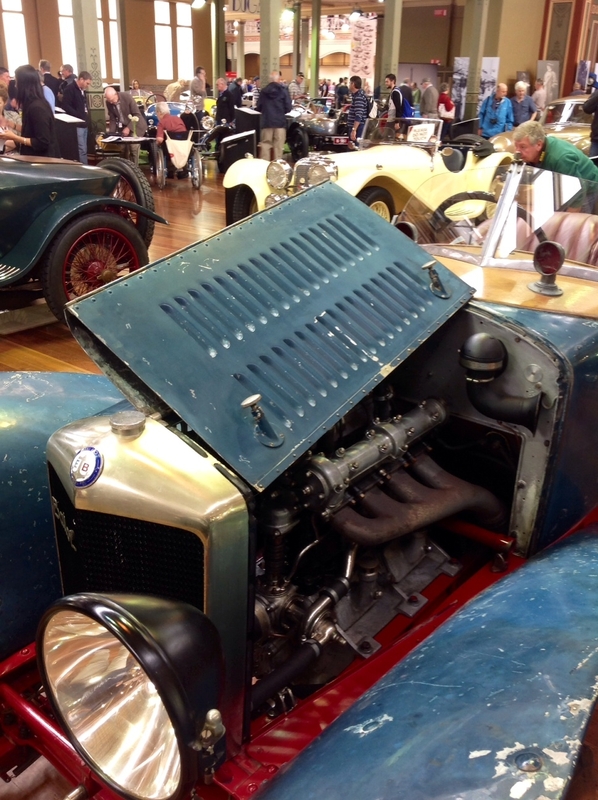 He retired from his first Australian Grand Prix at Phillip Island, Victoria, in 1929, but won the 1930 race in a new, supercharged Type 37A Bugatti owned by Burkitt who travelled as riding mechanic. 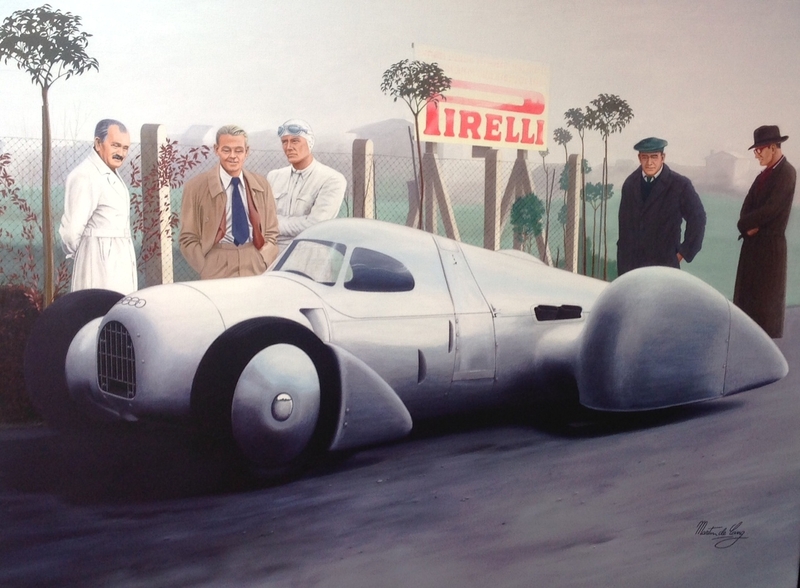 Starting from scratch, Thompson won again in the same car in 1932 and won for a third time in a Brooklands Riley in 1933. 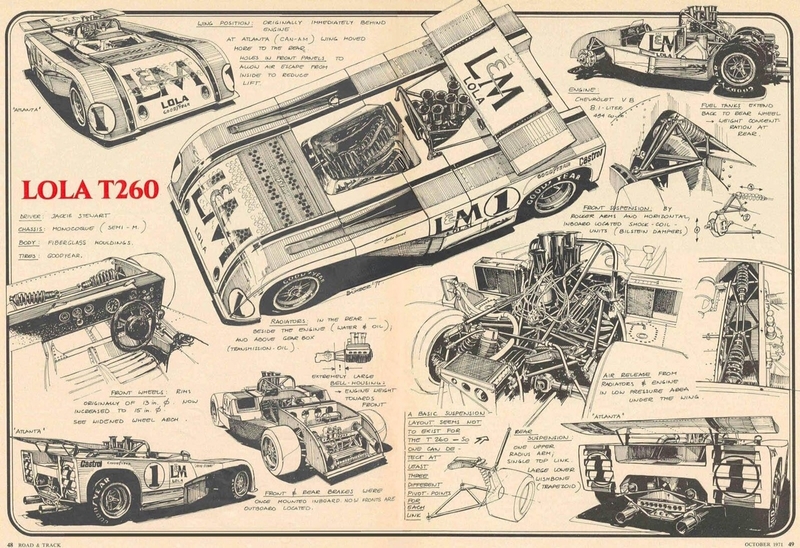 He finished second (by 14 seconds) driving a supercharged MG Magnette in 1934 and was again second (by 27 seconds) in 1935. 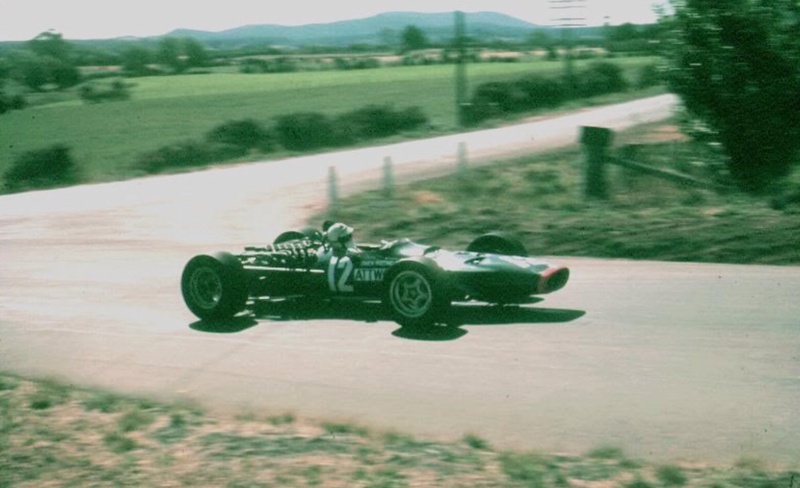 Despite his youth, Thompson approached his driving with a thoroughness that was uncommon in Australian motor racing, then in its infancy. 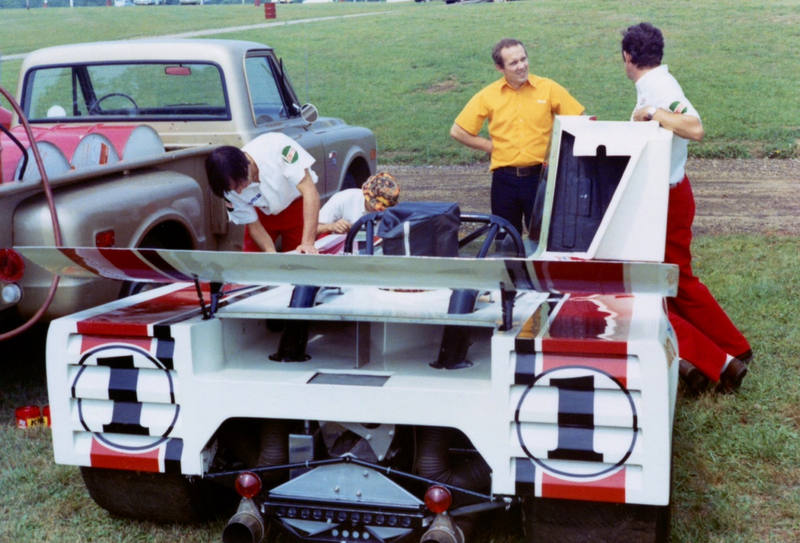 Observers commented on the clean and efficient presentation of his cars, and on the lack of last-minute work they needed. 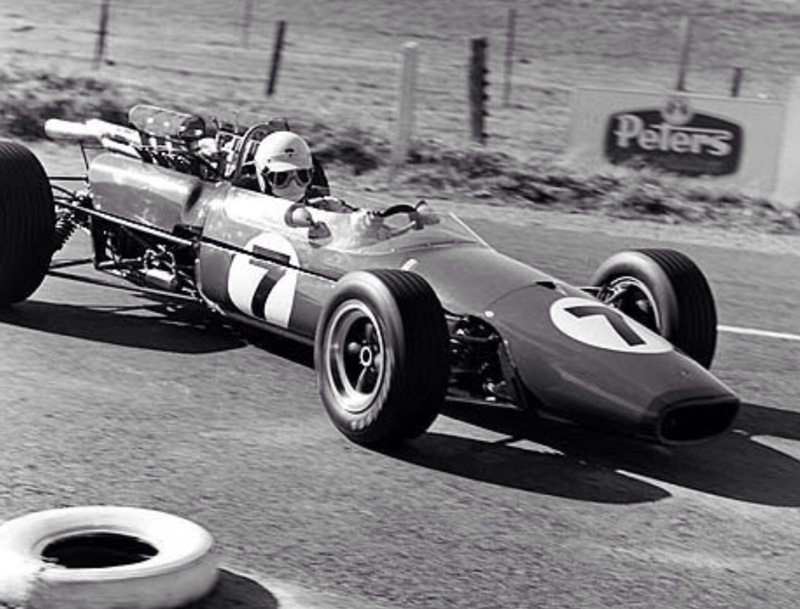 Behind the wheel he was very fast and exceptionally consistent; his lap times on the 6.569-mile (10.571 km) rectangle of rough and dusty Phillip Island roads often varied by no more than a second. 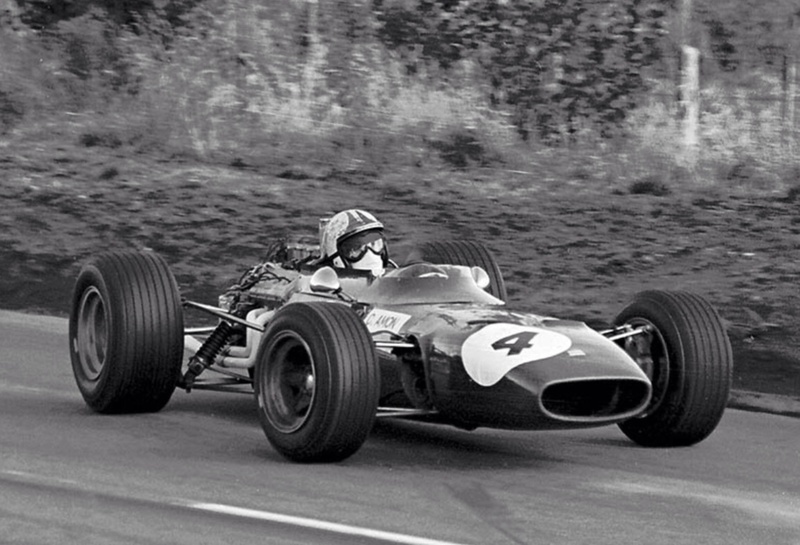 An outstanding finishing record was an essential part of his success. 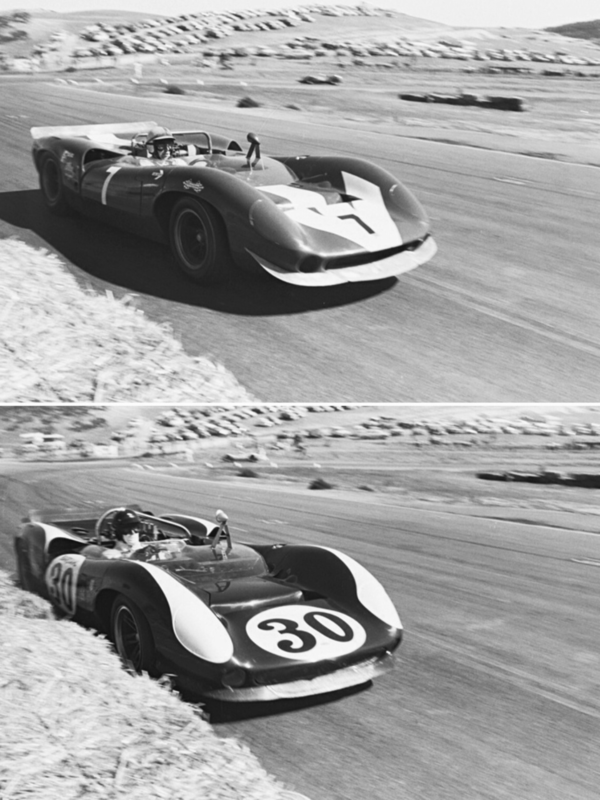 While he made occasional driving errors, he took exceptional care of his cars. 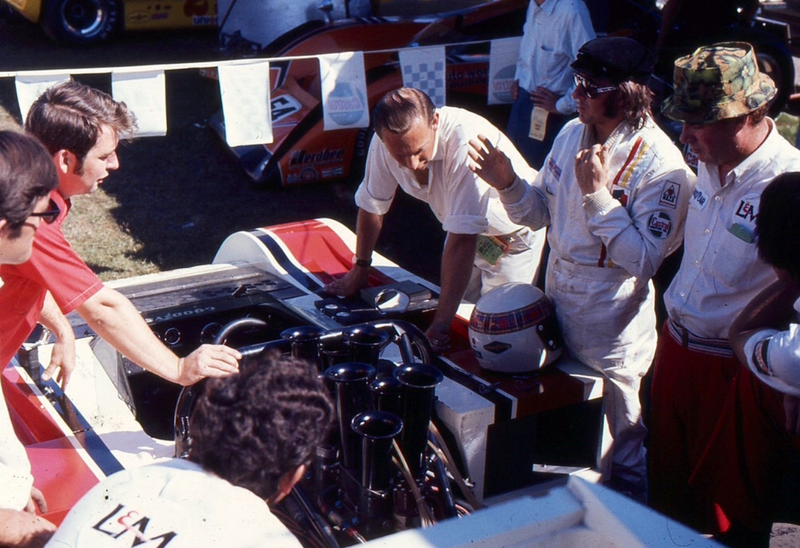 He did some of his own mechanical work, but had expert helpers, among them the skilled engineer Bill Balgarnie who was often his riding mechanic. 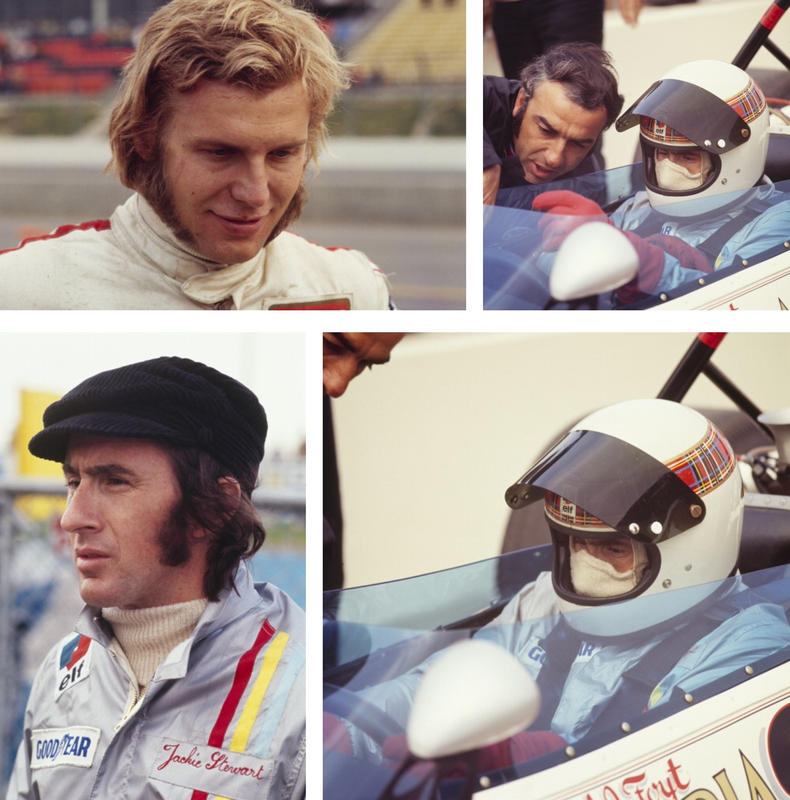 Strongly built and about 5 ft 11 ins (180 cm) tall, Thompson parted his dark hair in the centre. 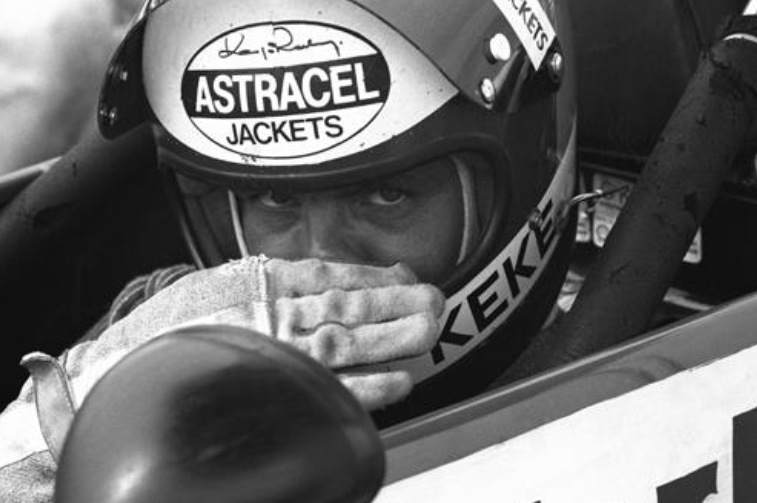 Contemporaries recall him as well-tailored, confident—almost calculating—but also impulsive and given to practical joking at post-race parties. 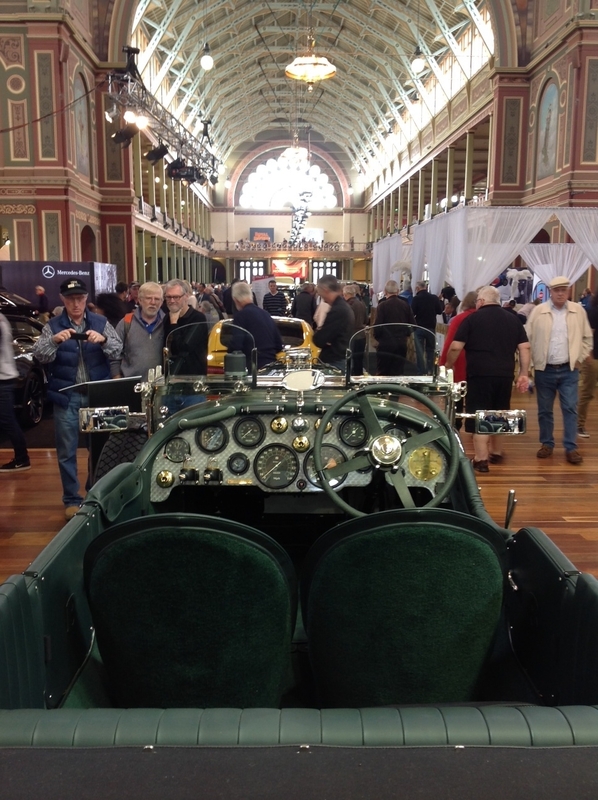 His Riley and MG drives were for Melbourne motor traders and he moved to that city in 1934 to head the MG department of Lane’s Motors Pty Ltd; he later transferred to the Shell Co. of Australia Ltd. 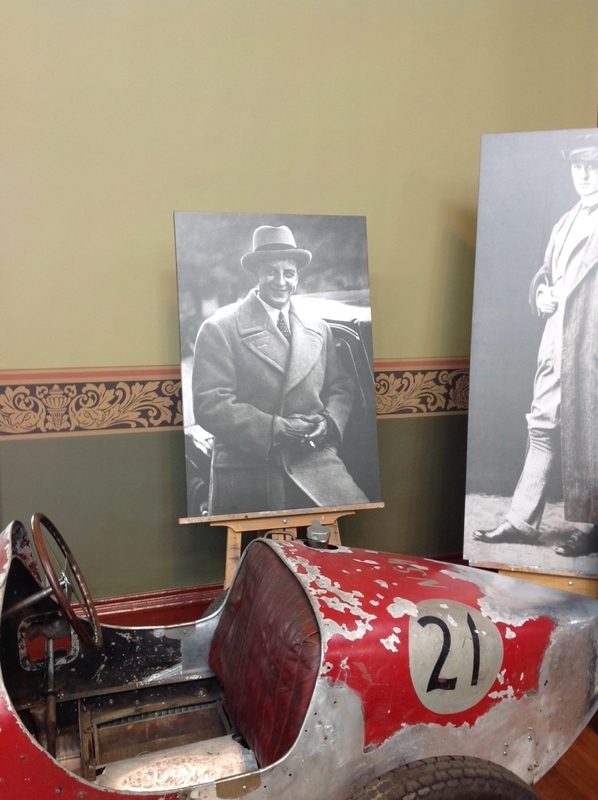 He was briefly involved with midget speedcars in Melbourne and Sydney in 1934-35, but from 1936 his racing career faded. 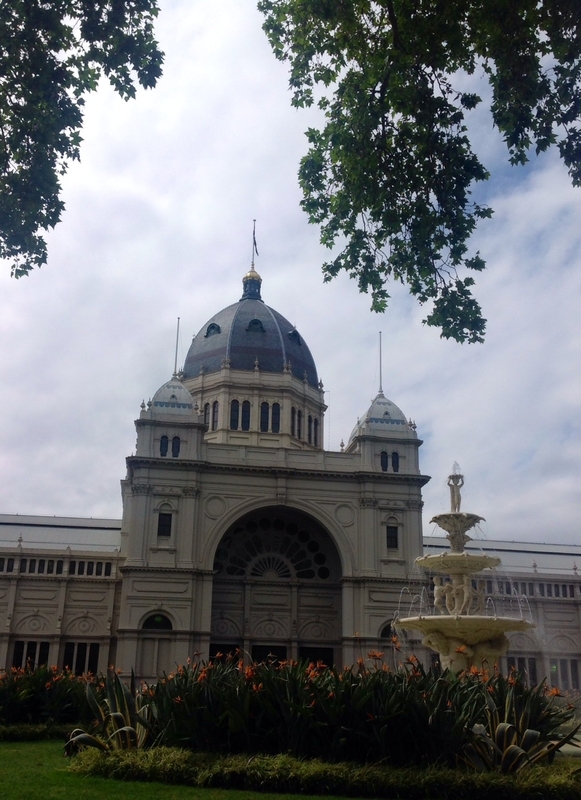 Divorced in 1938, Thompson married Millicent Francklyn Ironside, née King, a widow with two children, on 10 June 1942 at the government statist’s office, Melbourne. 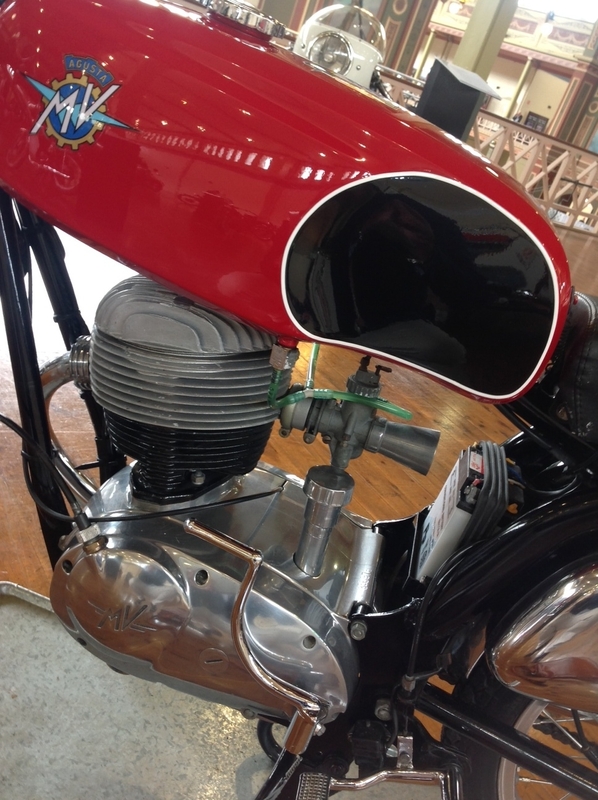 Joining the Royal Australian Air Force as flying officer in 1940, Thompson was based in Melbourne from 1941 where he organized the manufacture and supply of engine spares for rescue boats. 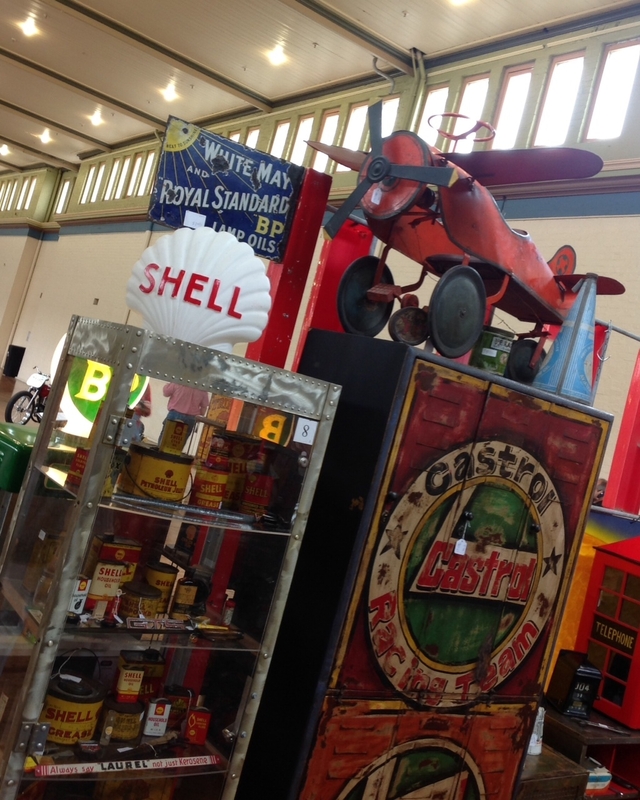 He held the rank of squadron leader when he was drowned in an aircraft accident on 12 February 1945 in the Marshall Islands, Pacific Ocean. 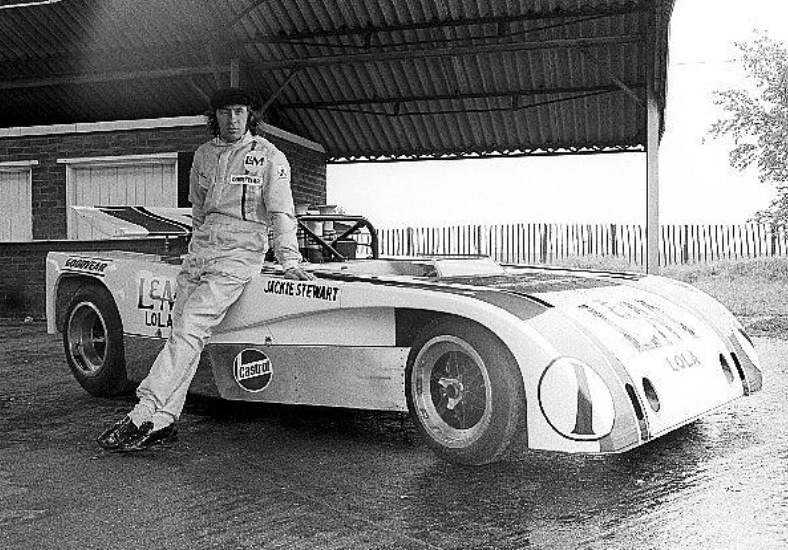 His wife survived him, as did the two sons of his first marriage’. 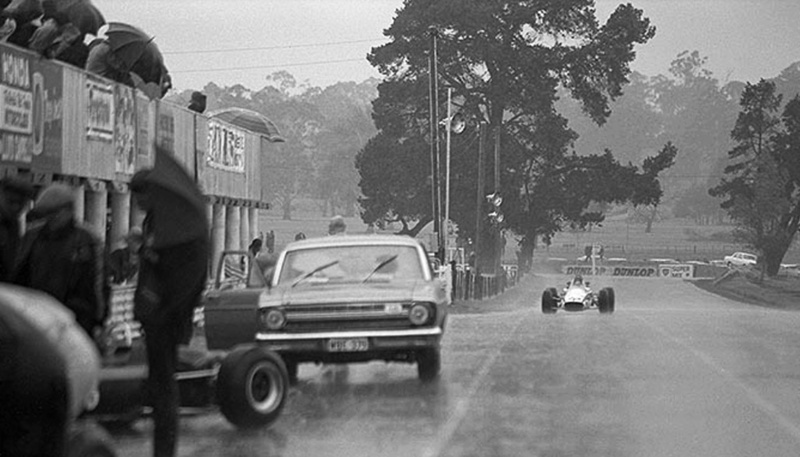 Even ‘Rainmaster’ Jacky Ickx finished second to the Frenchman in his Ferrari 312B2 that day with Emerson Fittipaldi’s Lotus 72D Ford in third. 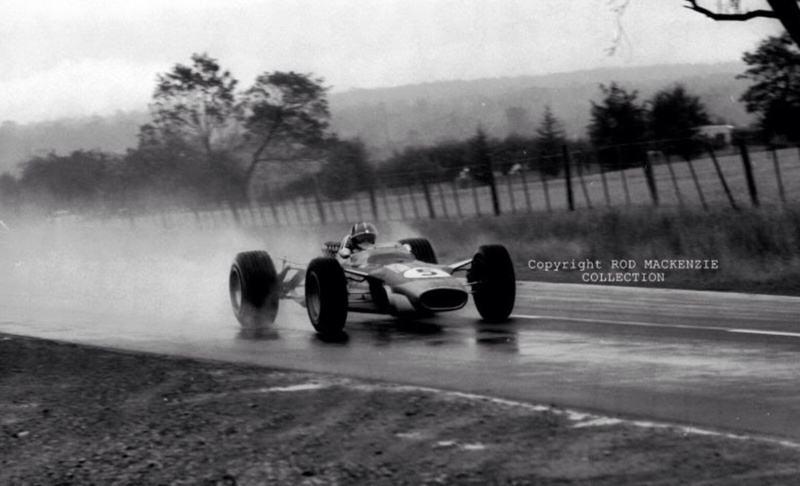 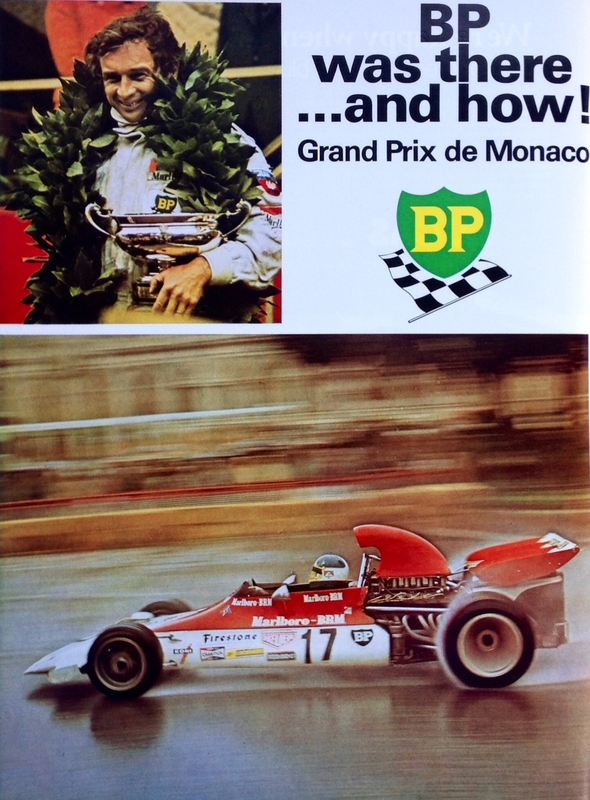 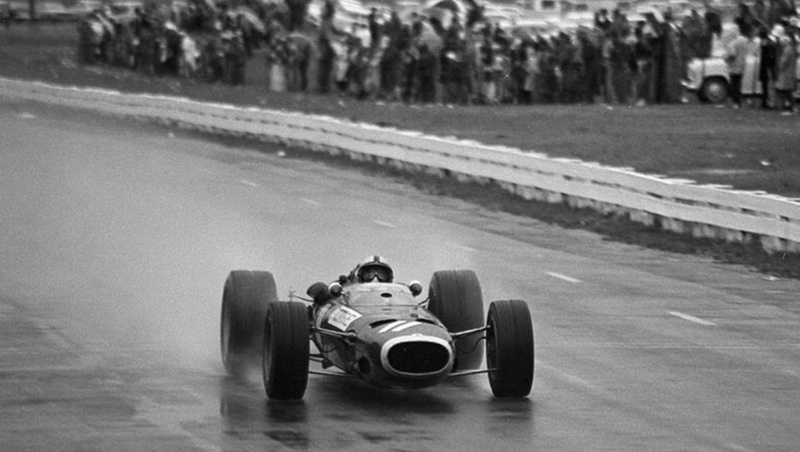 But it was a great drive, JPB’s first and last GP win and BRM’s last, sadly.